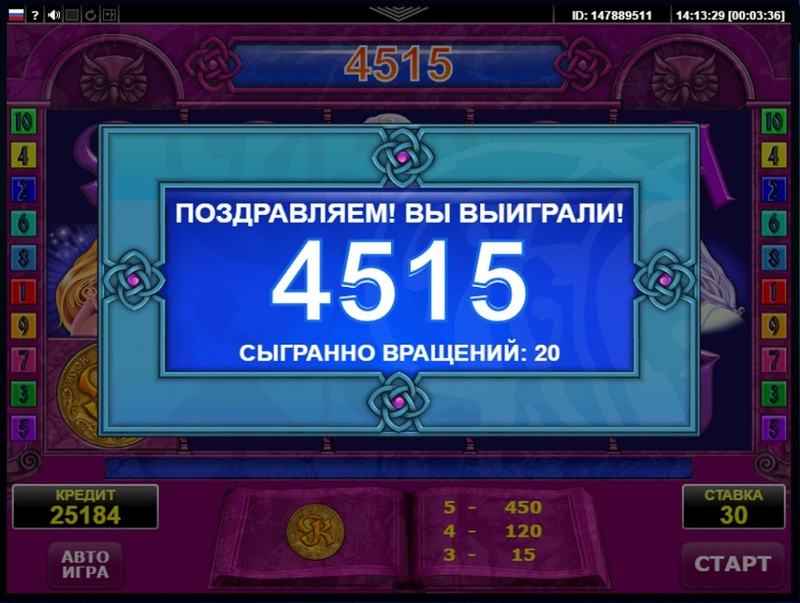 May we have your attention please! 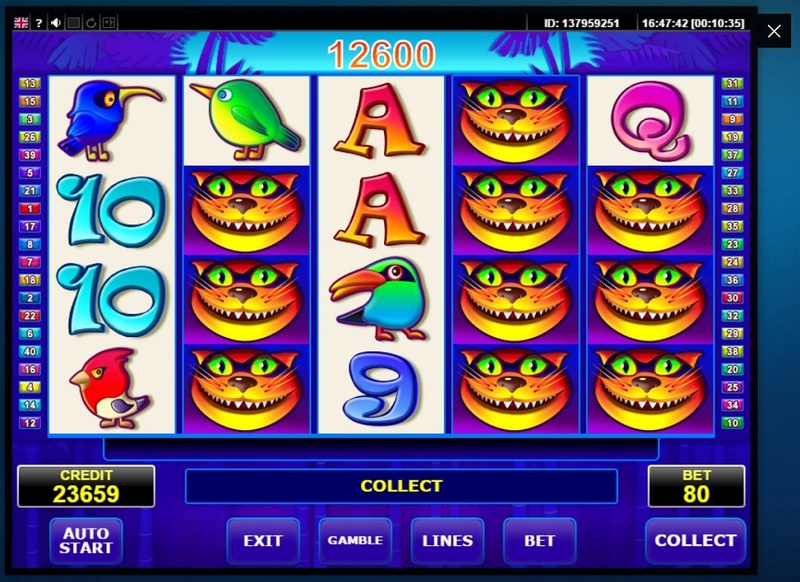 PlayAmo casino and Amatic company are announcing a joint promotion called "Maximum Madness." 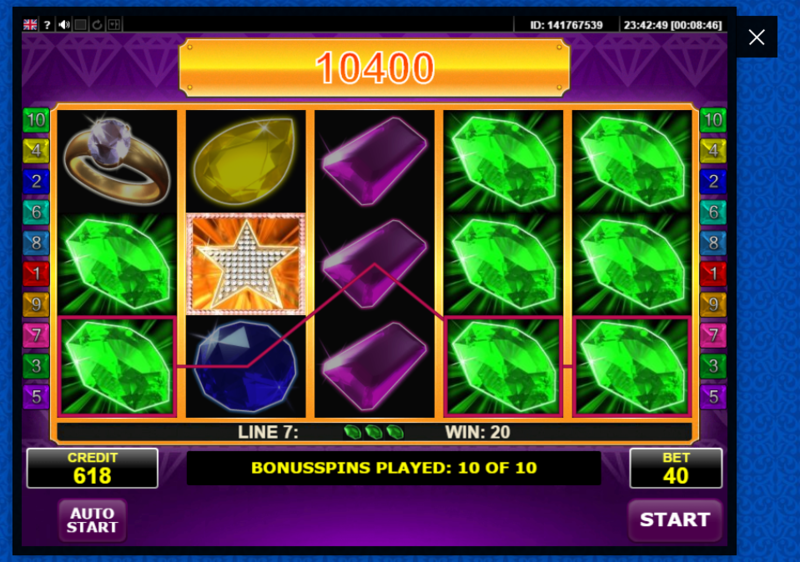 The prize fund is €5,000 and all you need to do to get a piece of it is play slots by Amatic. 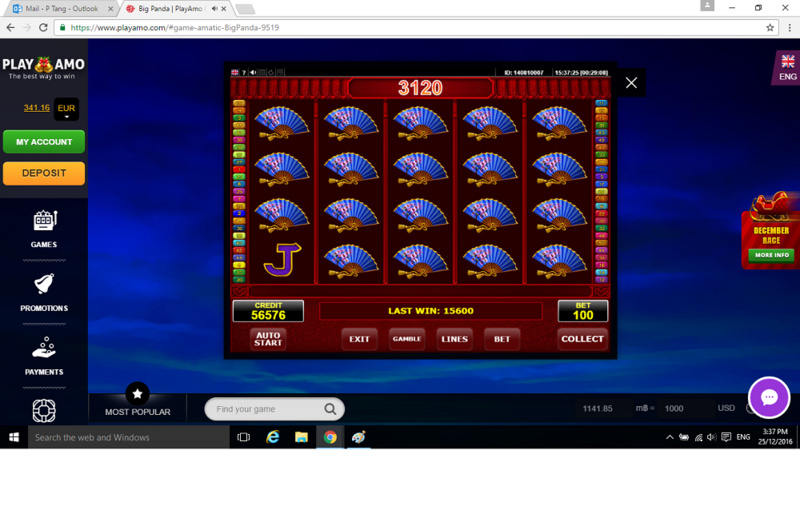 The promotion is already running, and we will be naming winners on January 16th, 2017. 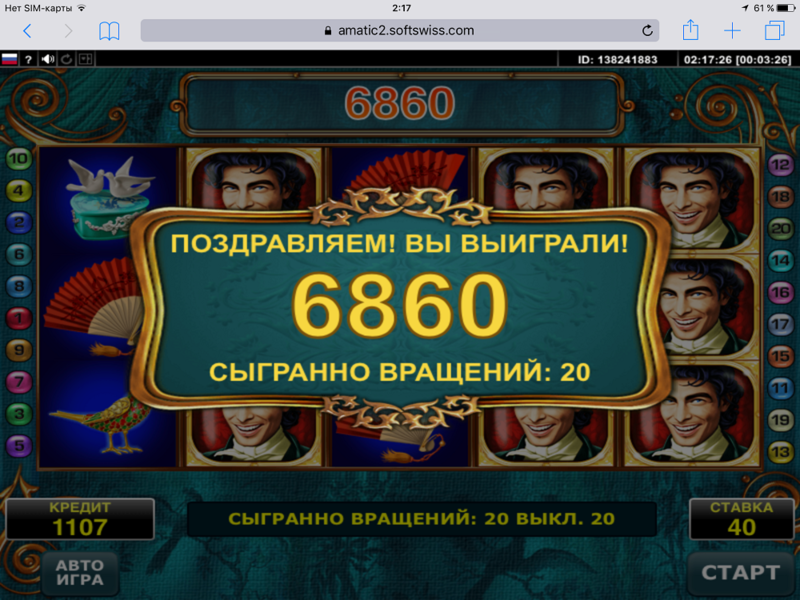 Ready to take part and fight for your prize? 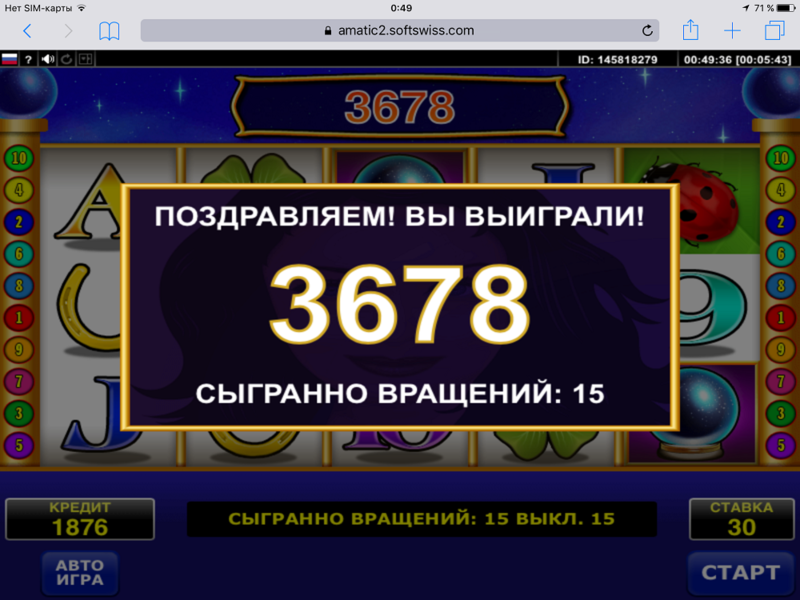 Then go for it, everything is up to you! 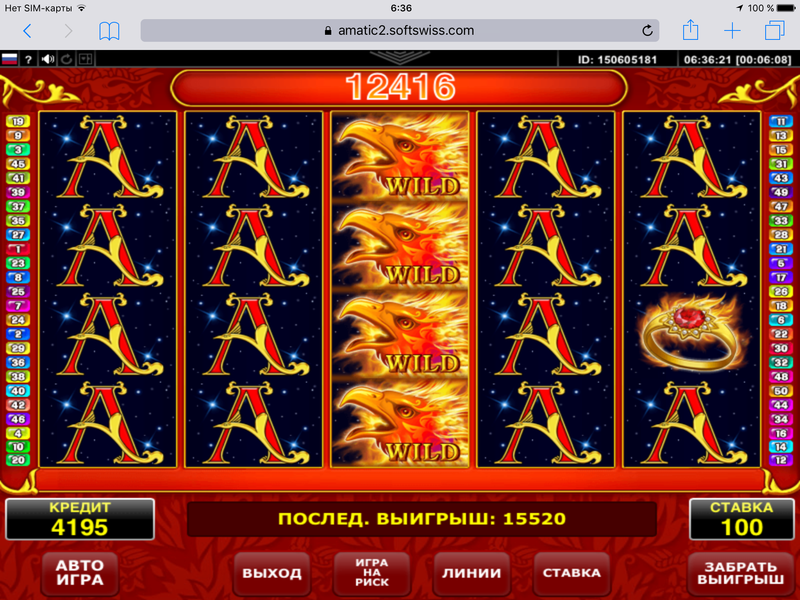 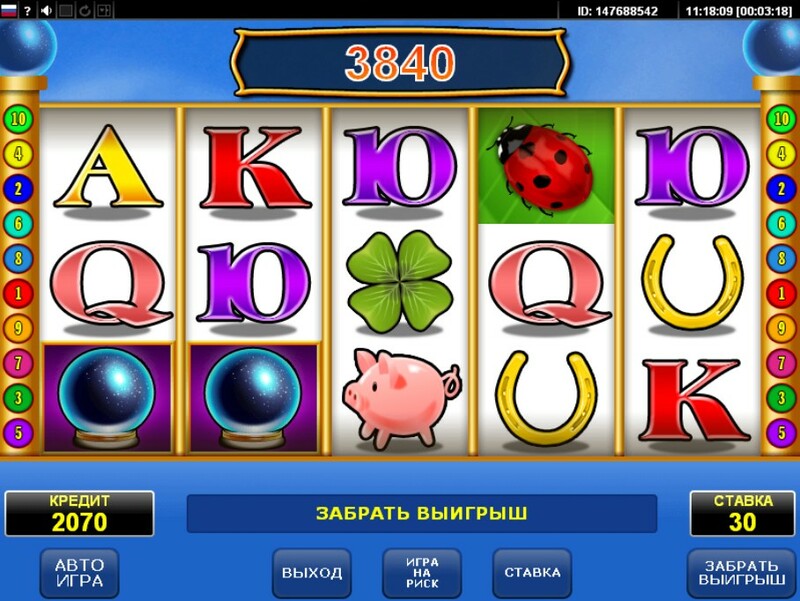 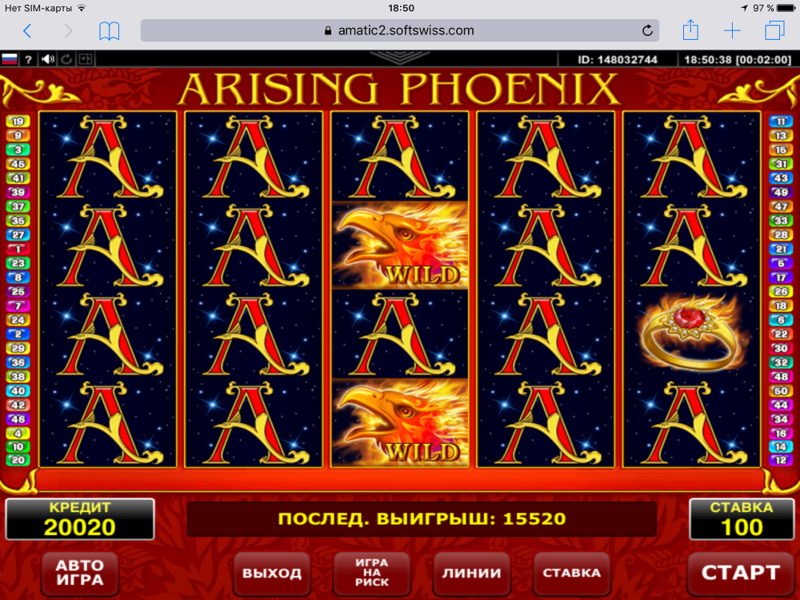 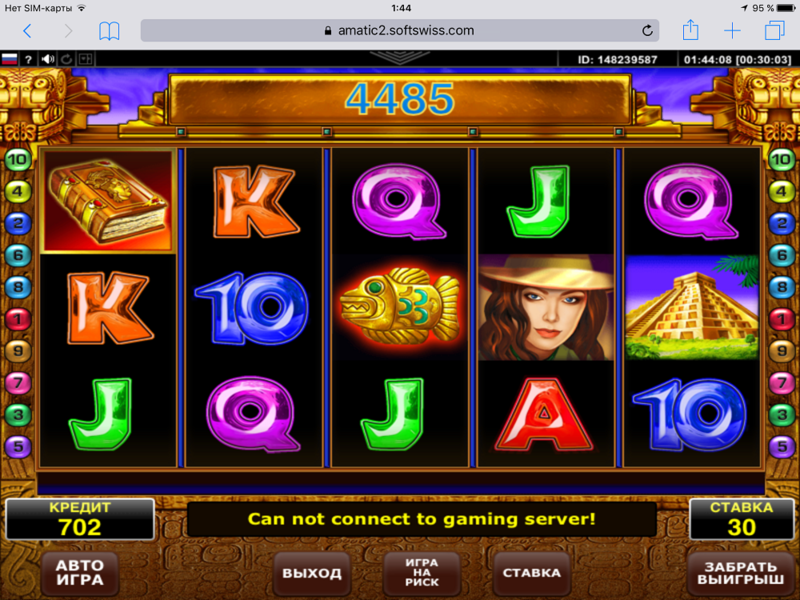 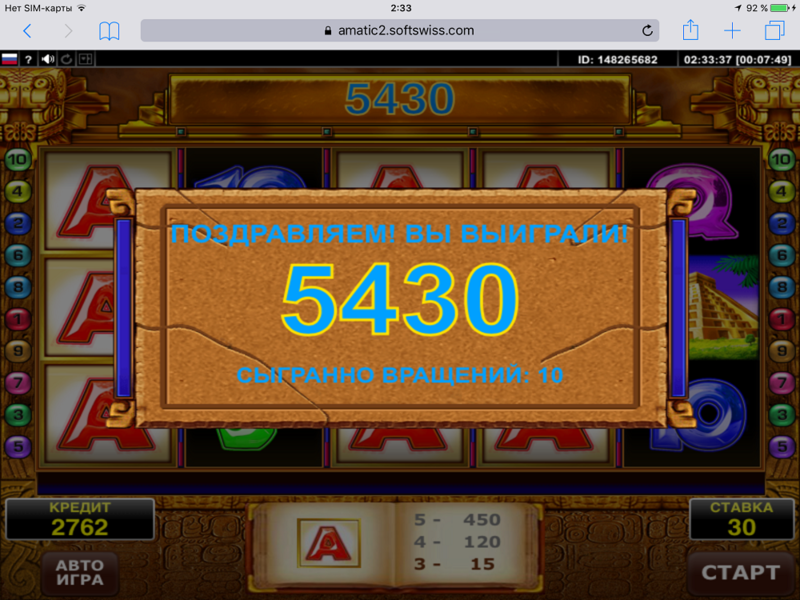 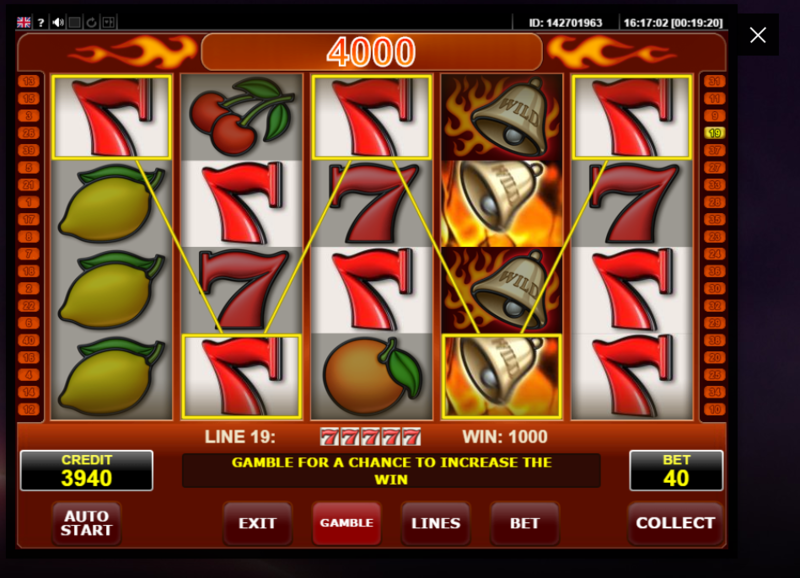 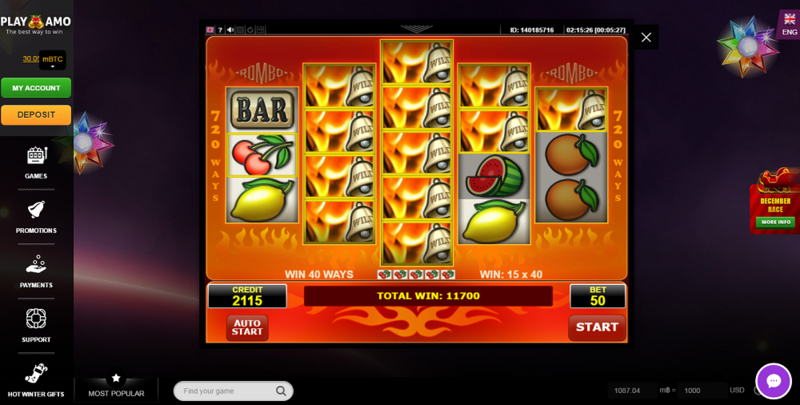 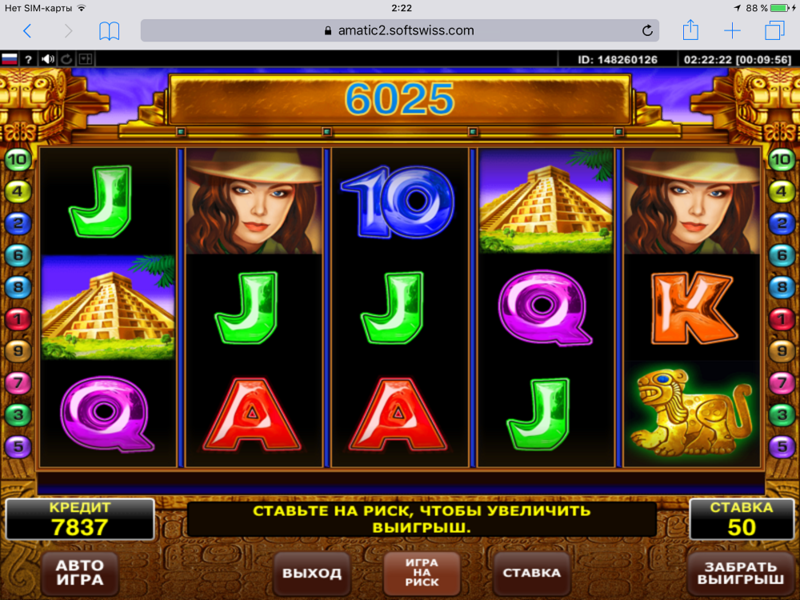 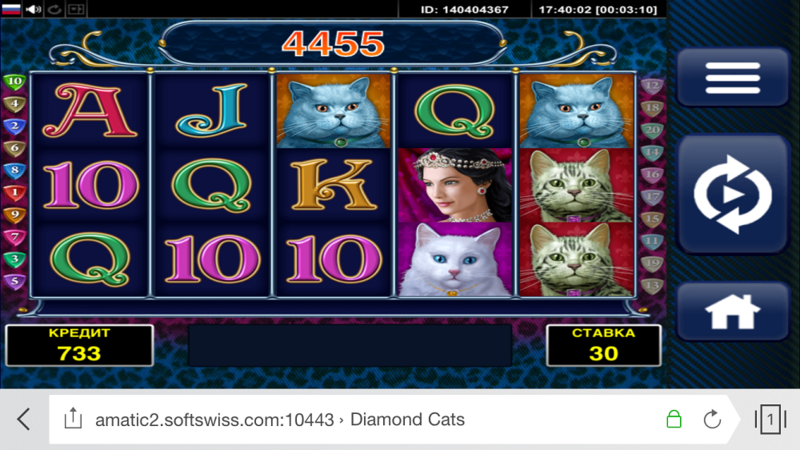 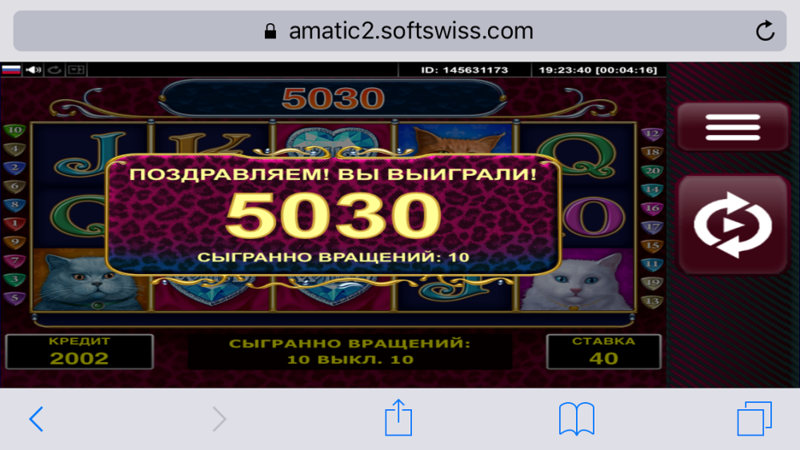 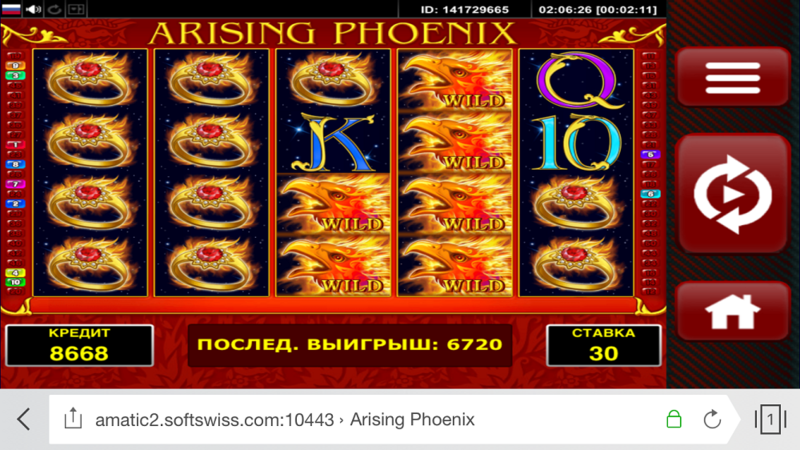 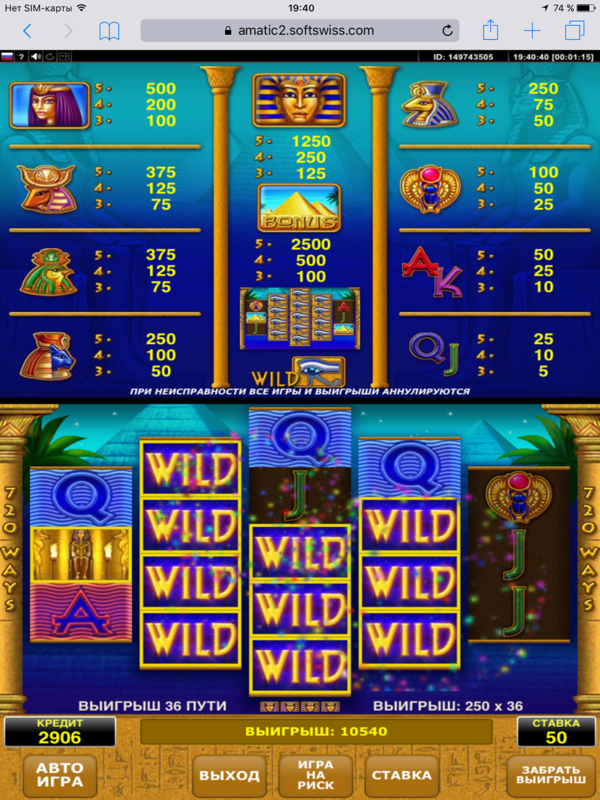 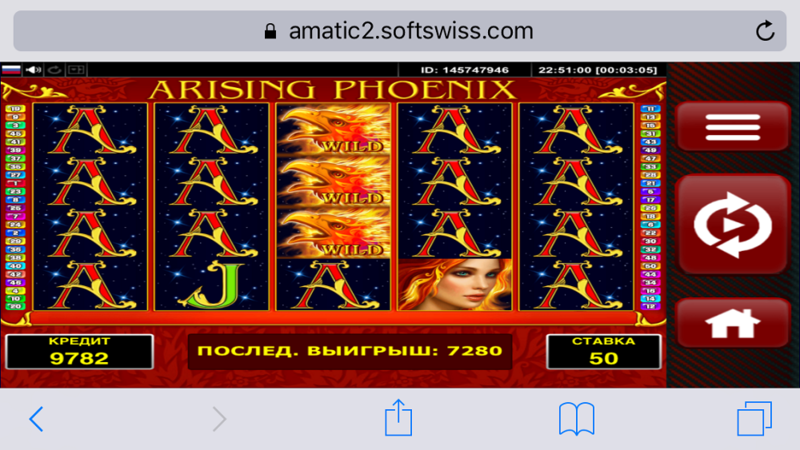 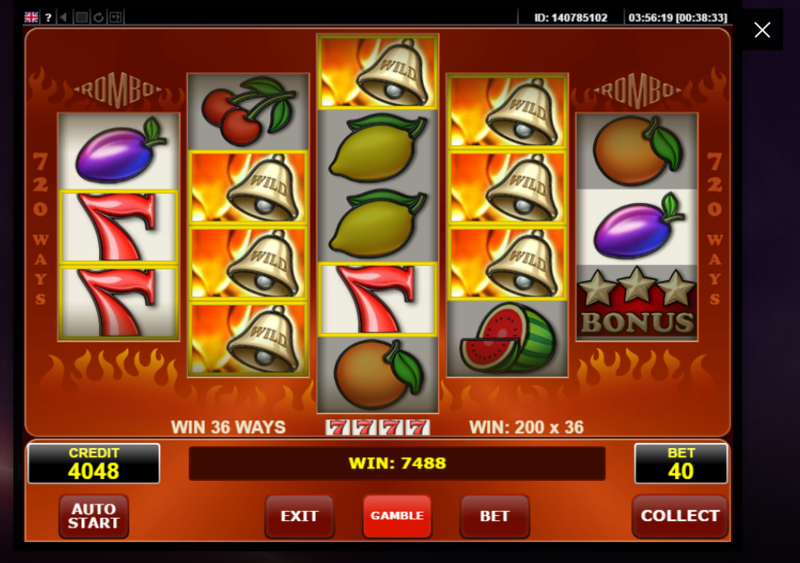 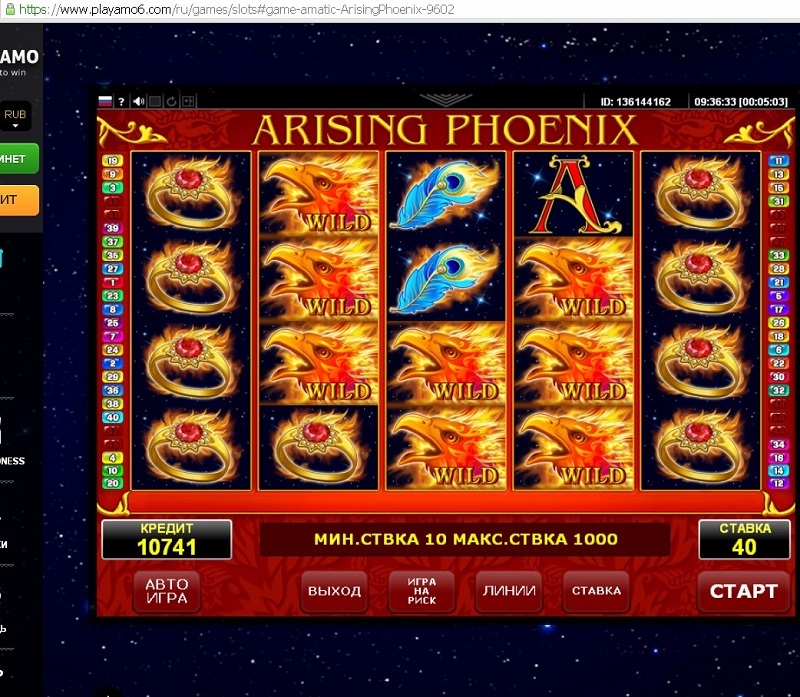 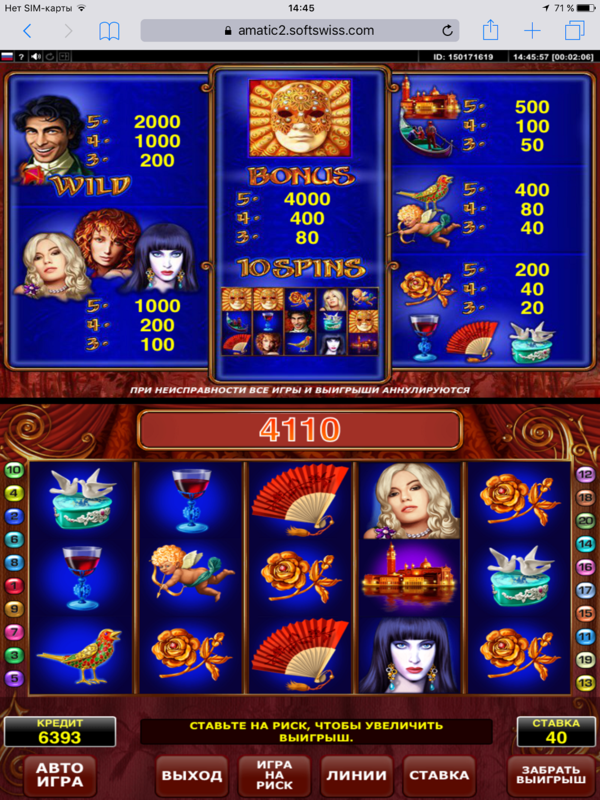 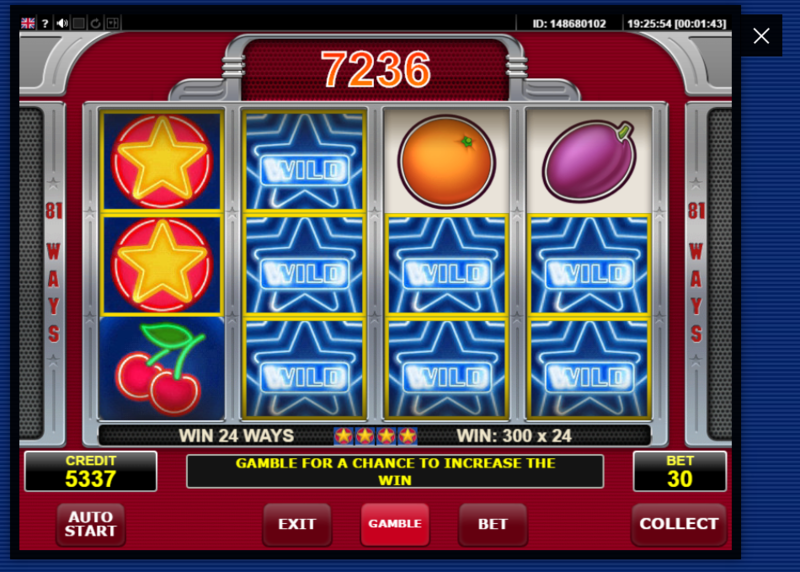 - Play any slots from Amatic. 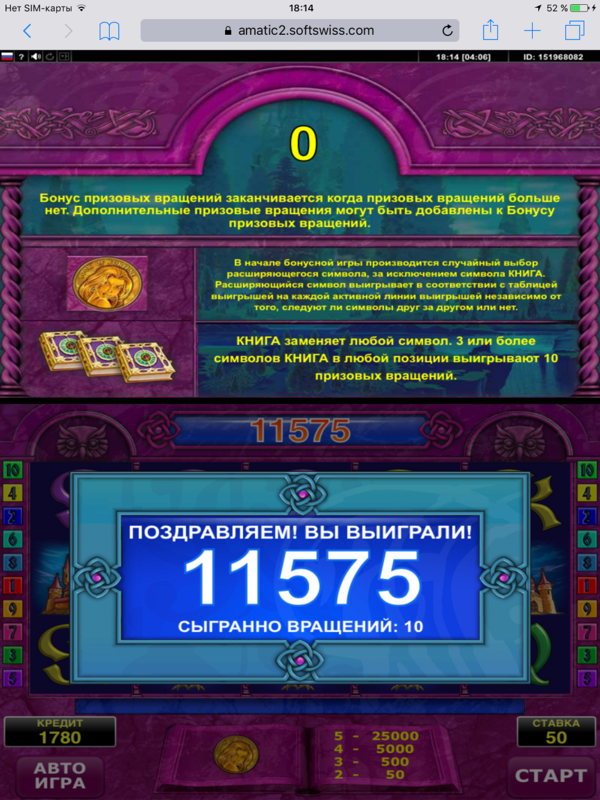 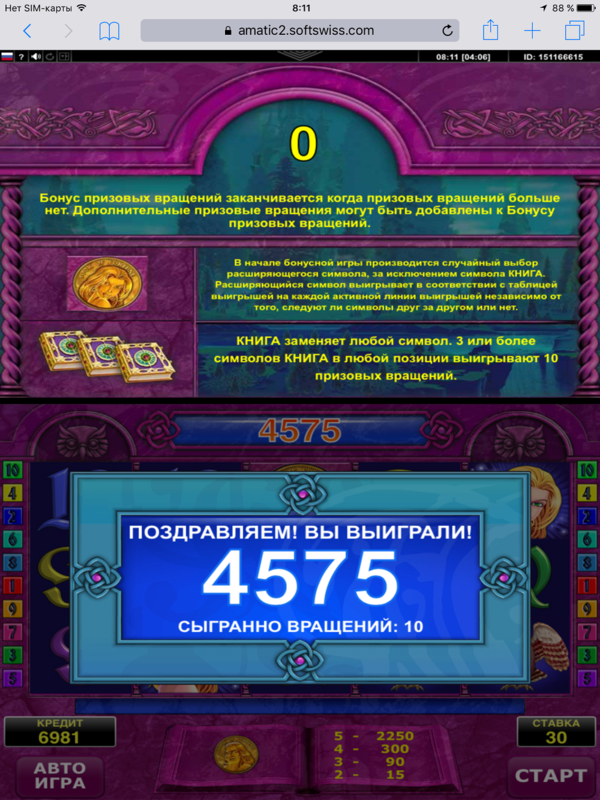 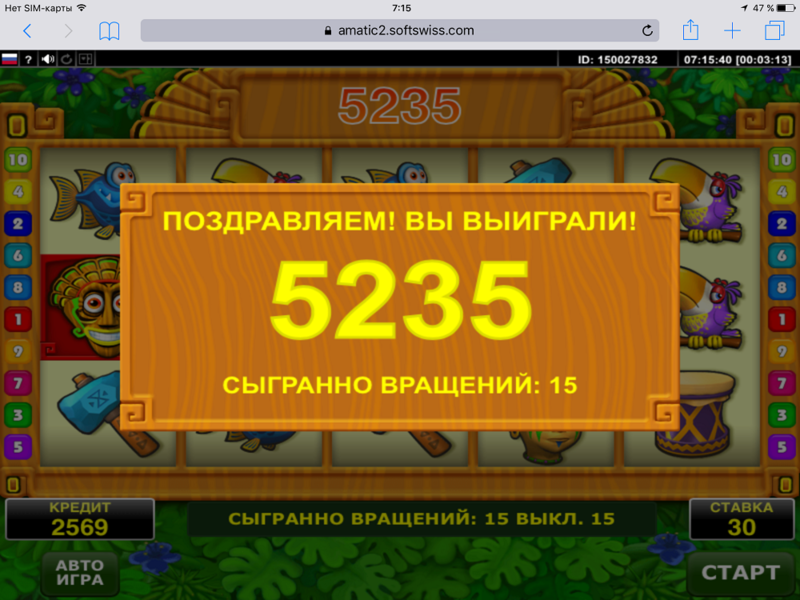 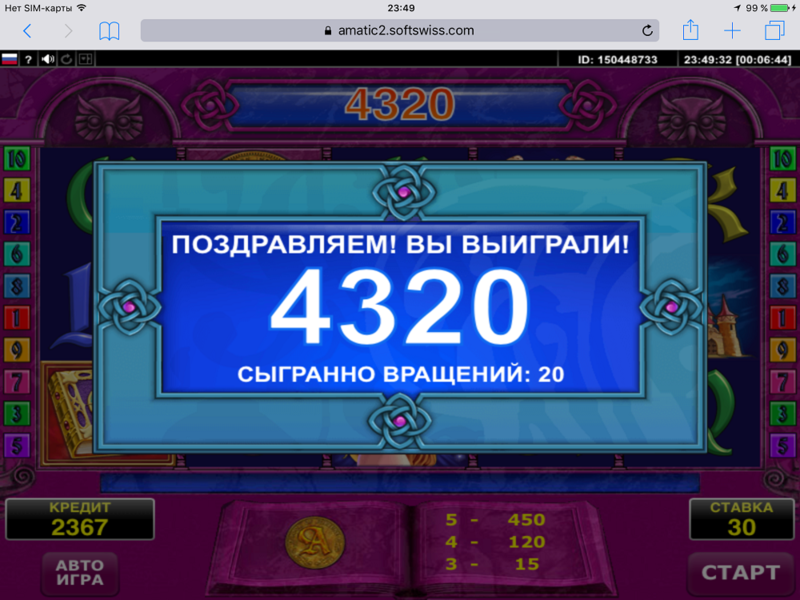 - Catch a prize/bonus game. 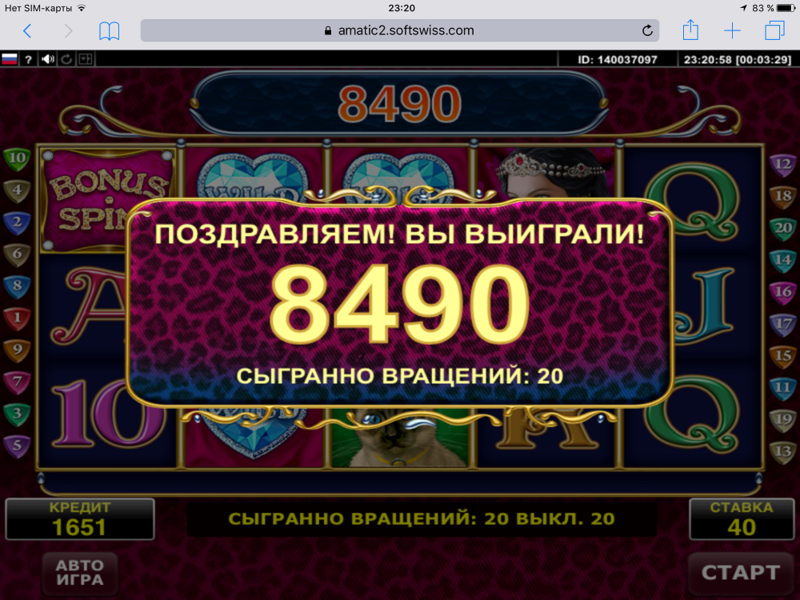 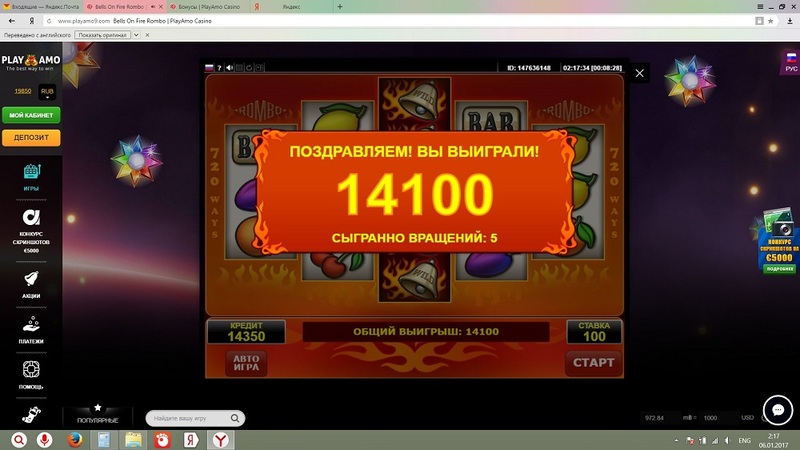 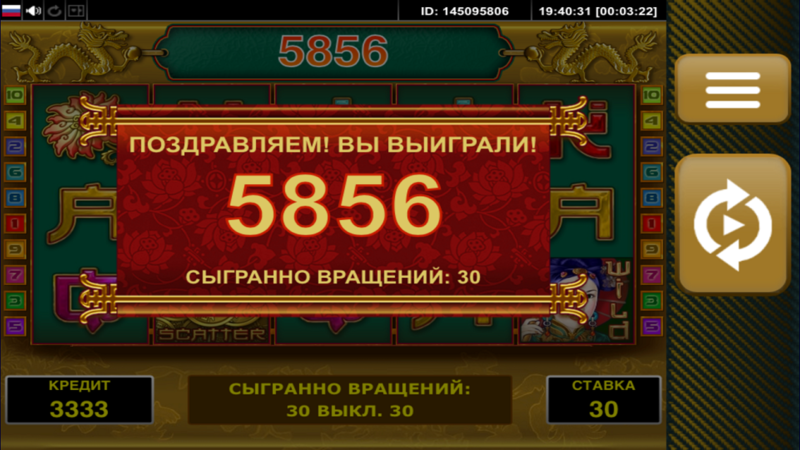 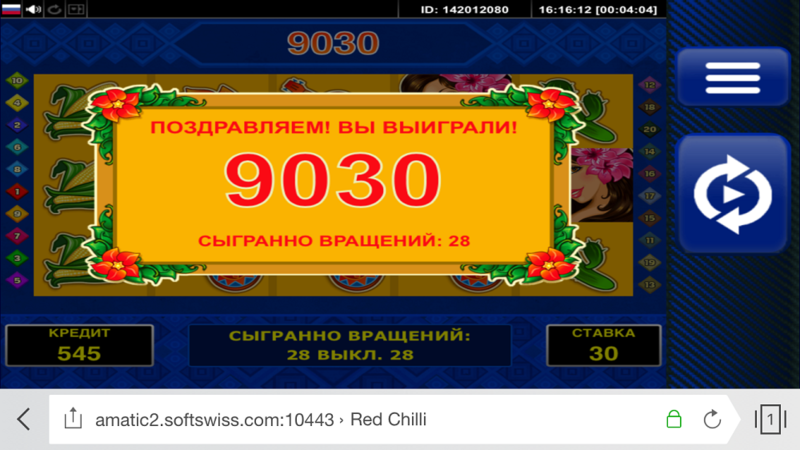 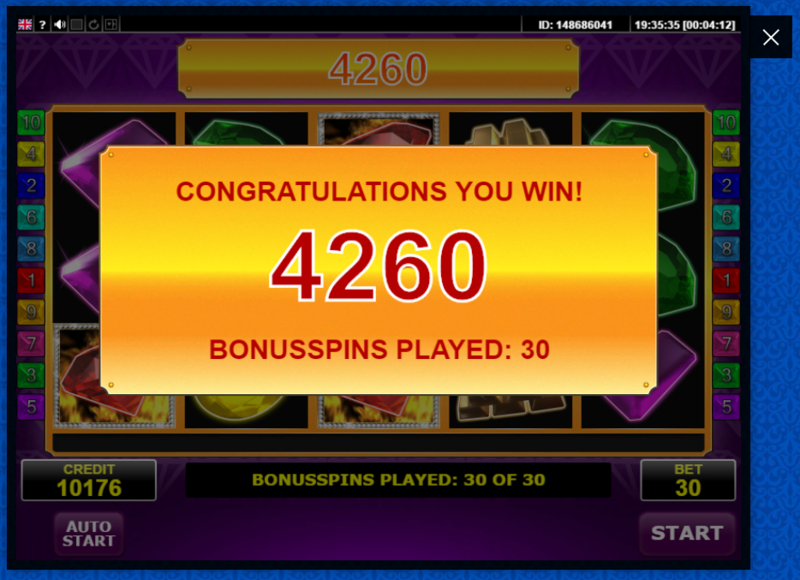 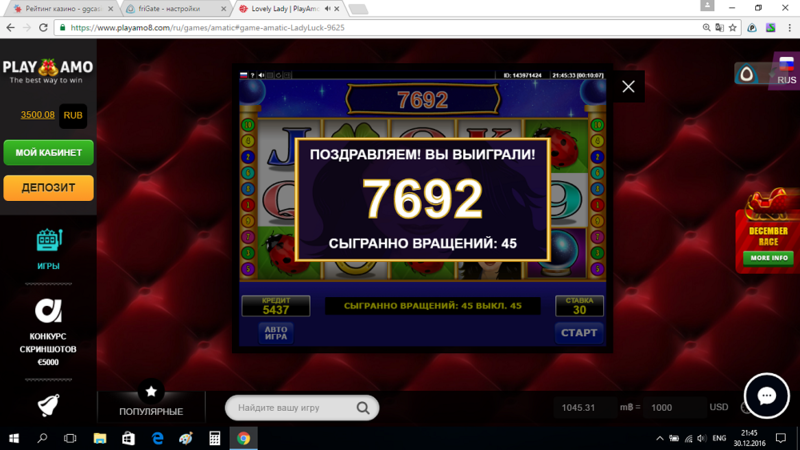 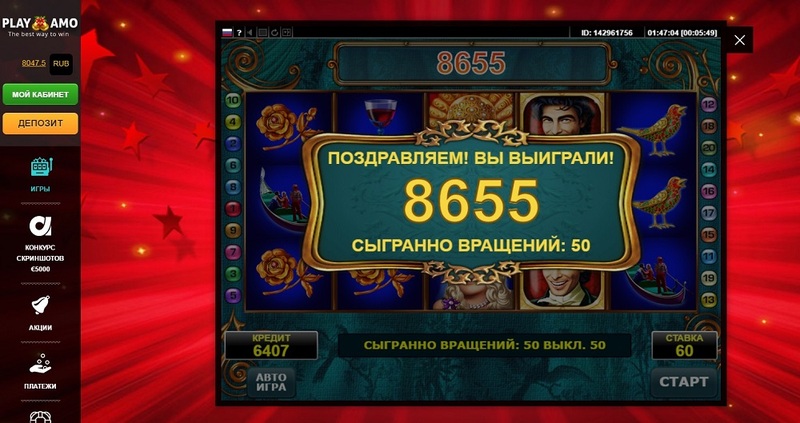 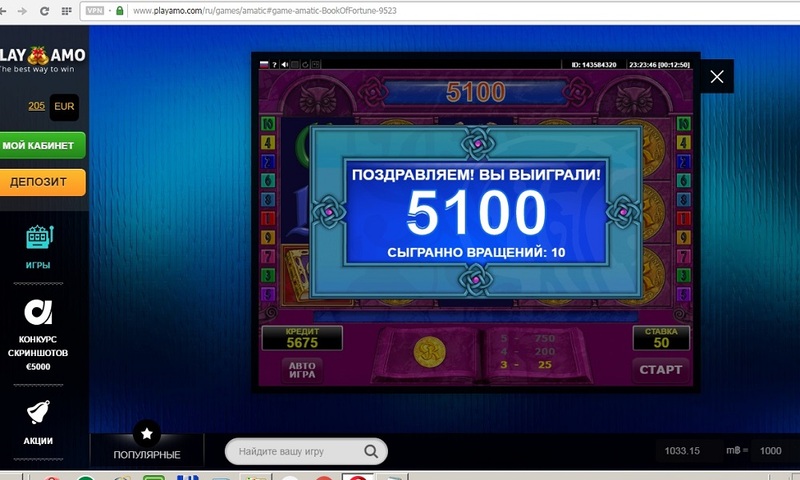 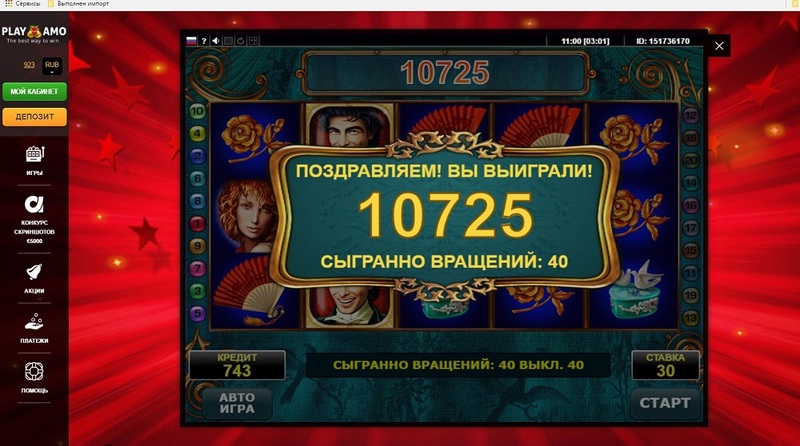 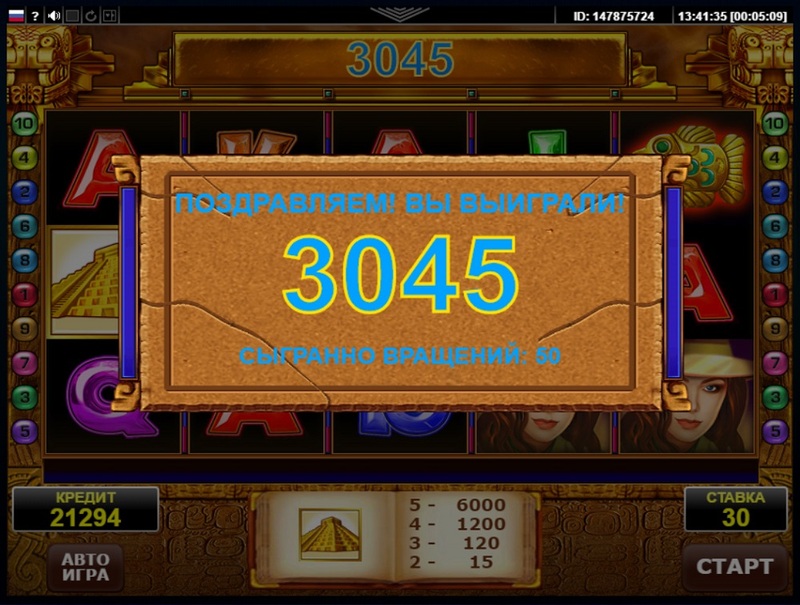 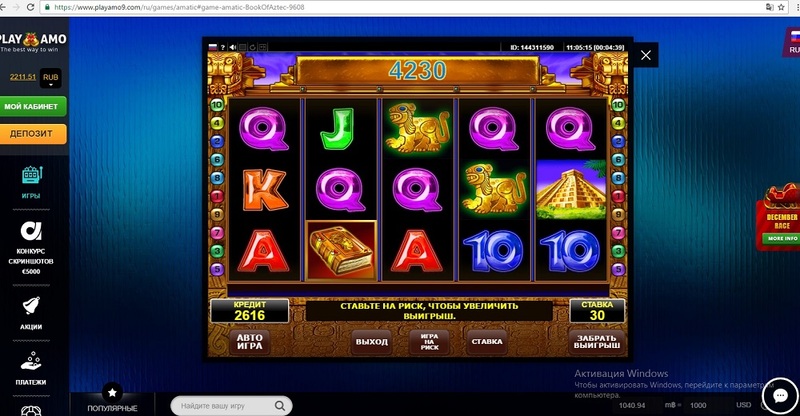 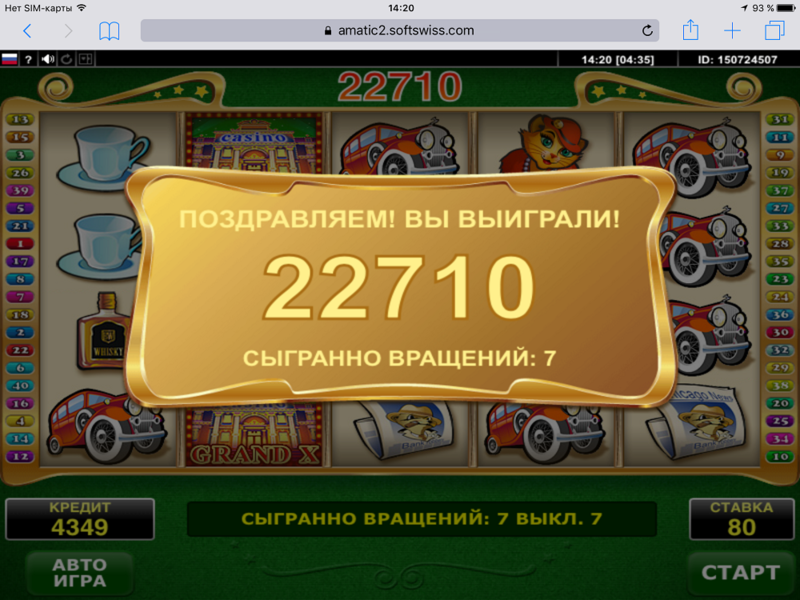 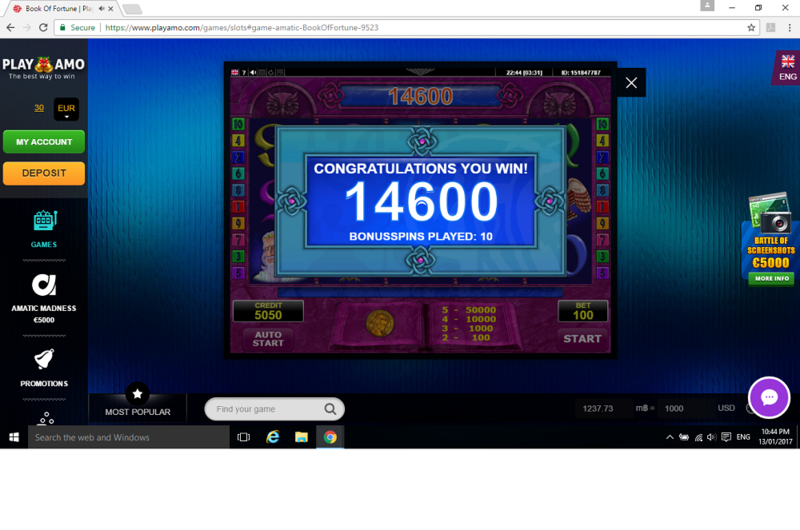 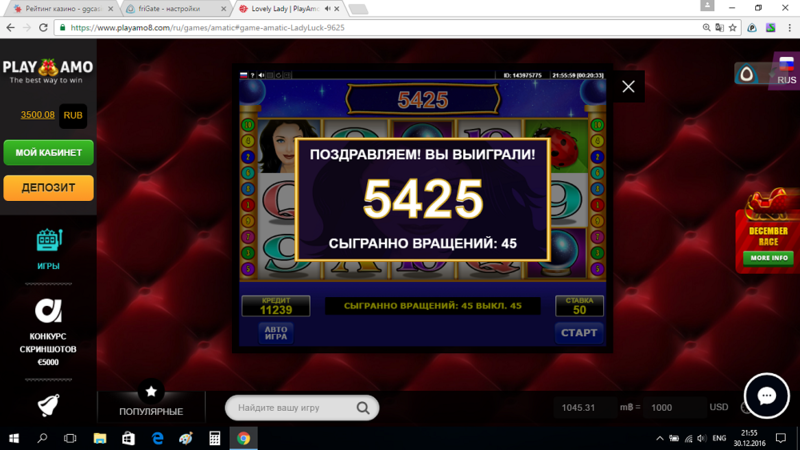 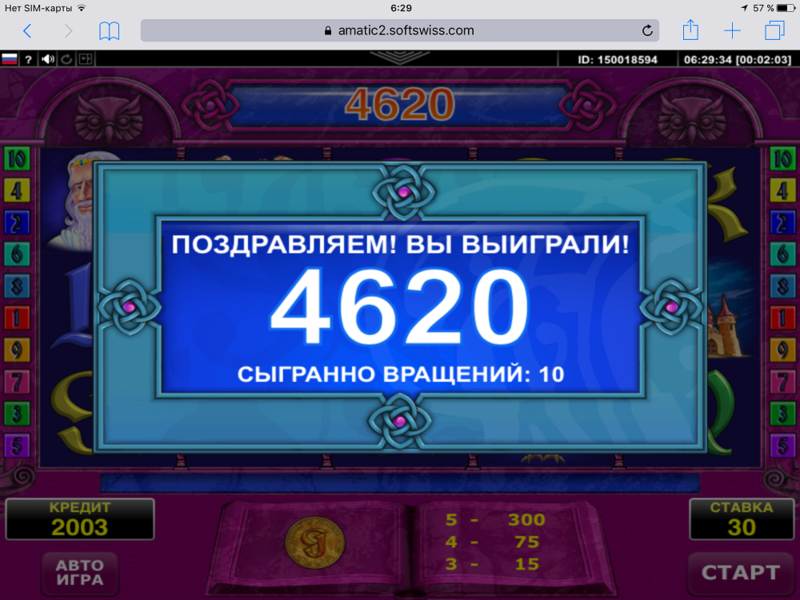 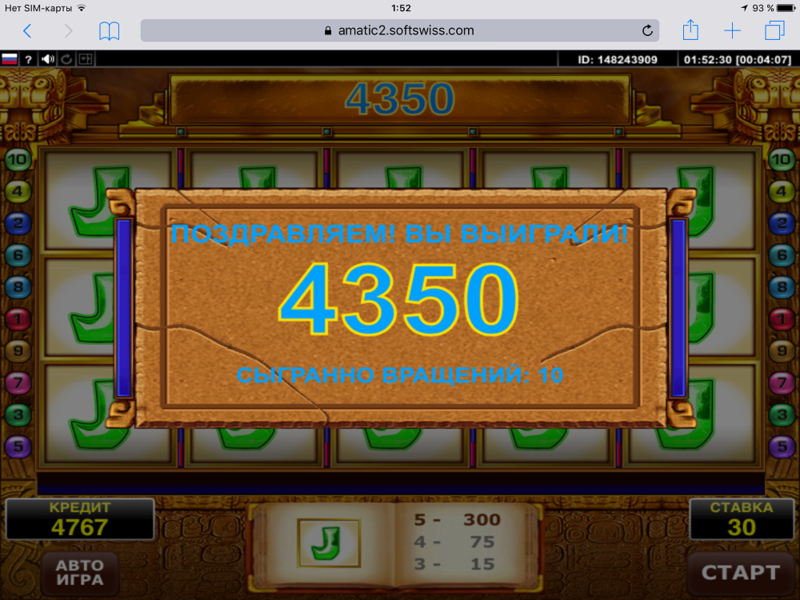 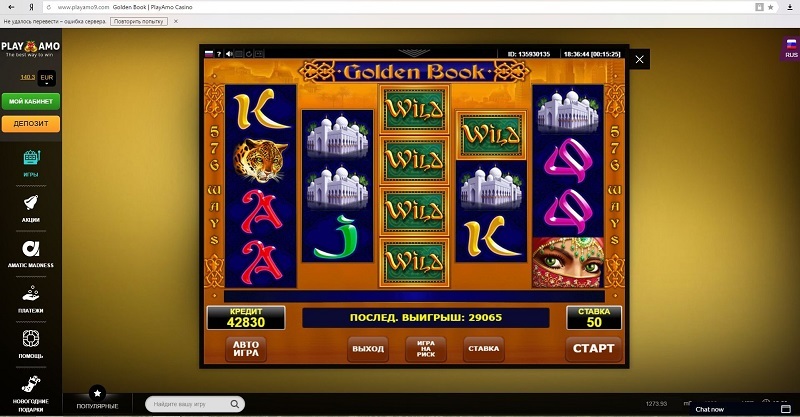 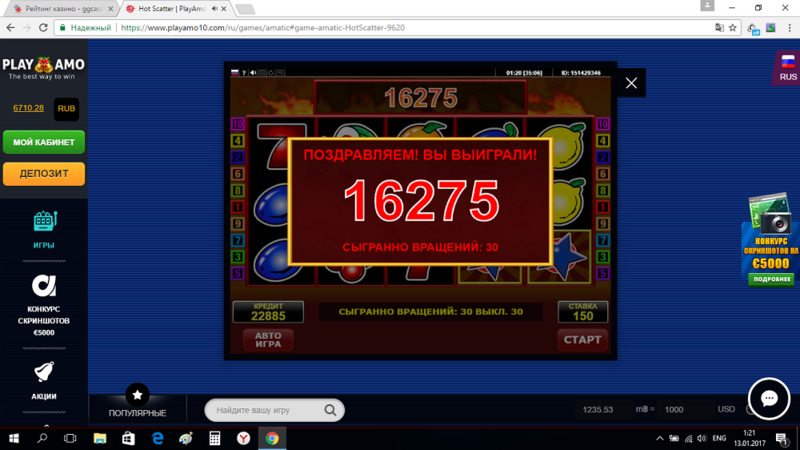 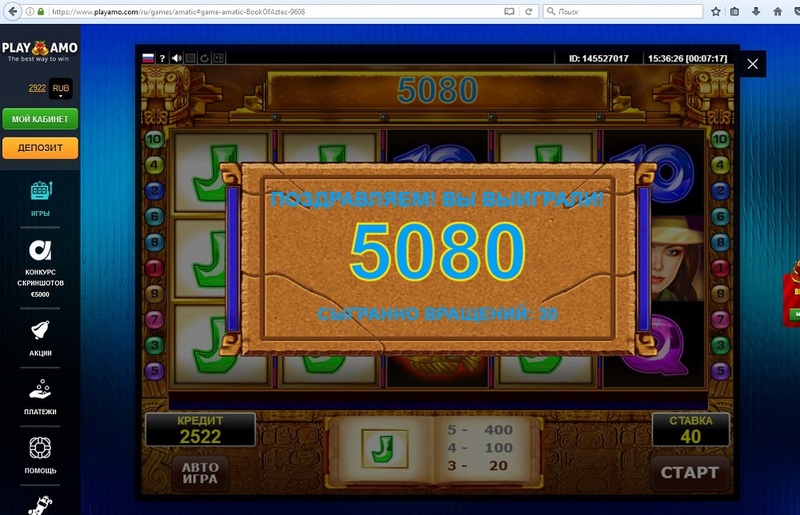 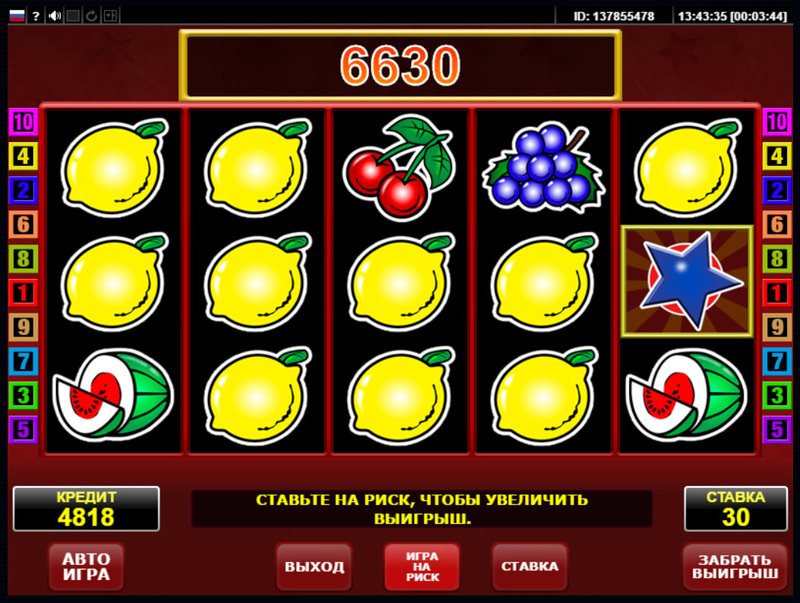 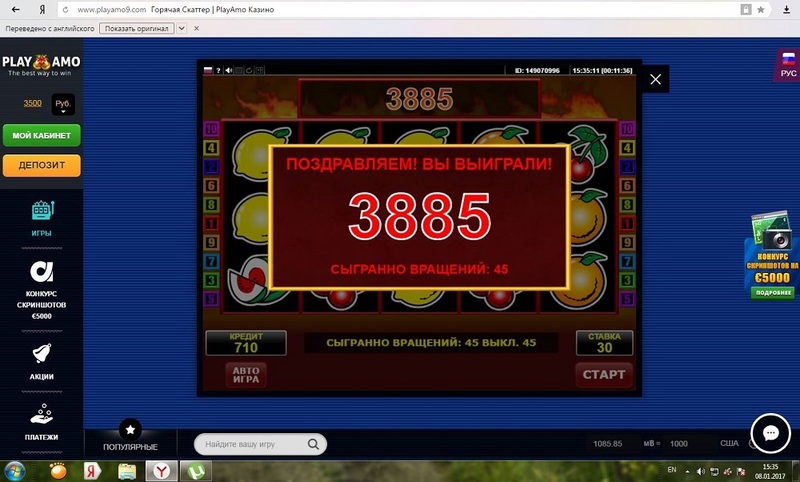 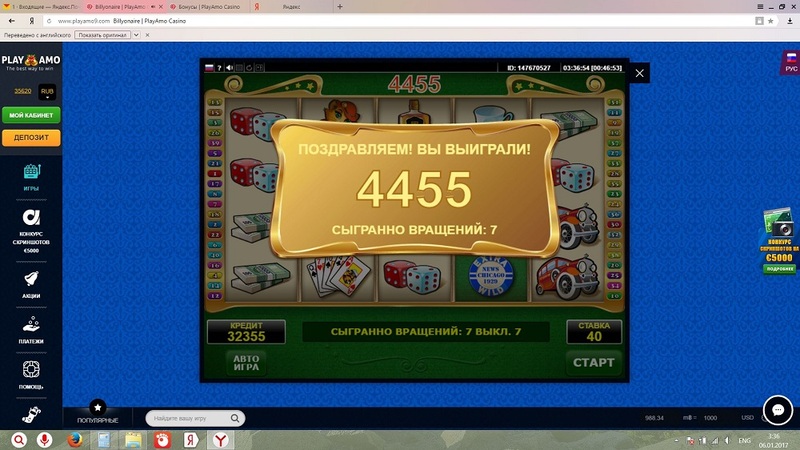 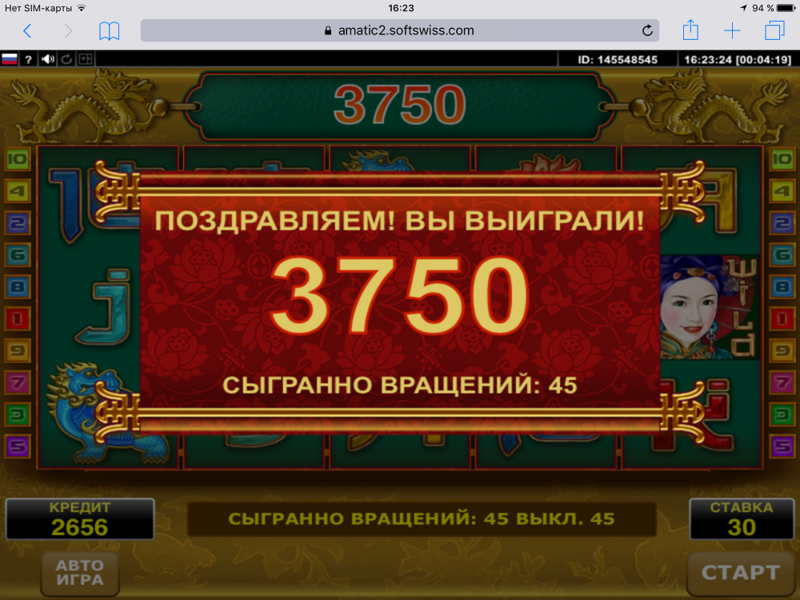 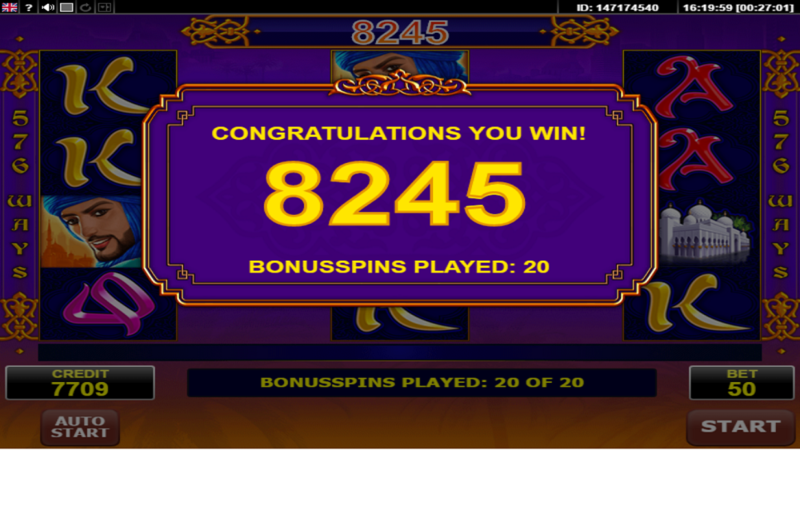 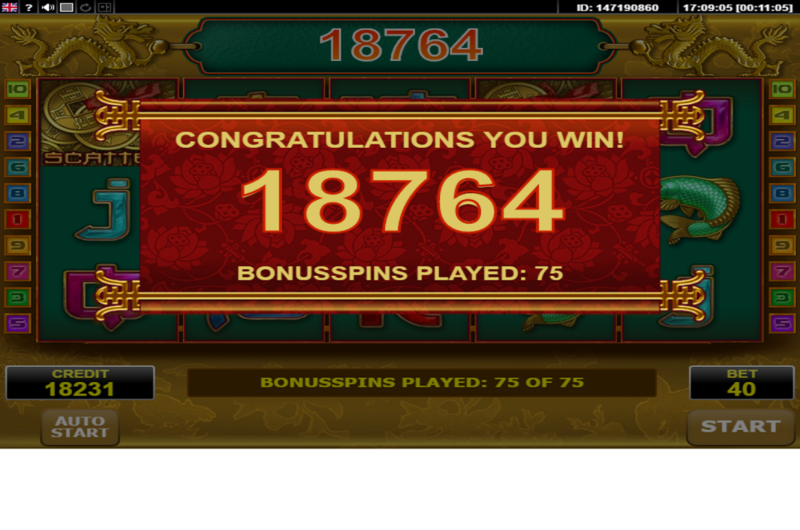 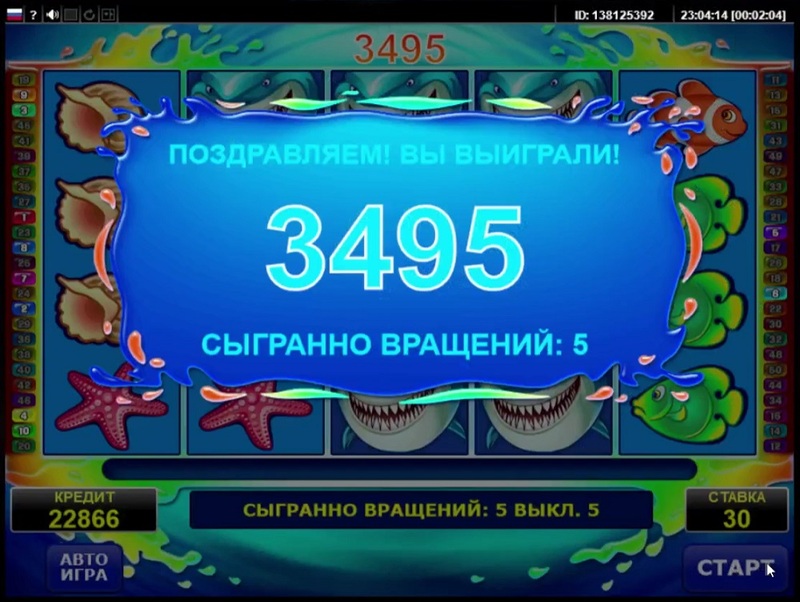 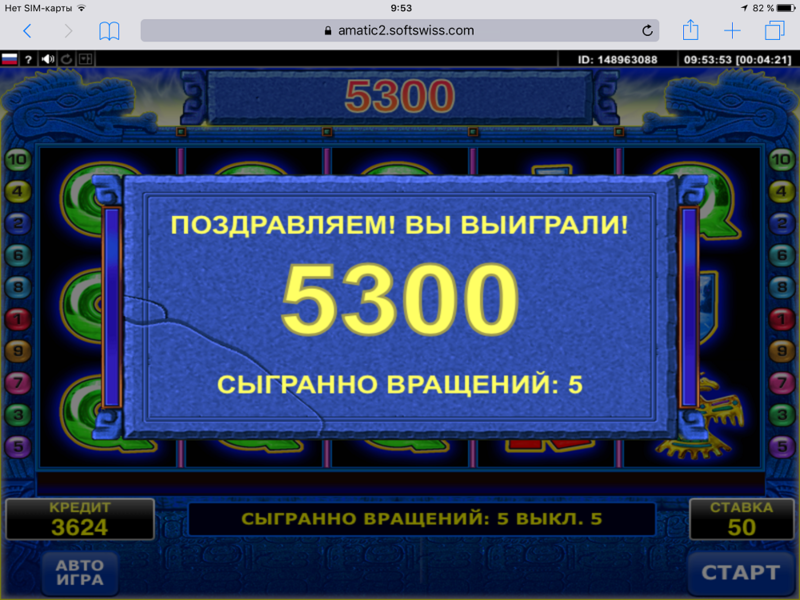 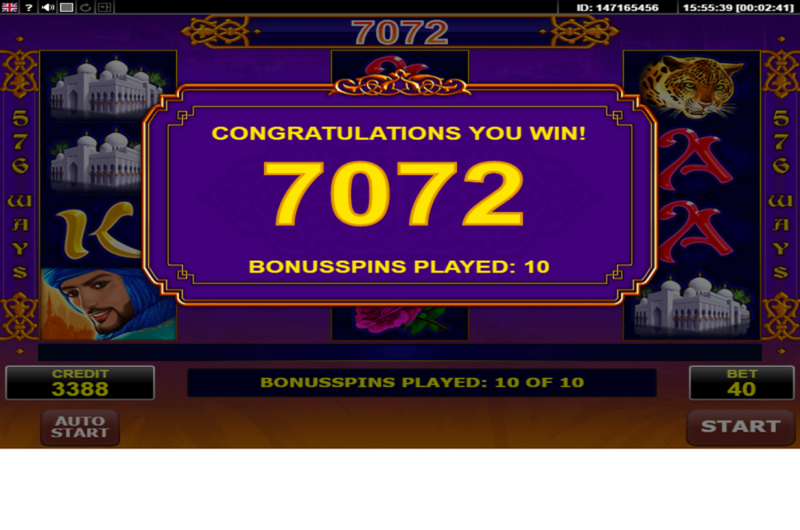 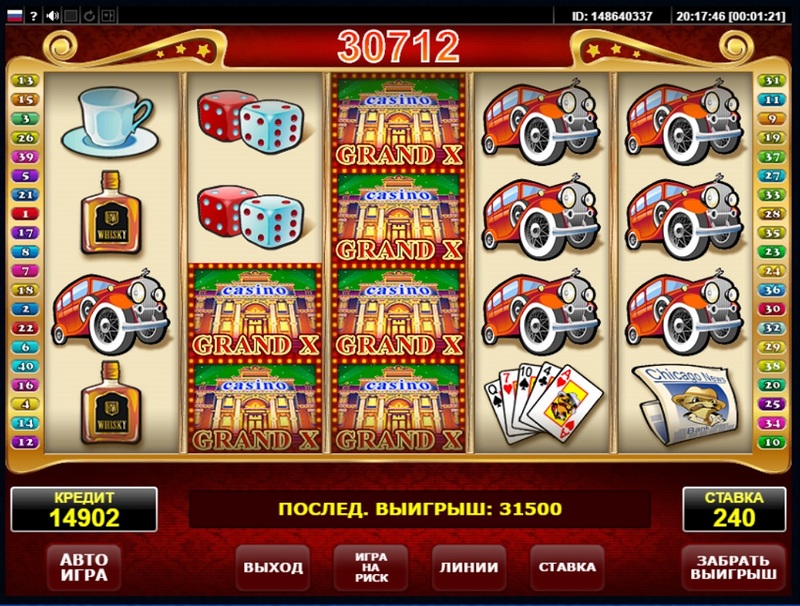 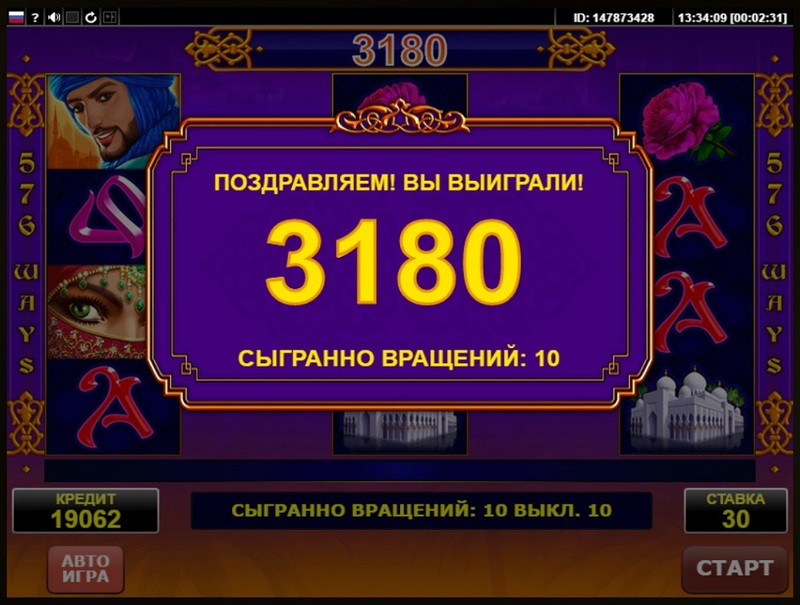 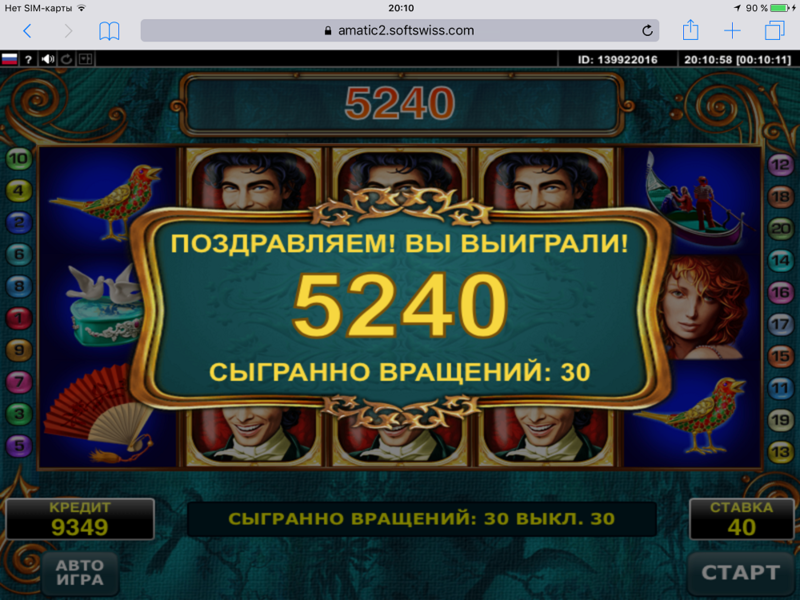 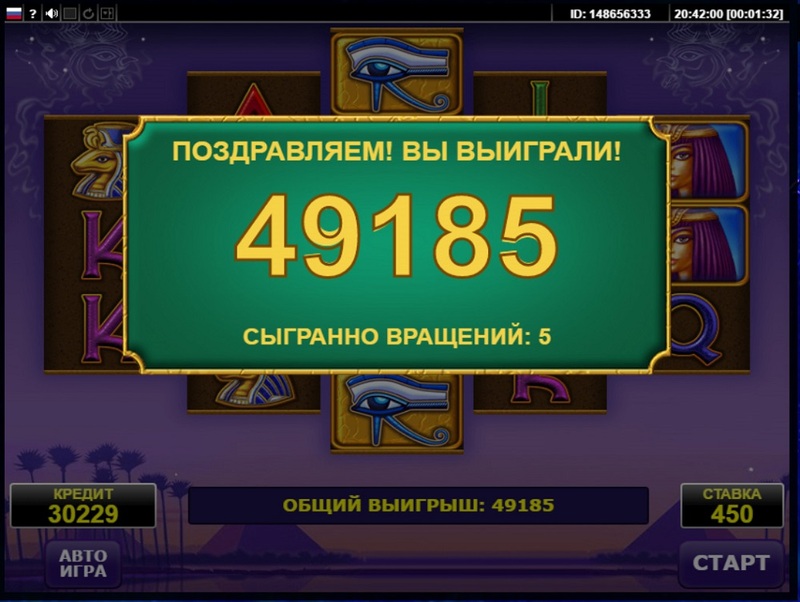 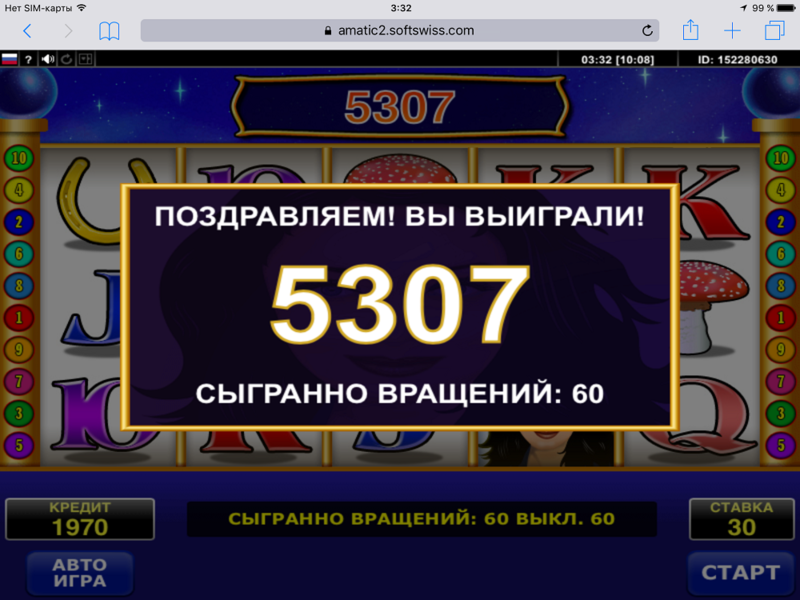 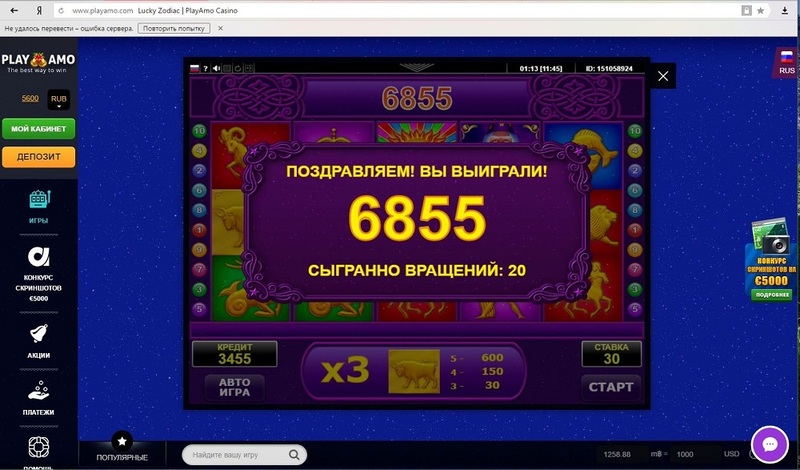 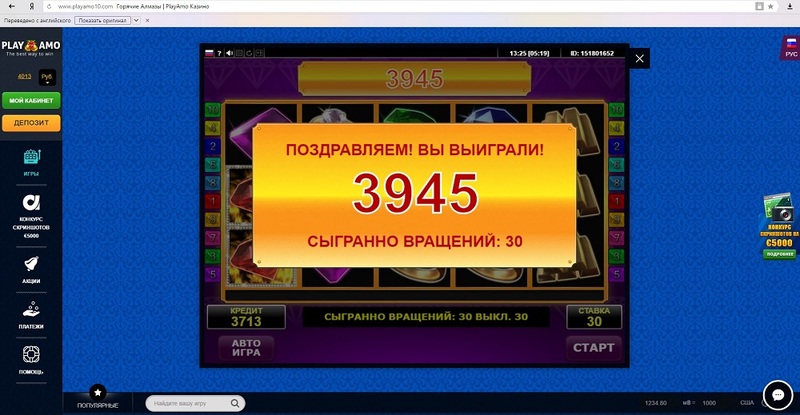 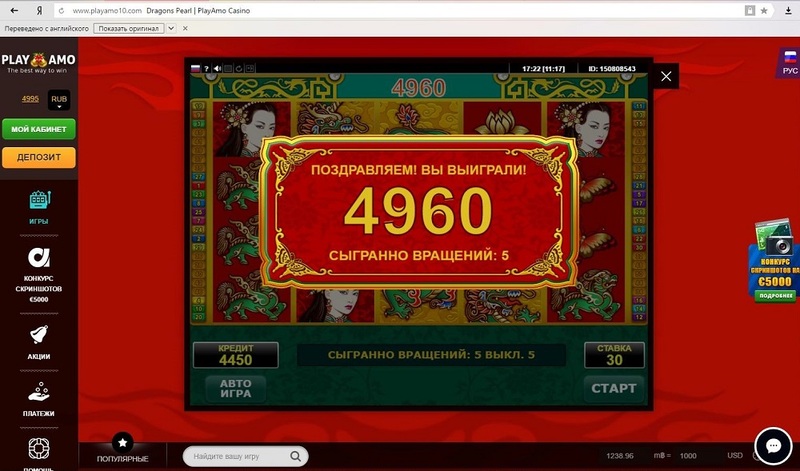 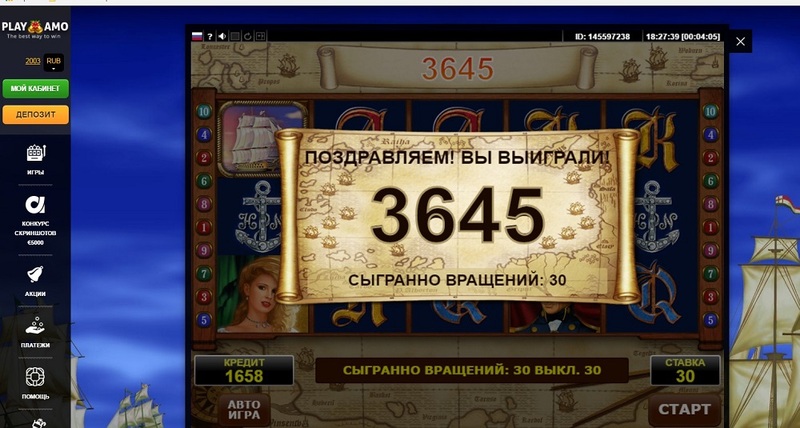 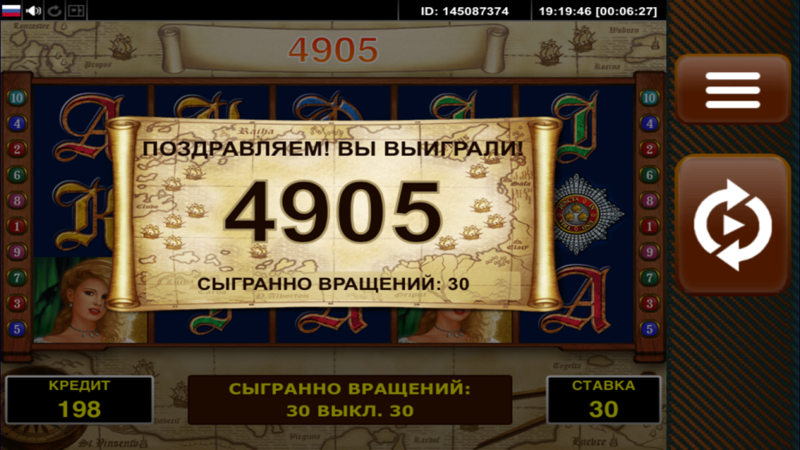 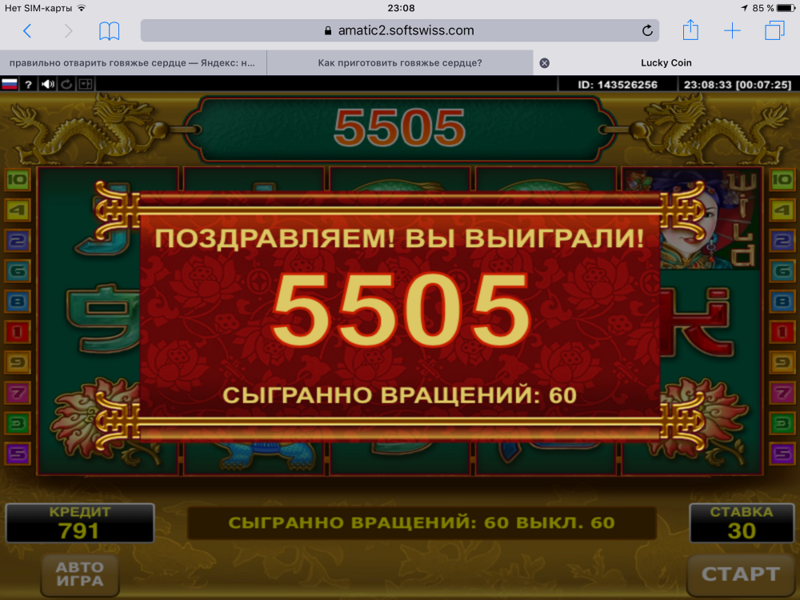 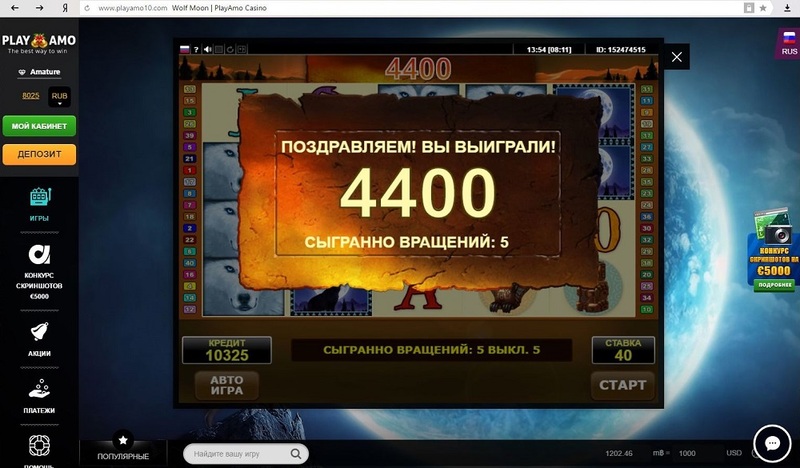 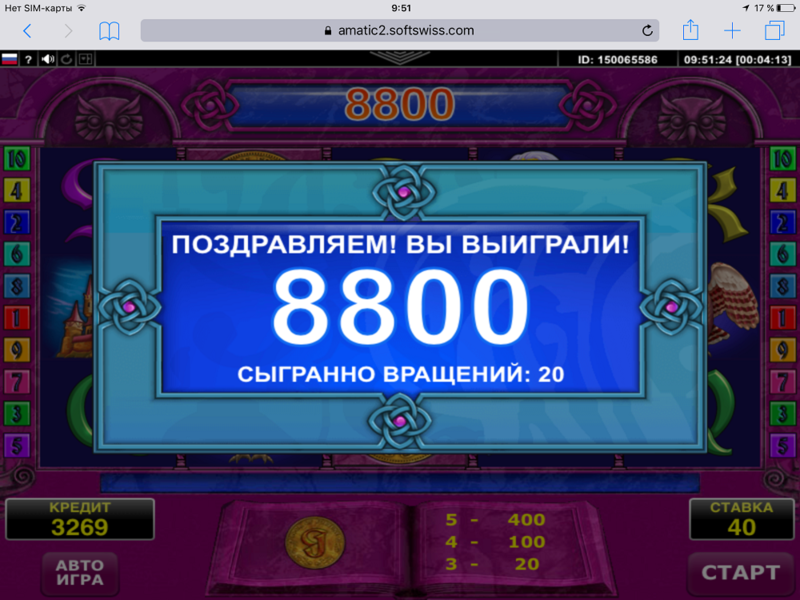 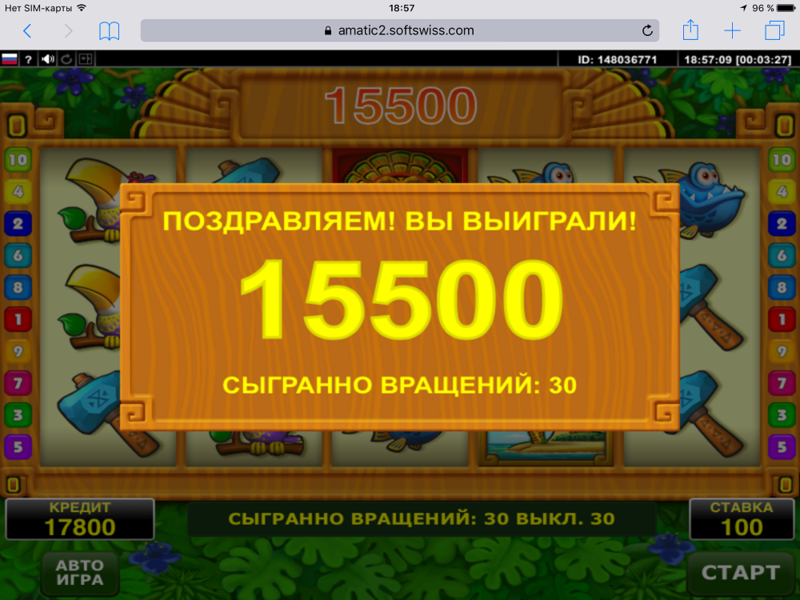 - Get your bet multiplication in the prize/bonus round. 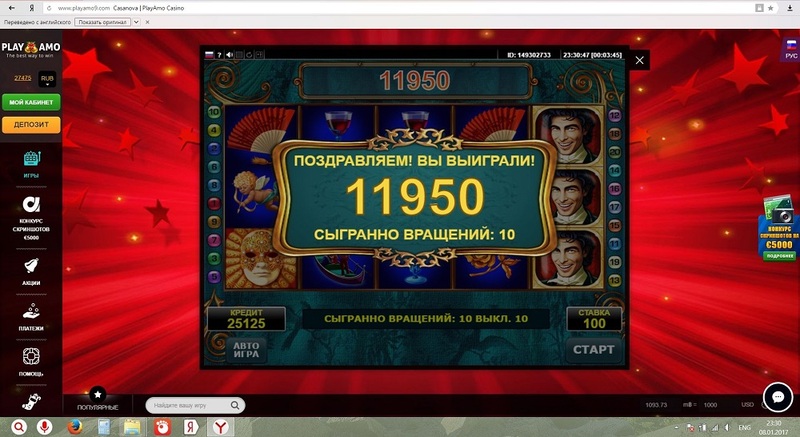 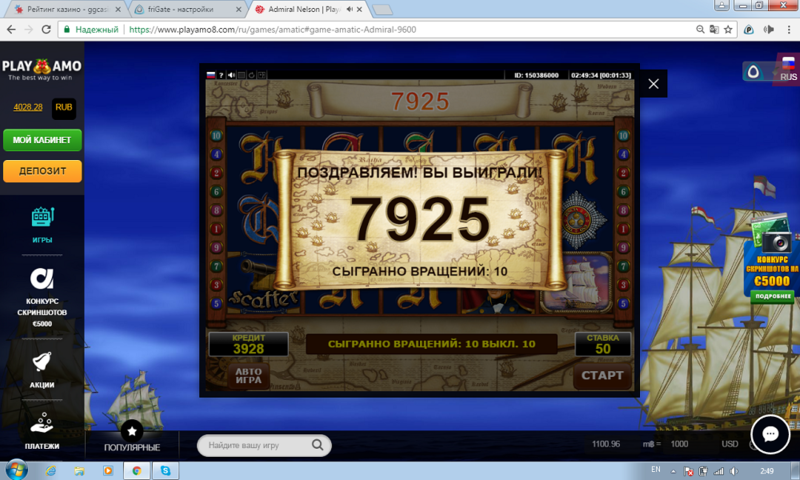 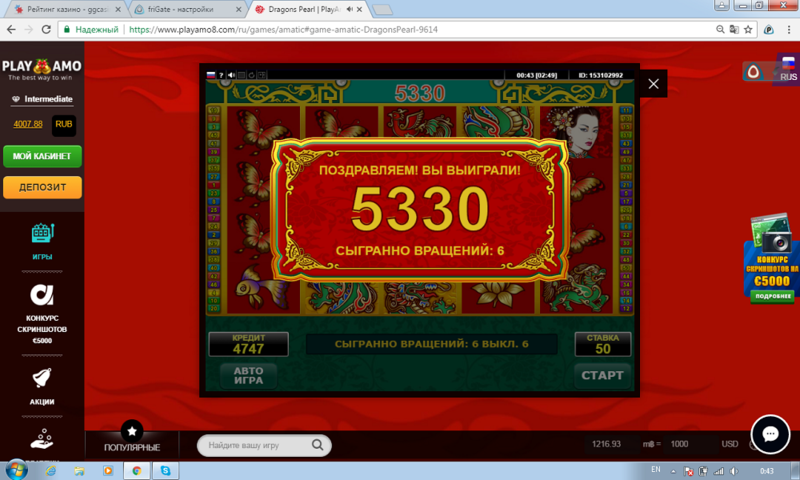 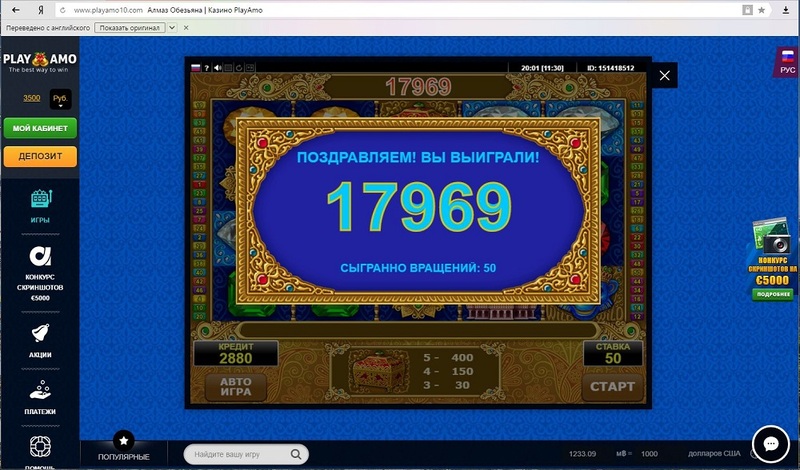 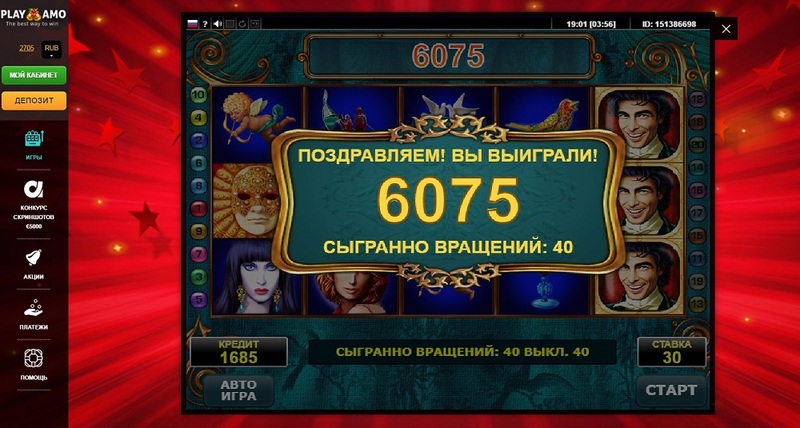 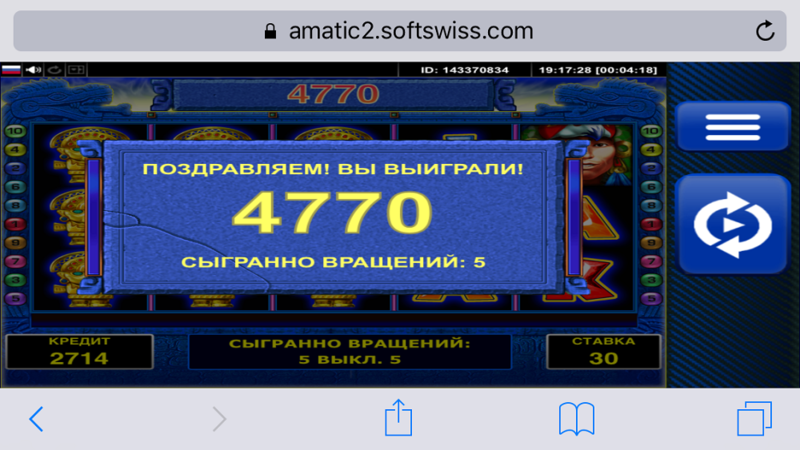 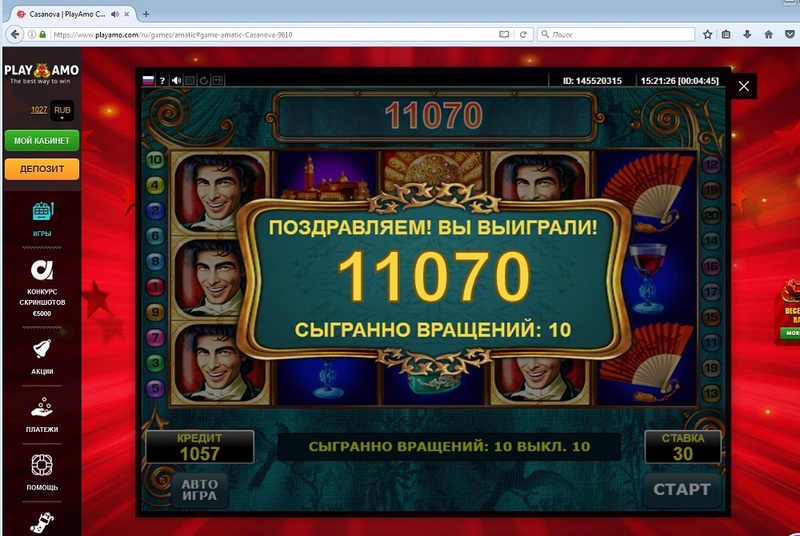 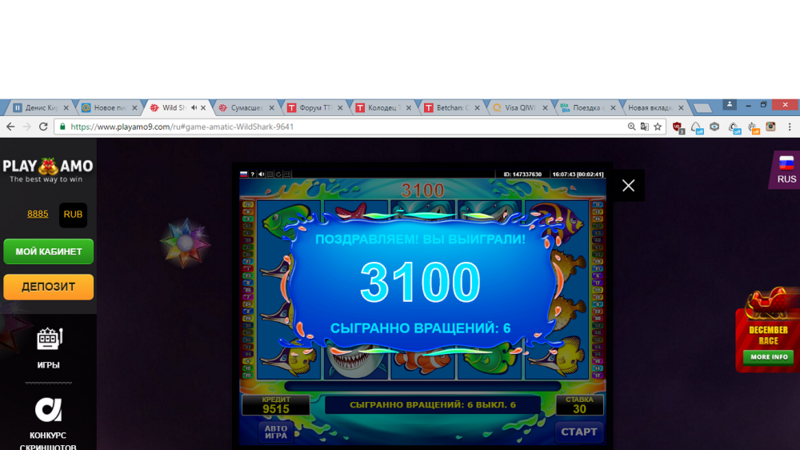 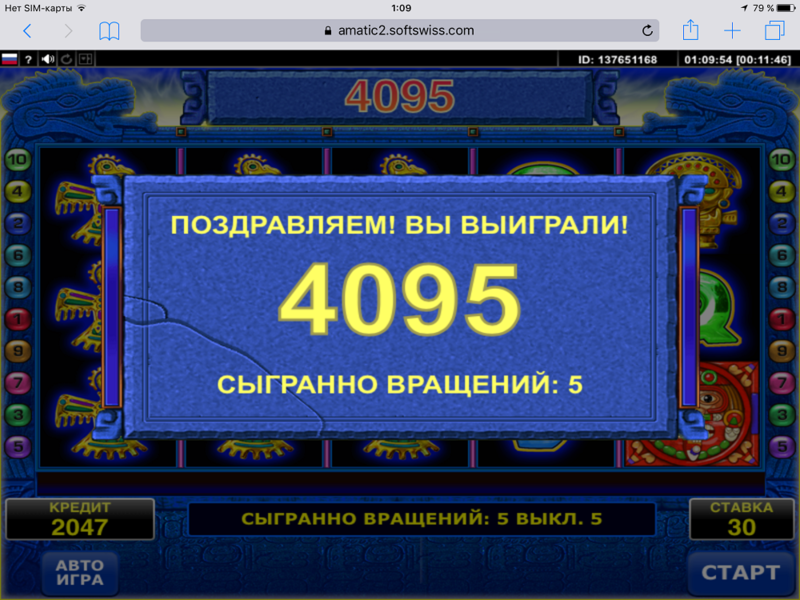 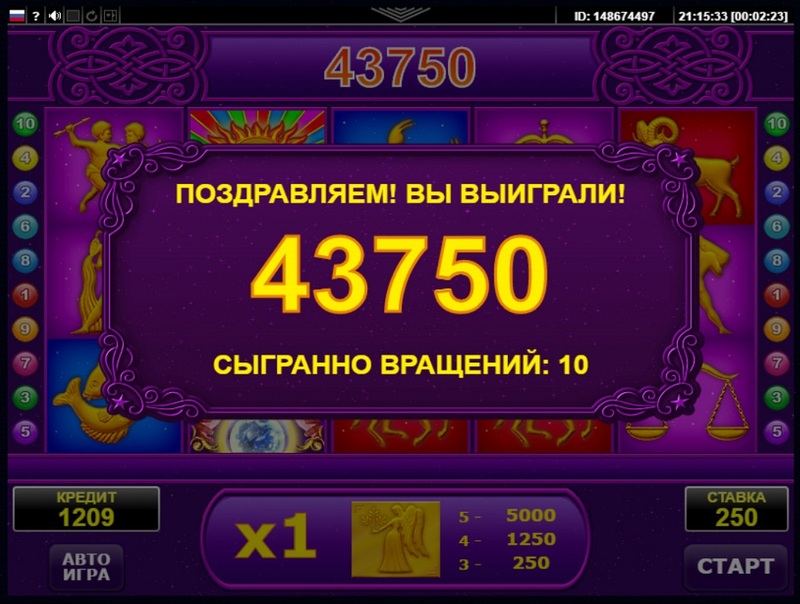 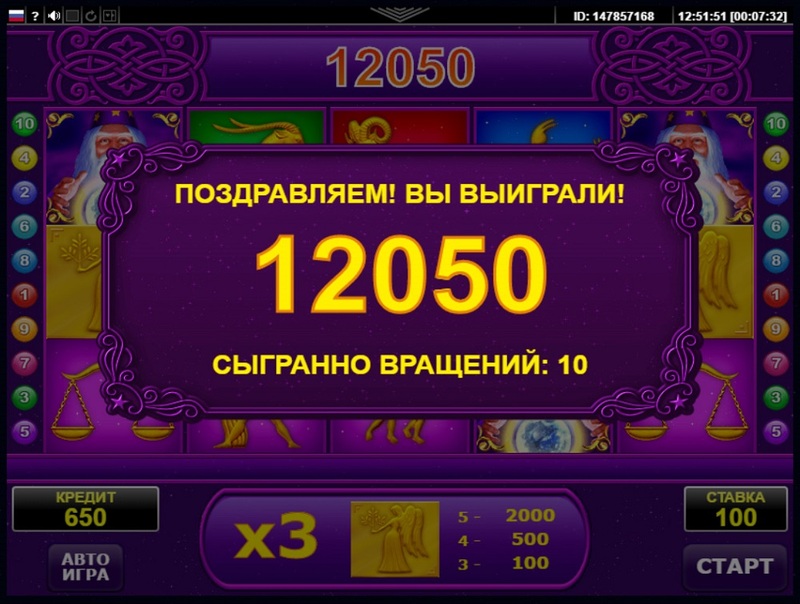 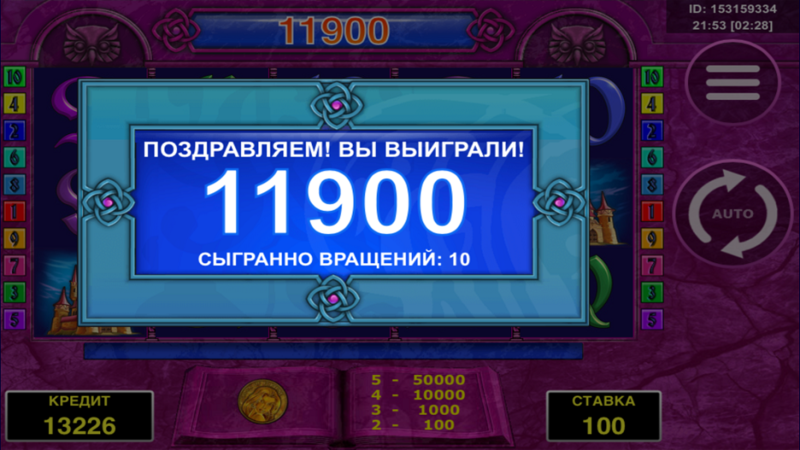 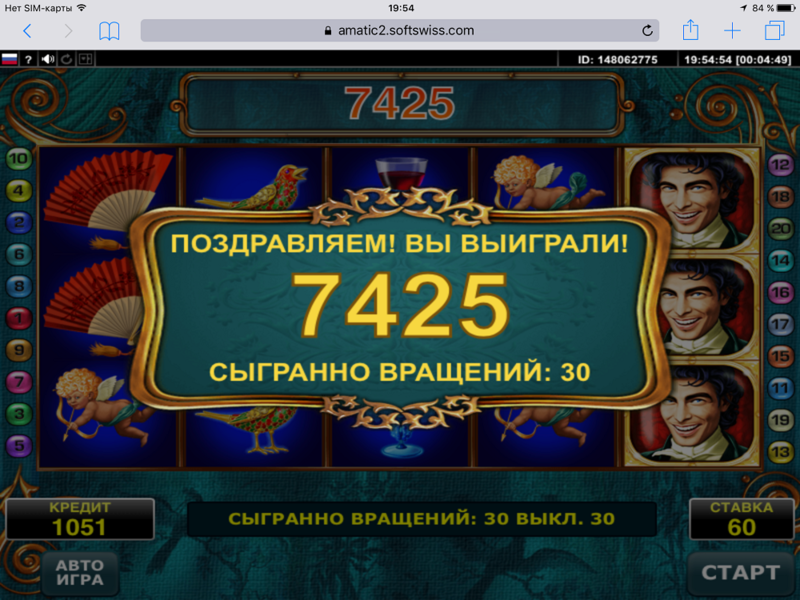 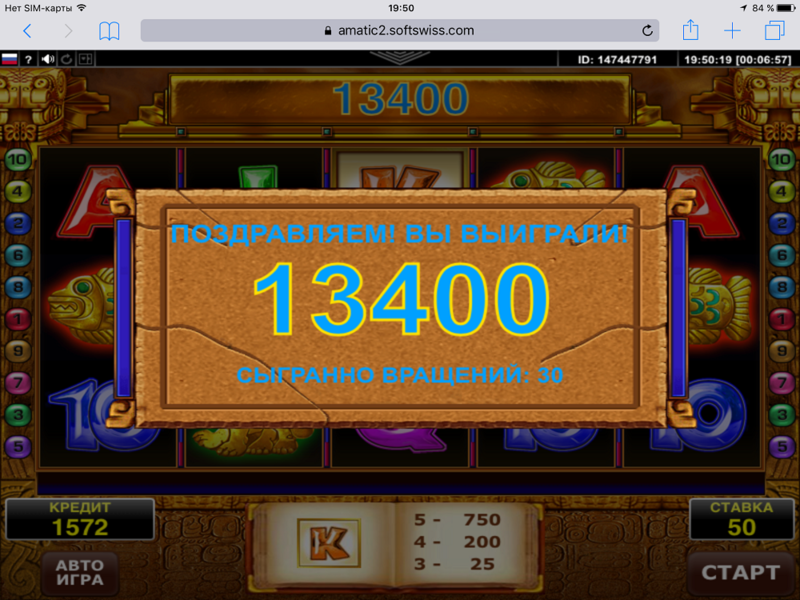 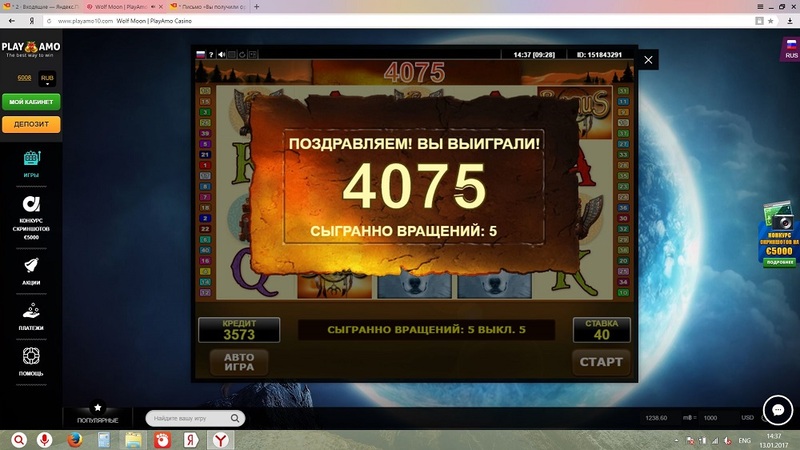 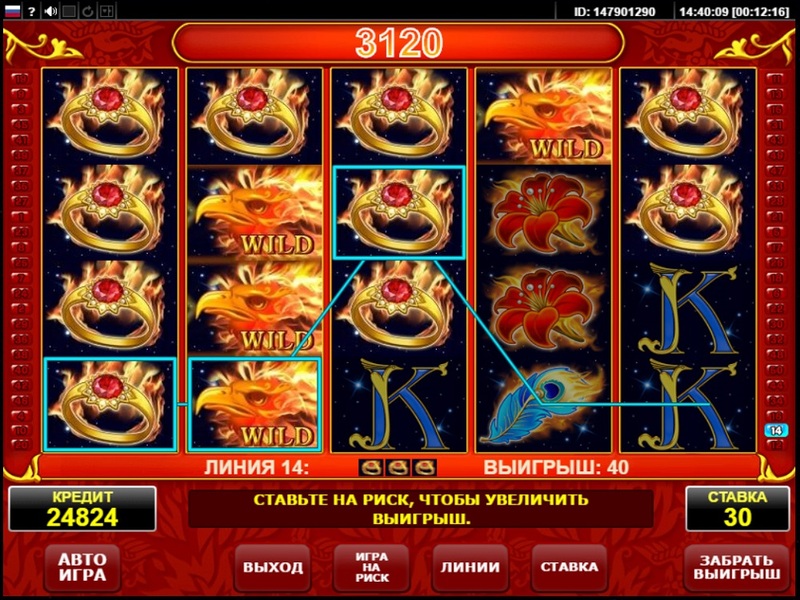 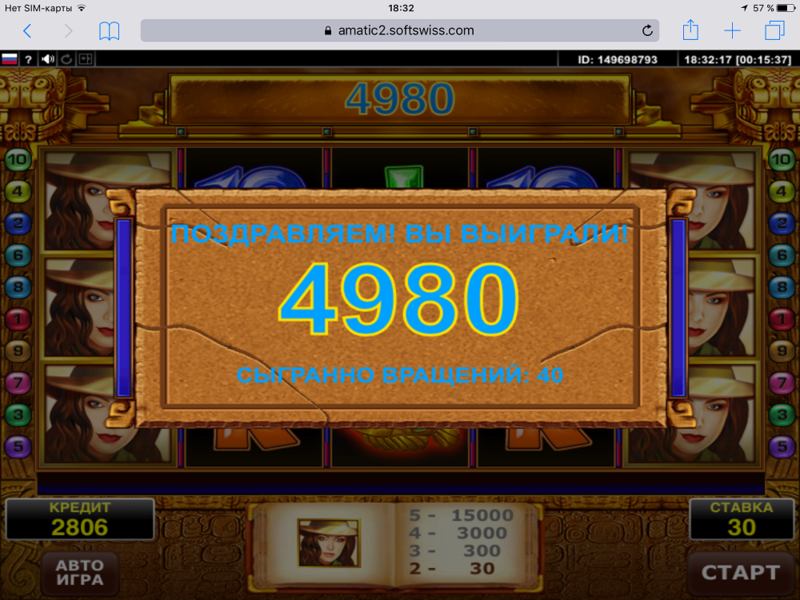 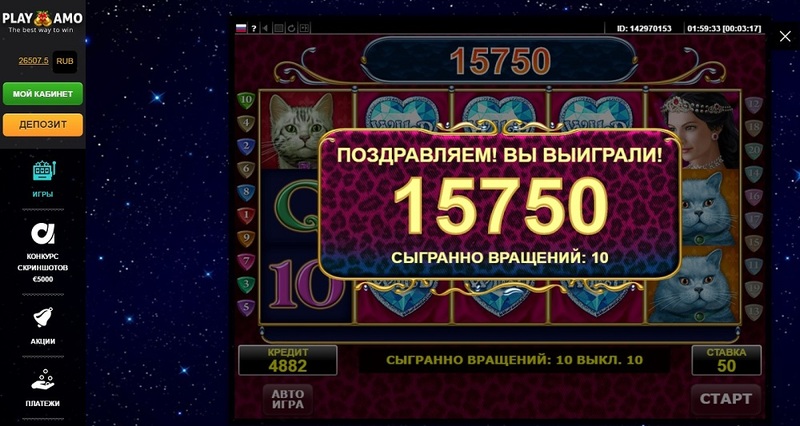 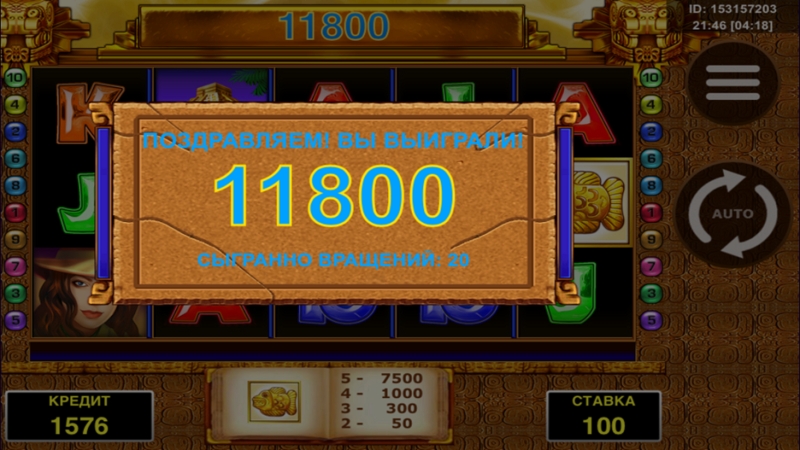 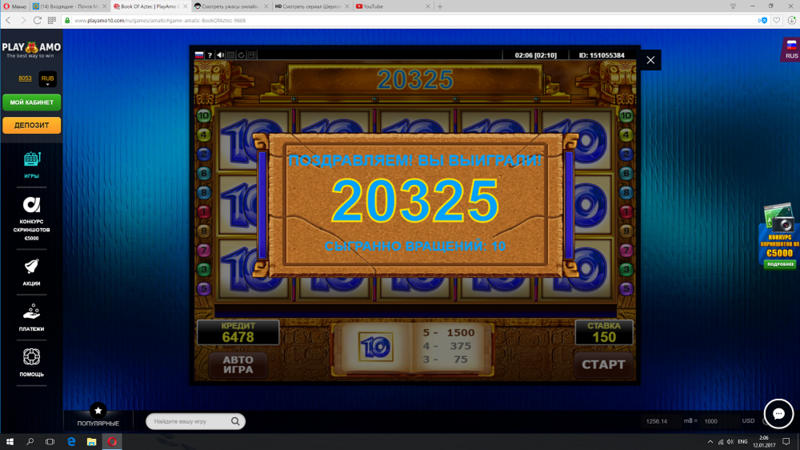 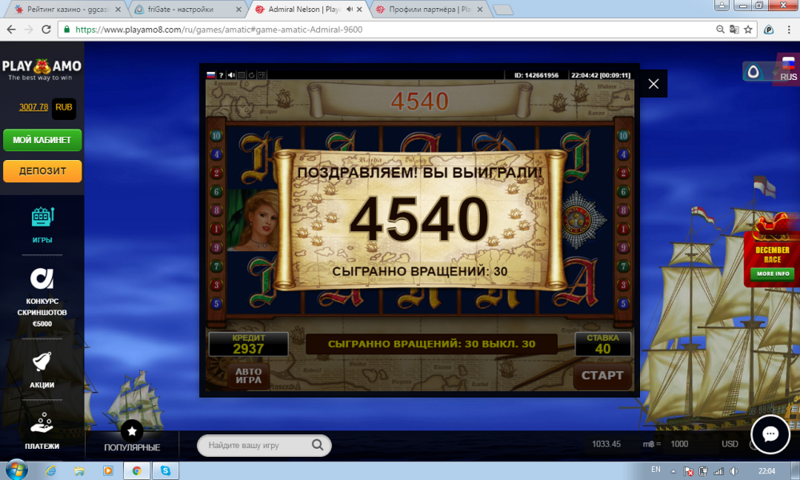 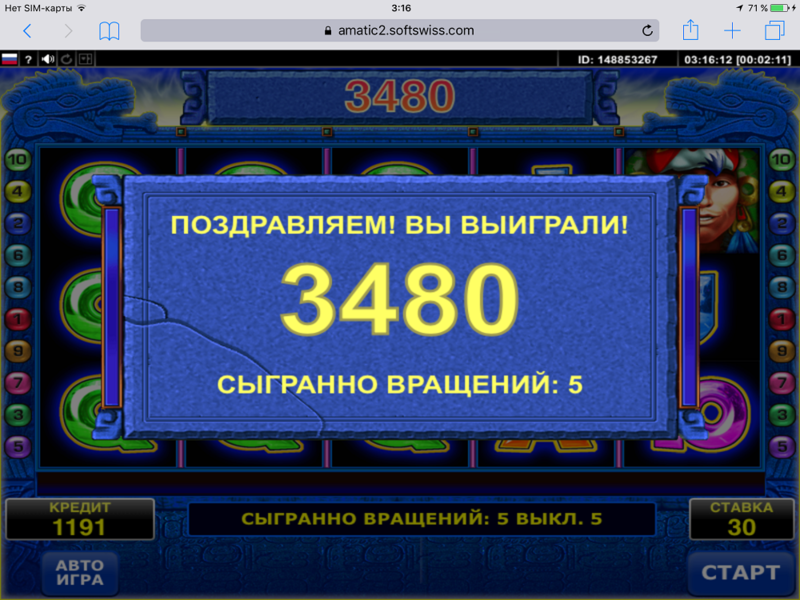 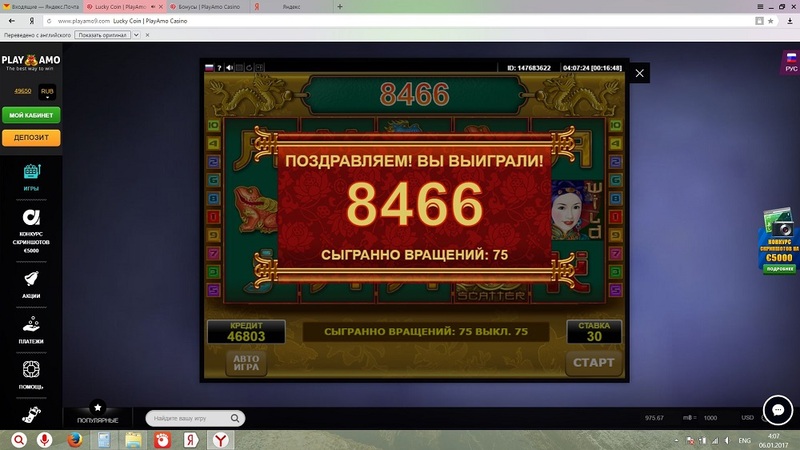 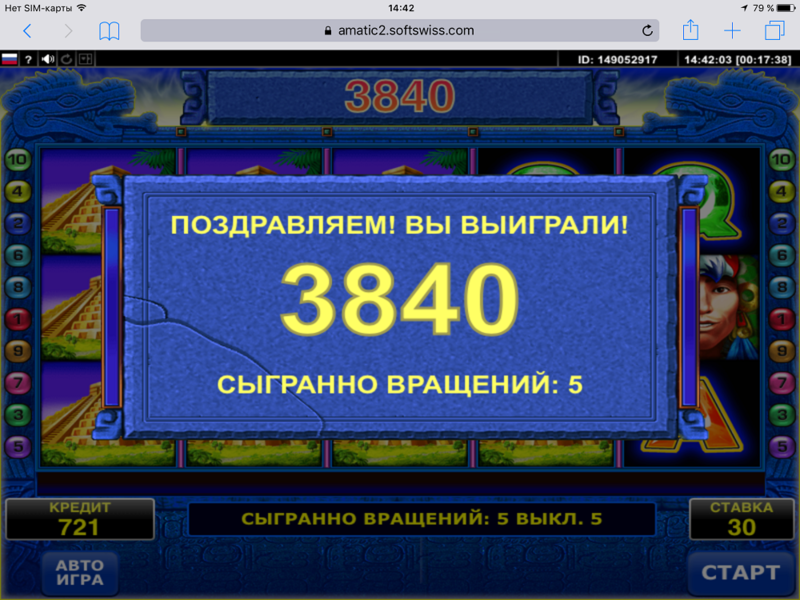 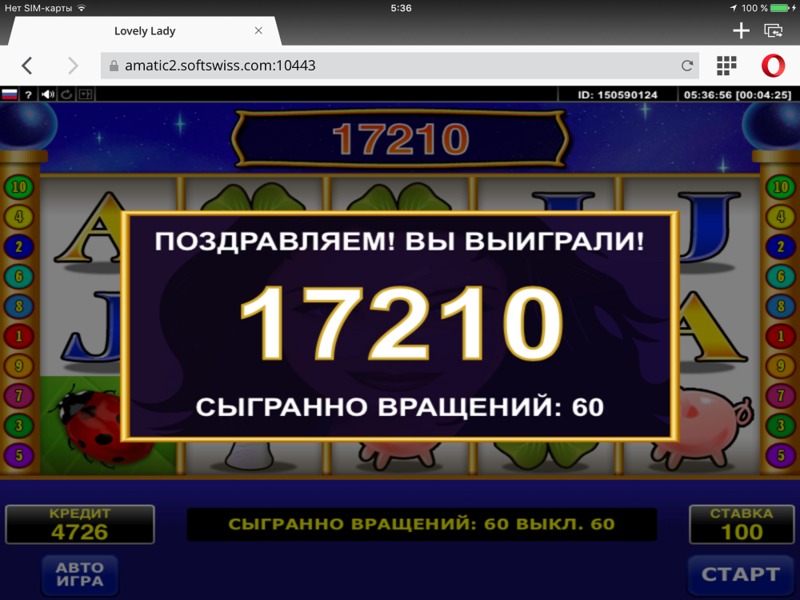 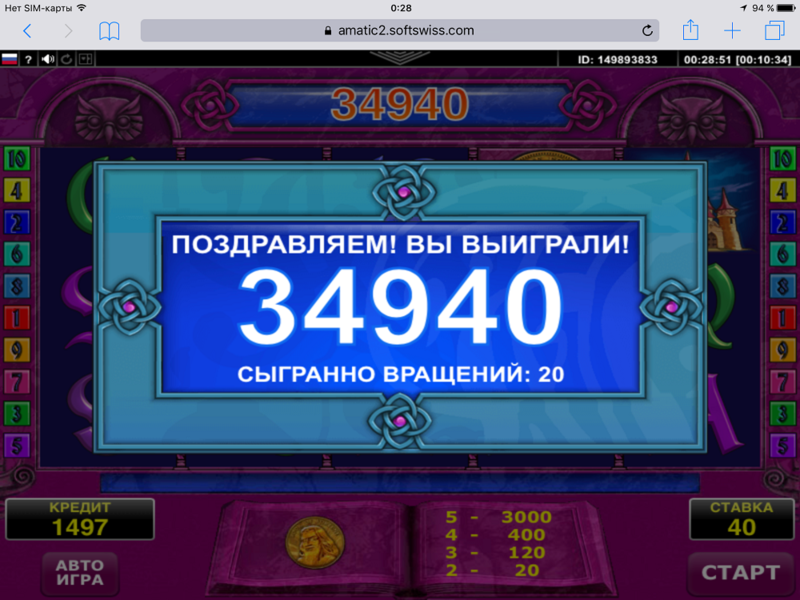 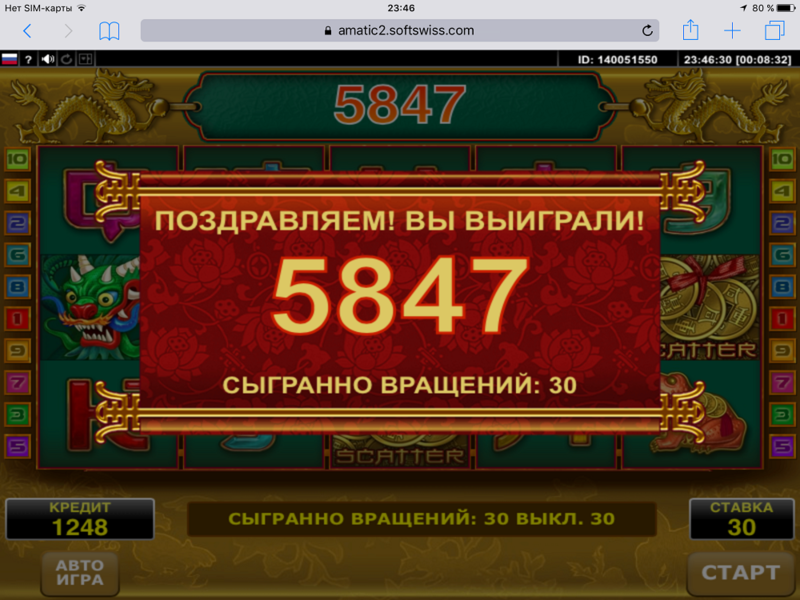 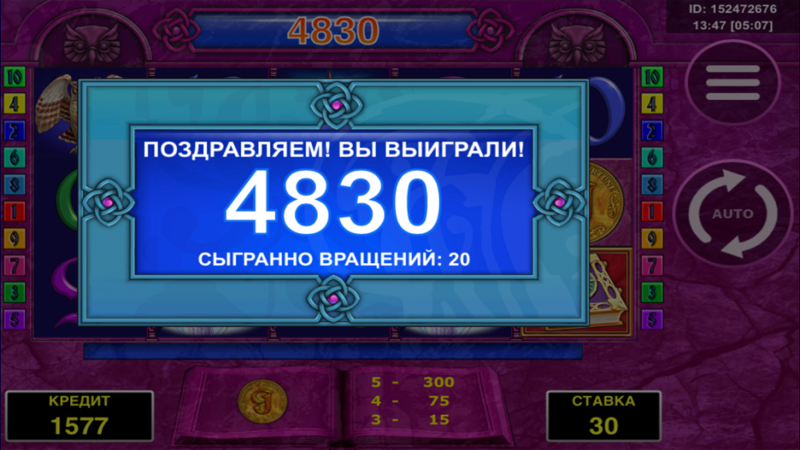 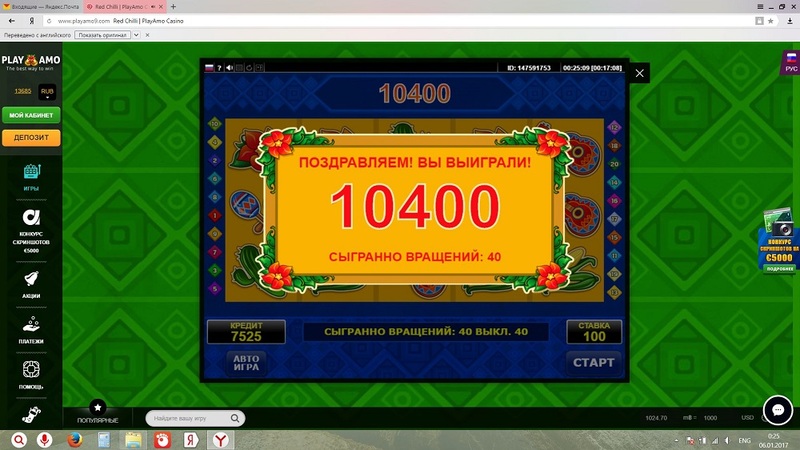 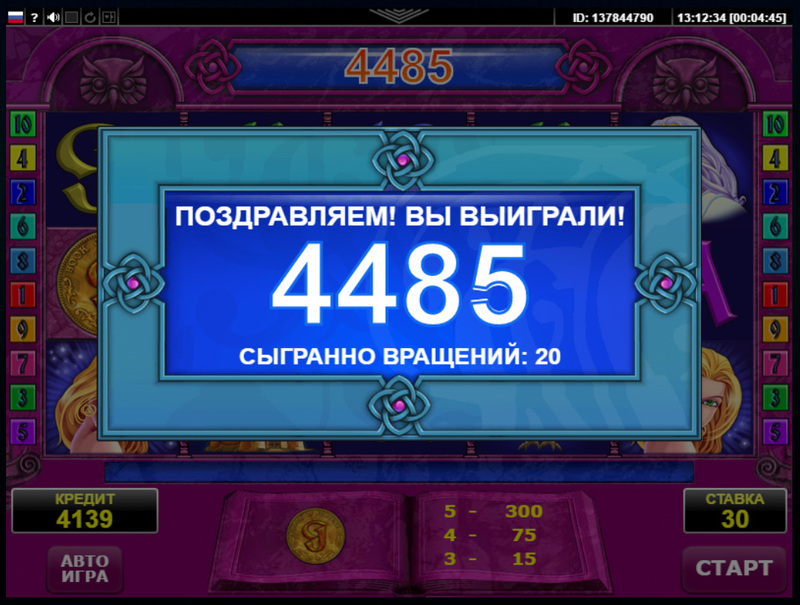 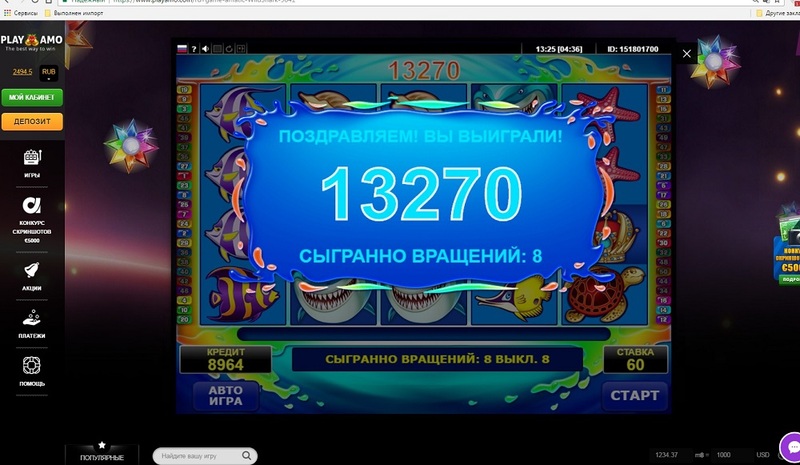 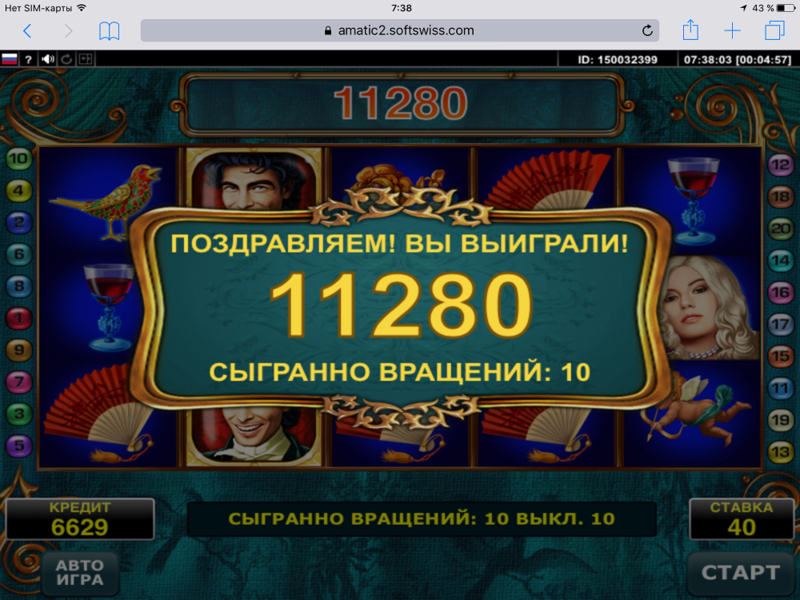 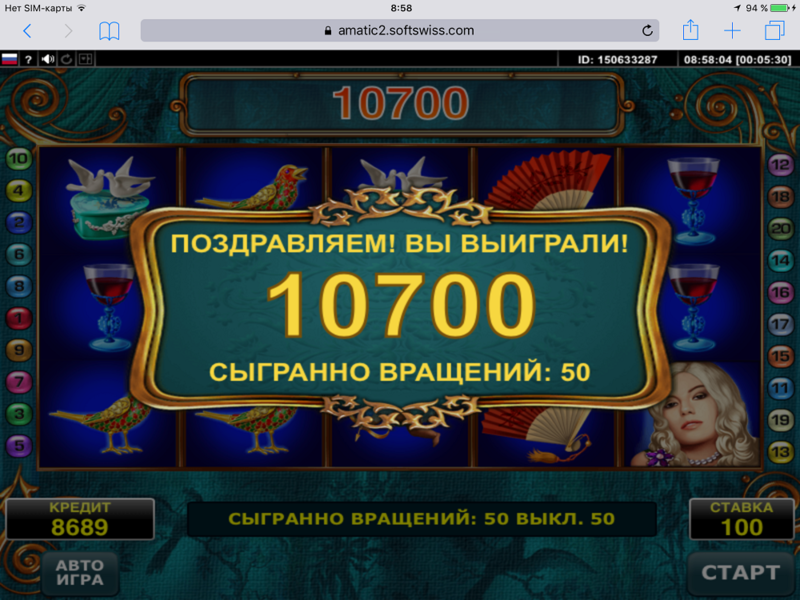 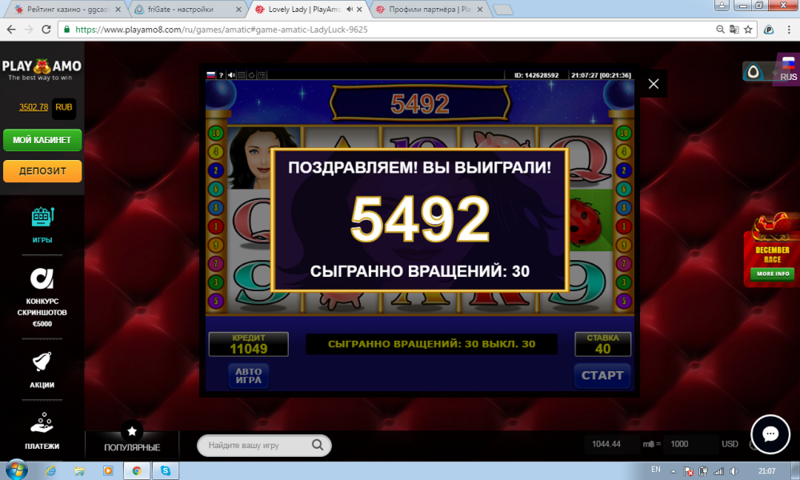 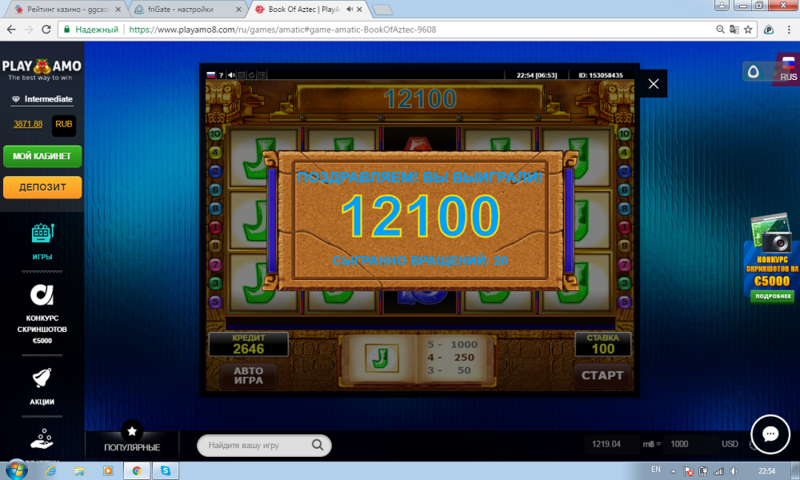 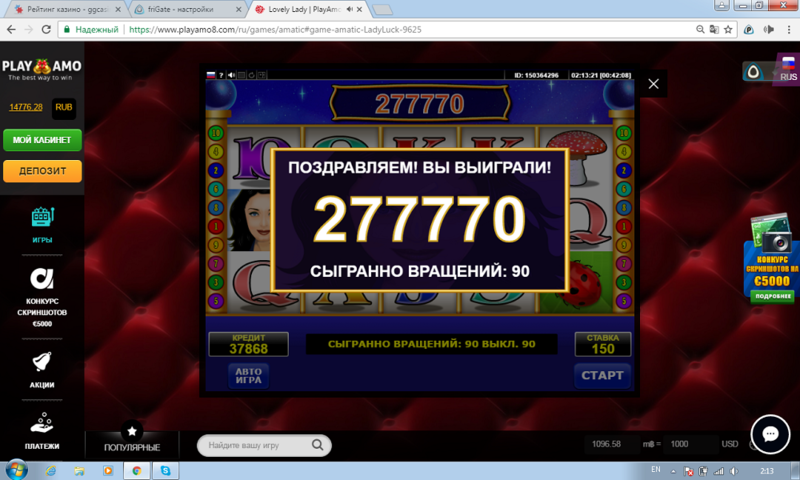 - If the multiplier is over x100, make a screenshot! 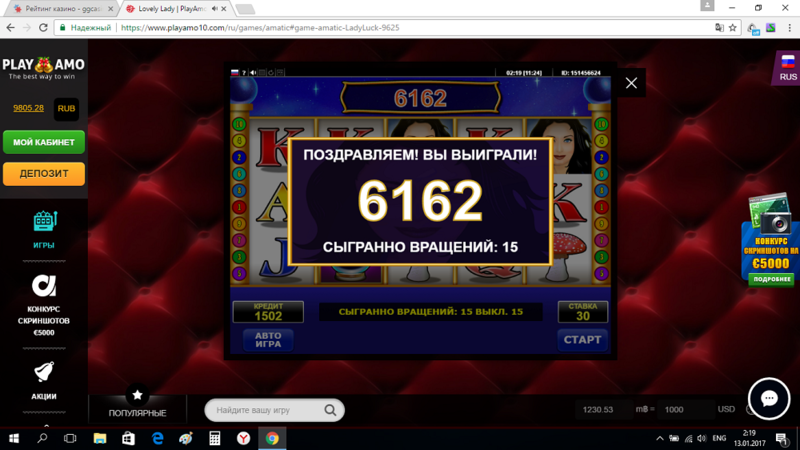 We are accepting your screenshots for a month, up until January 16th, 2017. 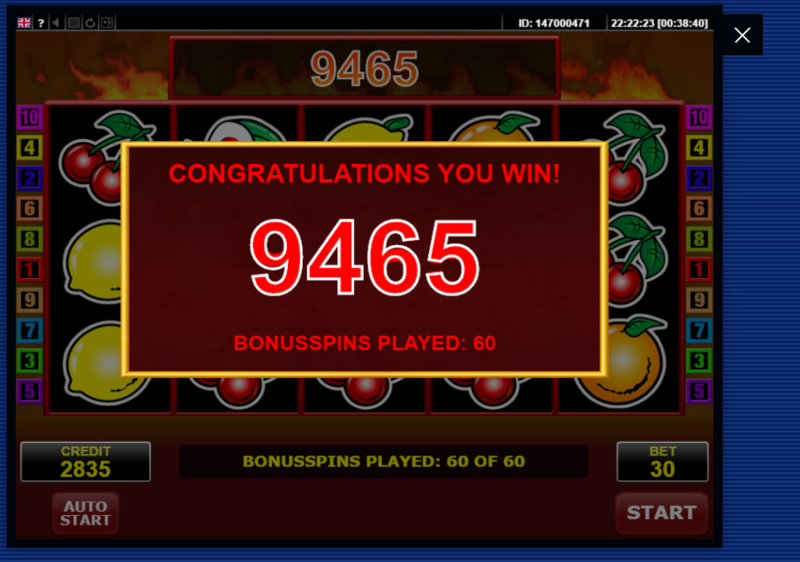 The most important thing to keep in mind is that your multipliers add up! 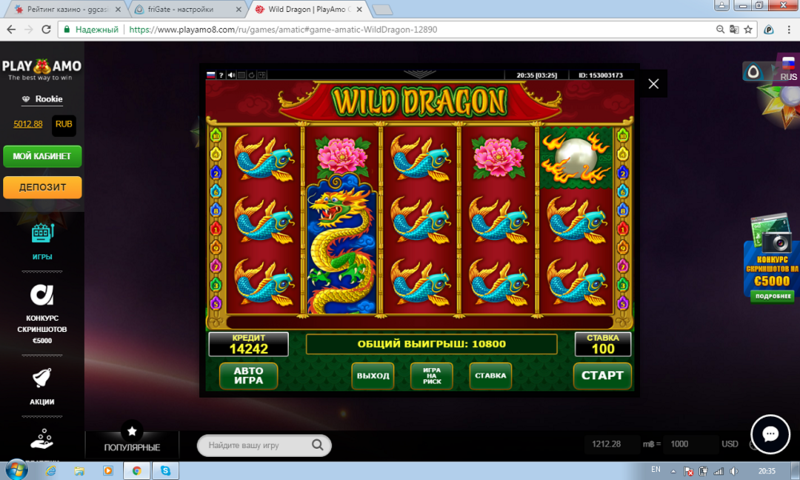 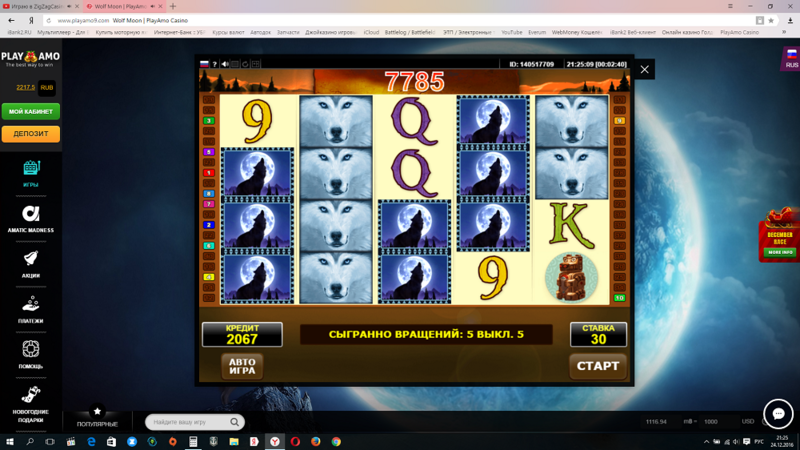 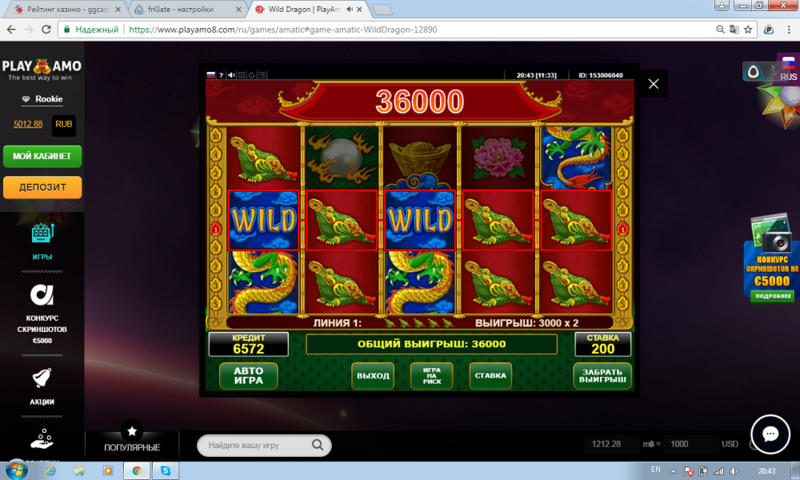 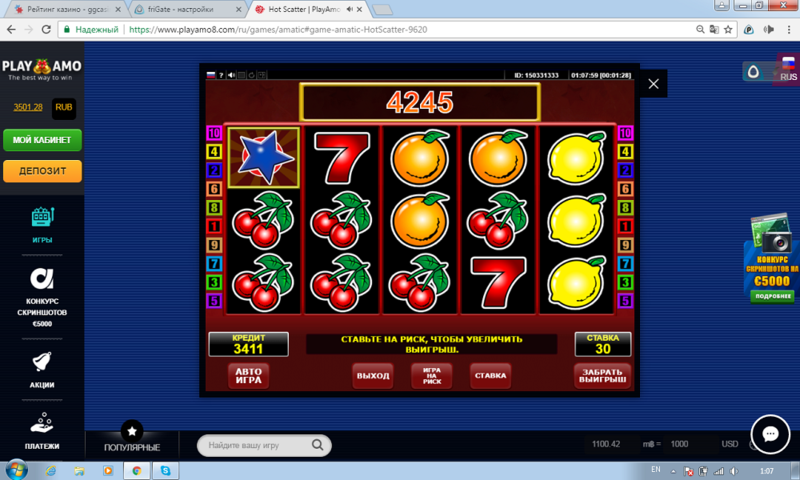 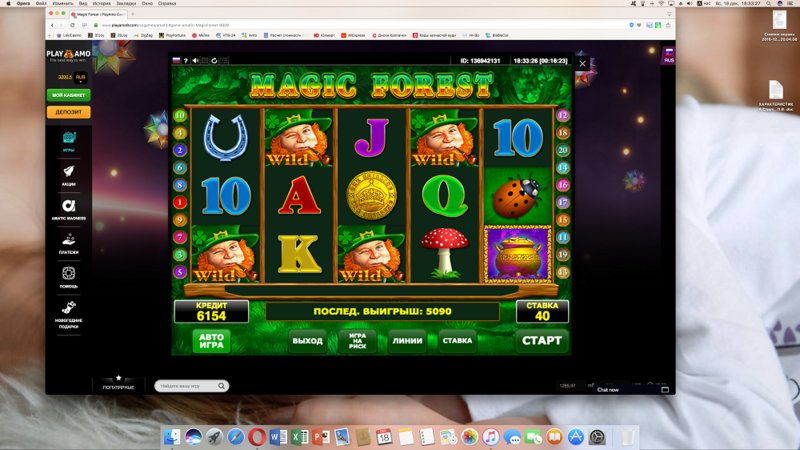 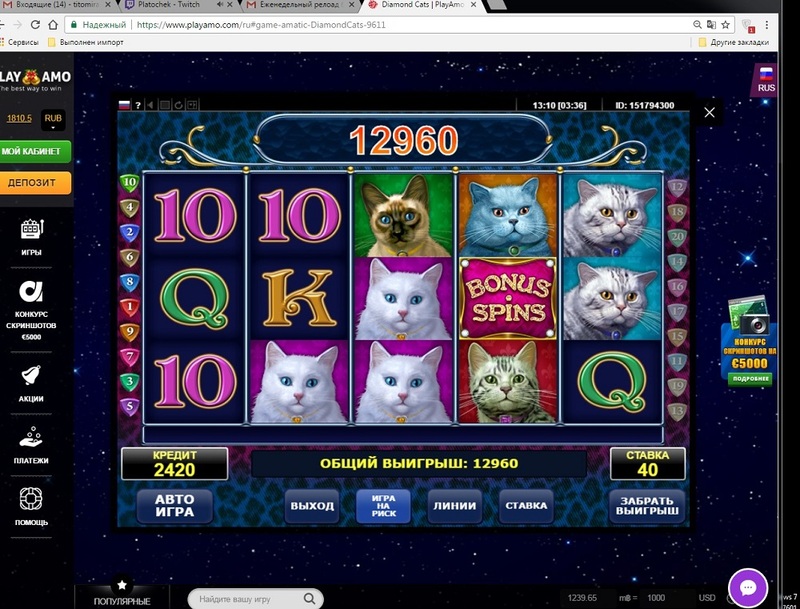 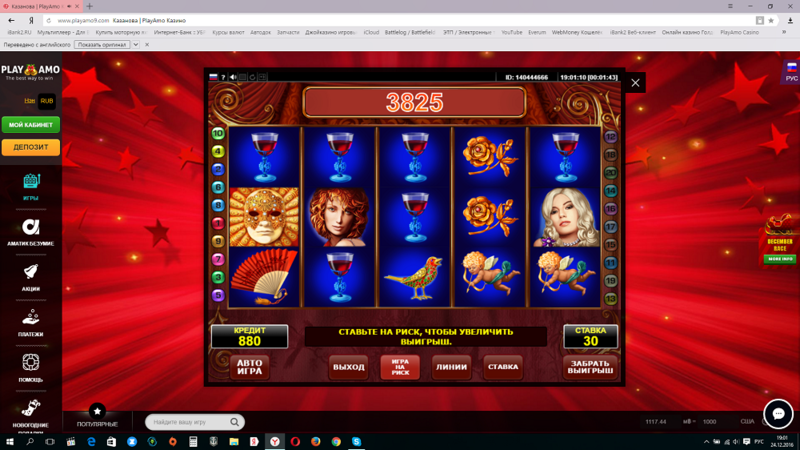 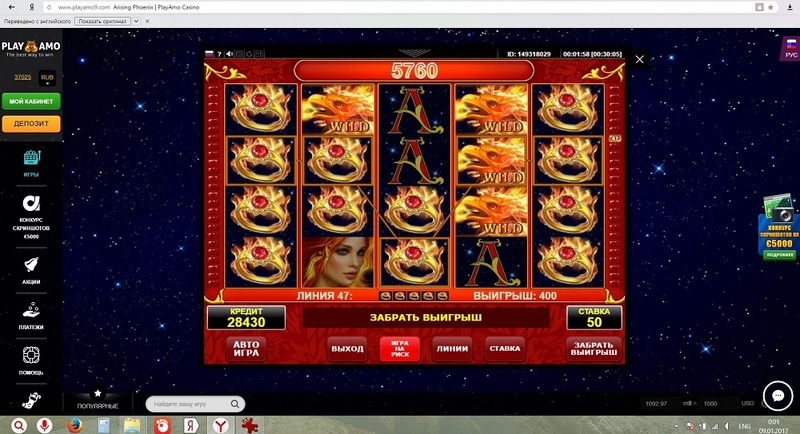 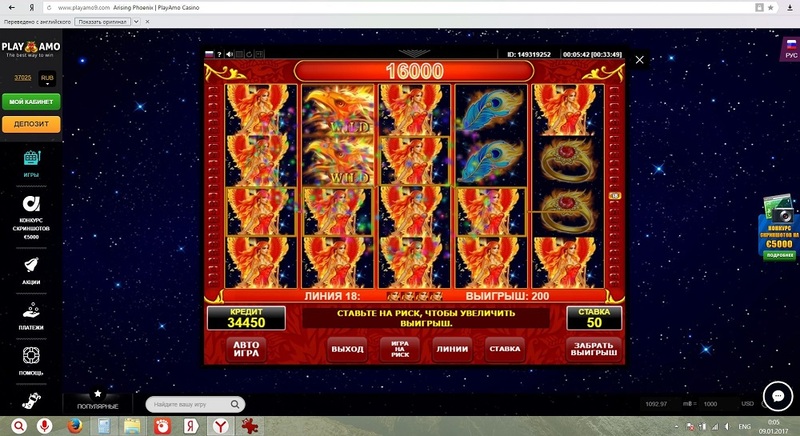 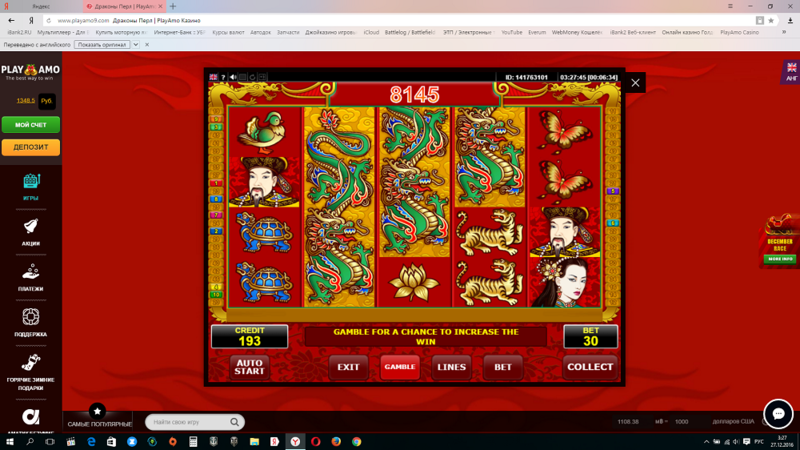 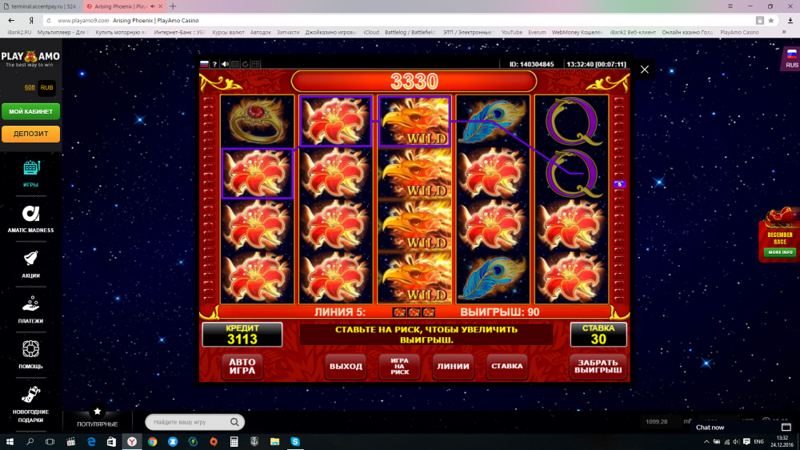 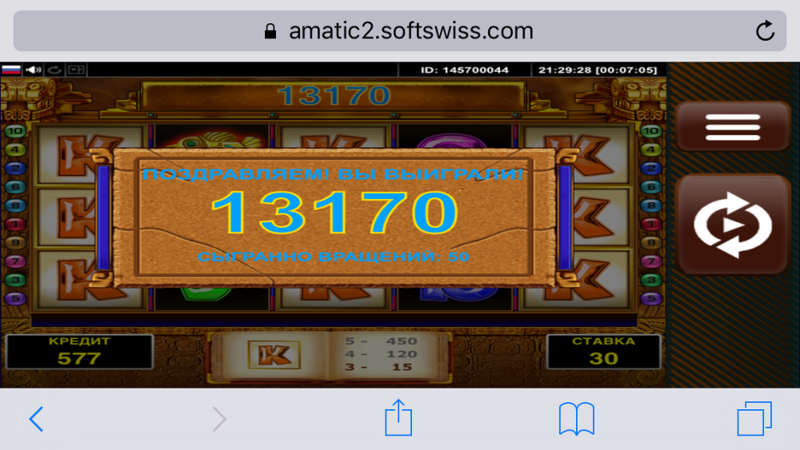 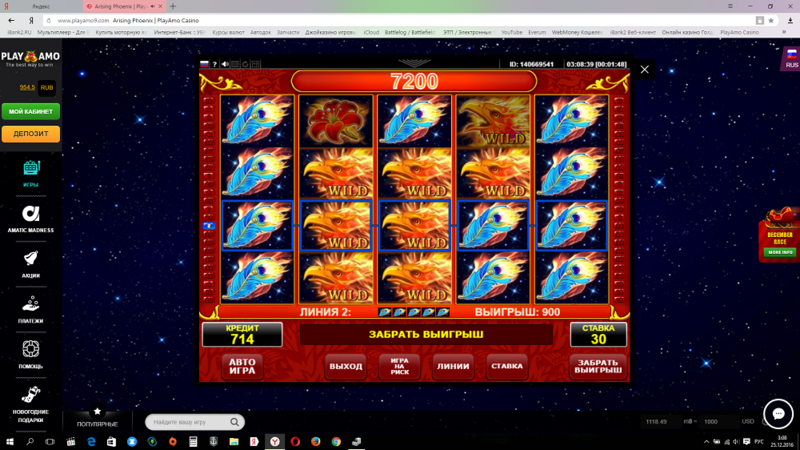 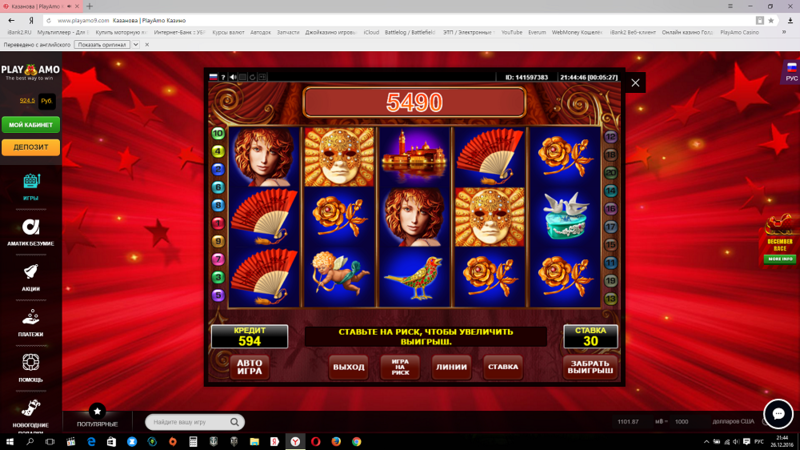 The number of screenshots with qualifying bet multipliers on Amato slots is not limited, you can send as many as you wish, until the promotion is over. 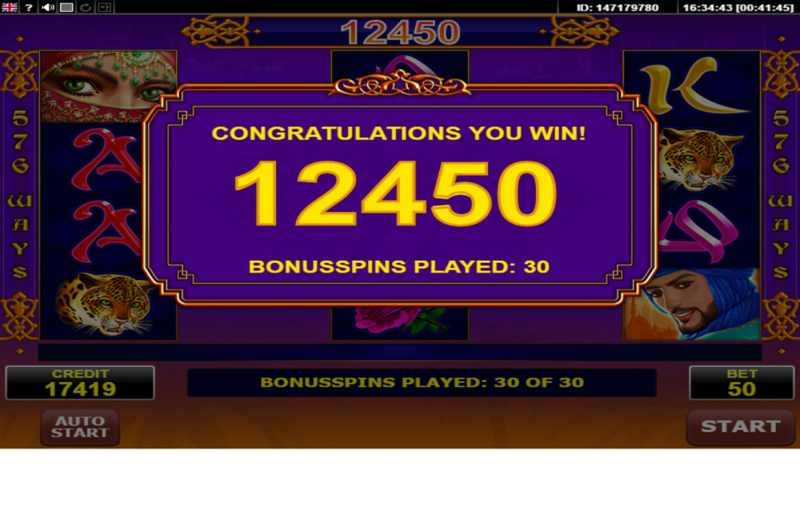 You can keep your tabs on the progress of this promotion on the leader board on this page. 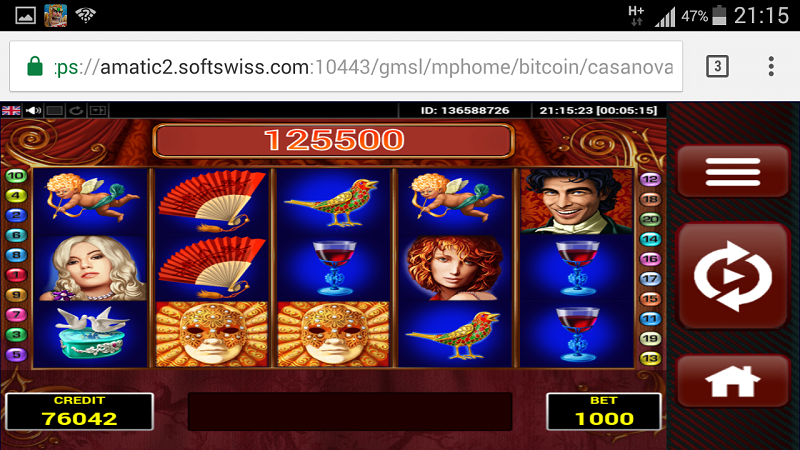 A minimum bet to participate in the challenge is $0.5 / 0.5 EUR / 5 NOK / 5 SEK / 30 RUR / 0.0025 BTC. 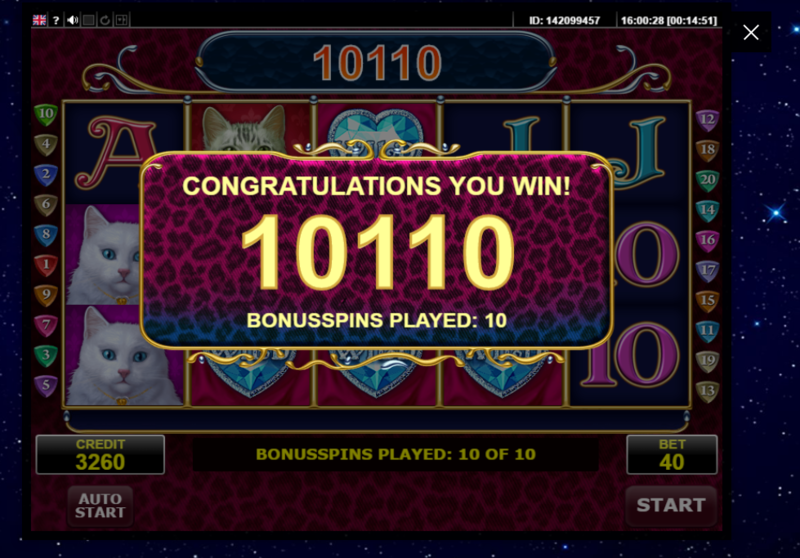 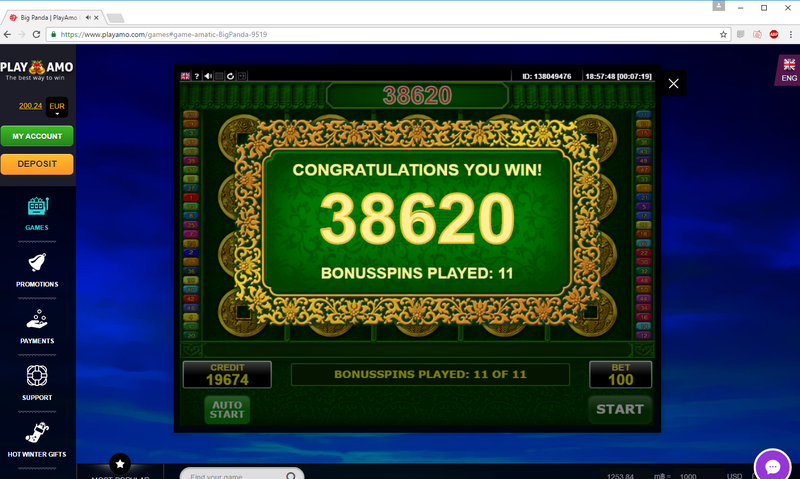 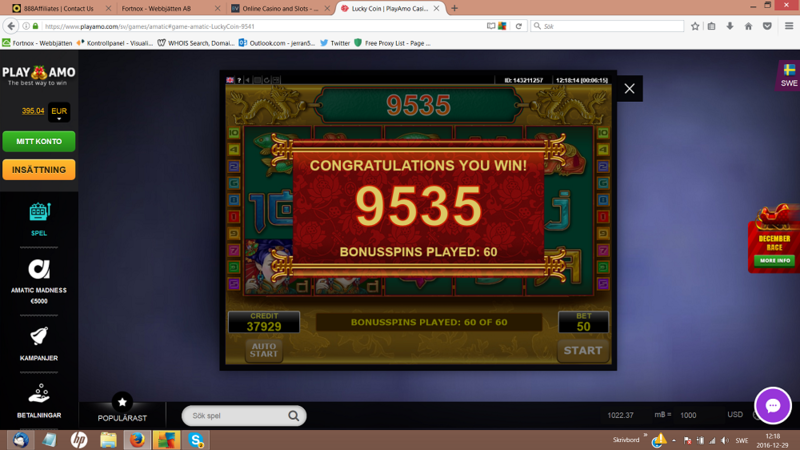 For instance, a player making a $0.5 bet per spin wins $110 in the prize round. 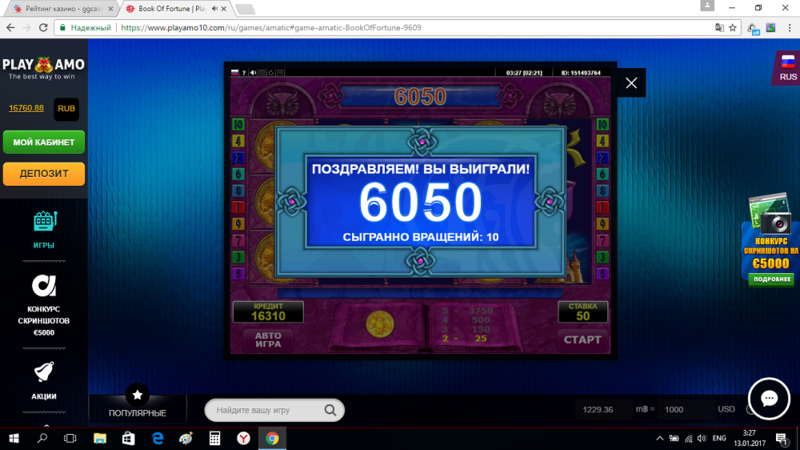 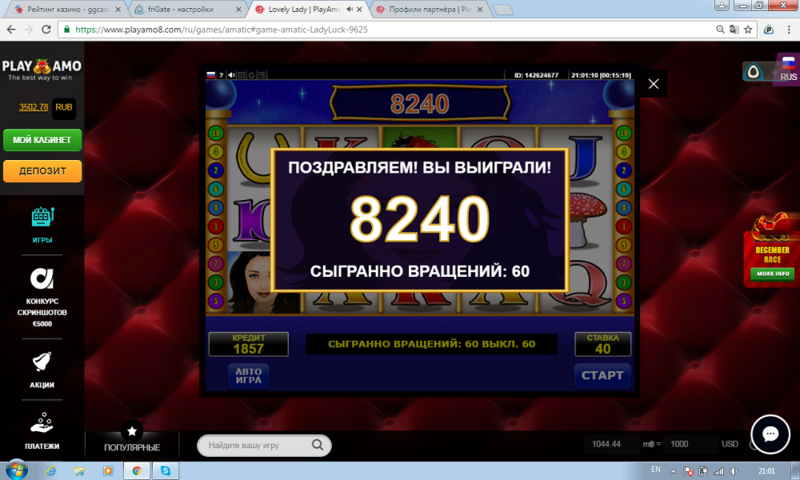 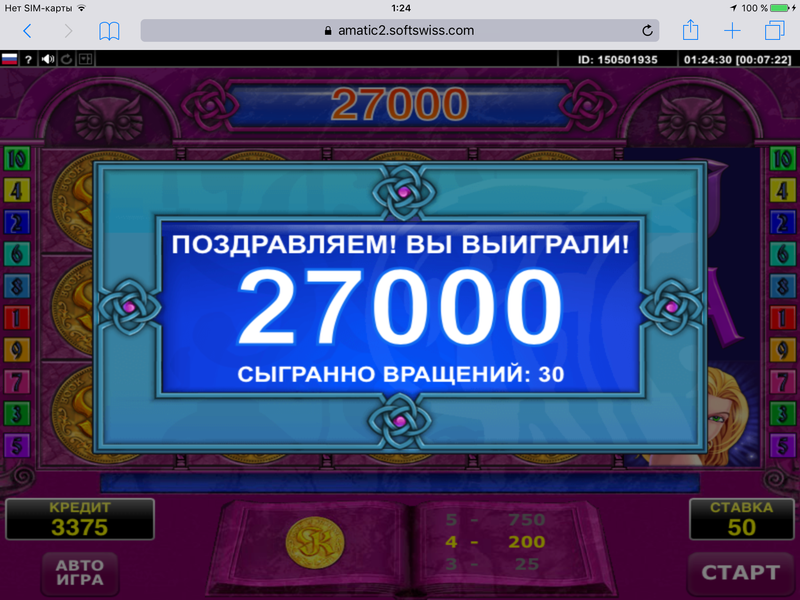 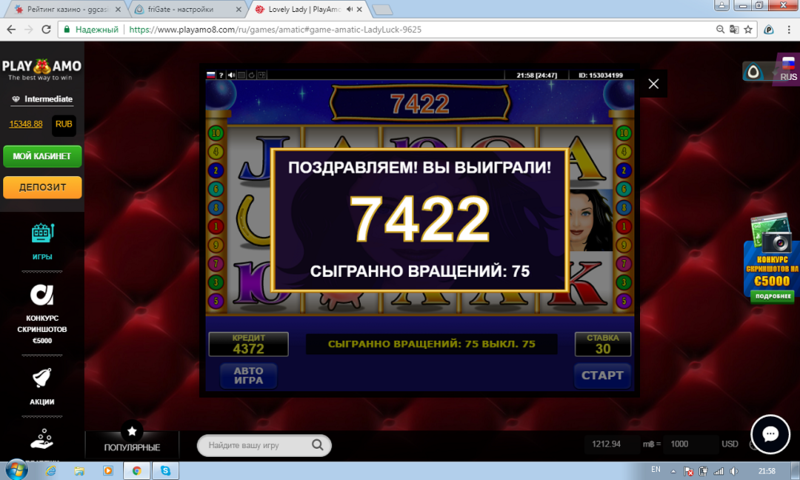 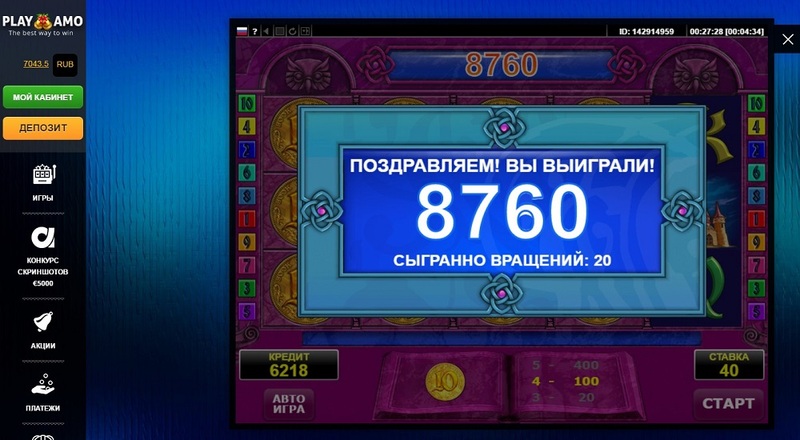 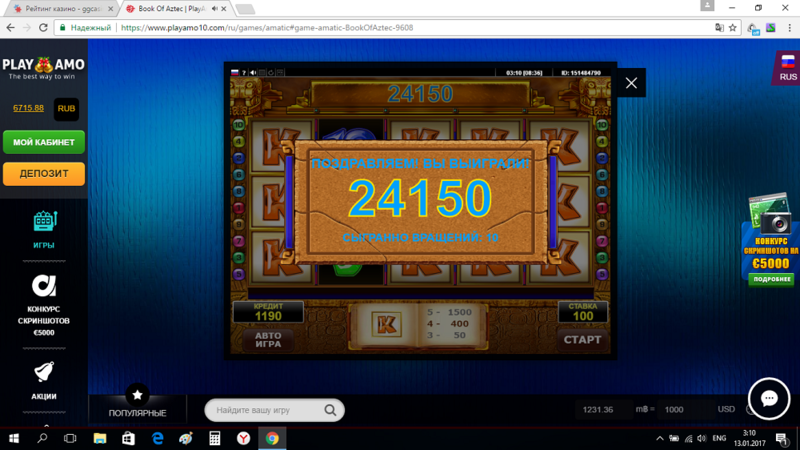 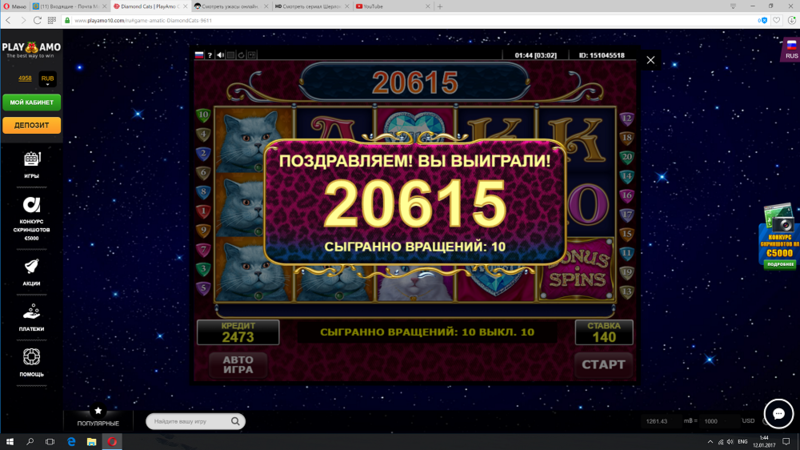 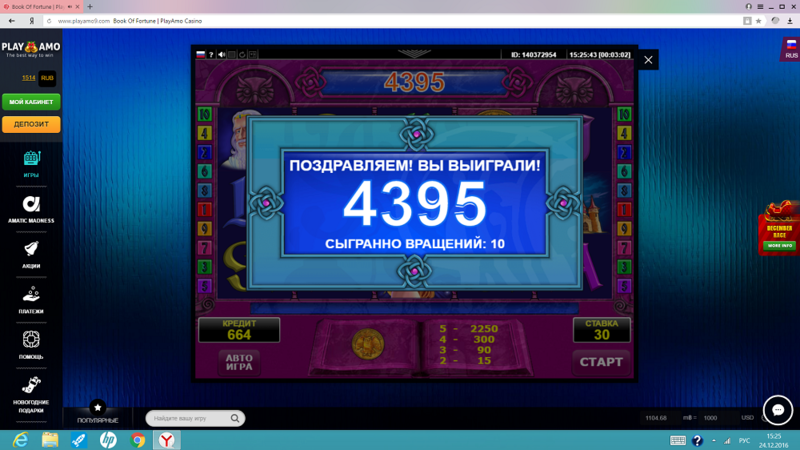 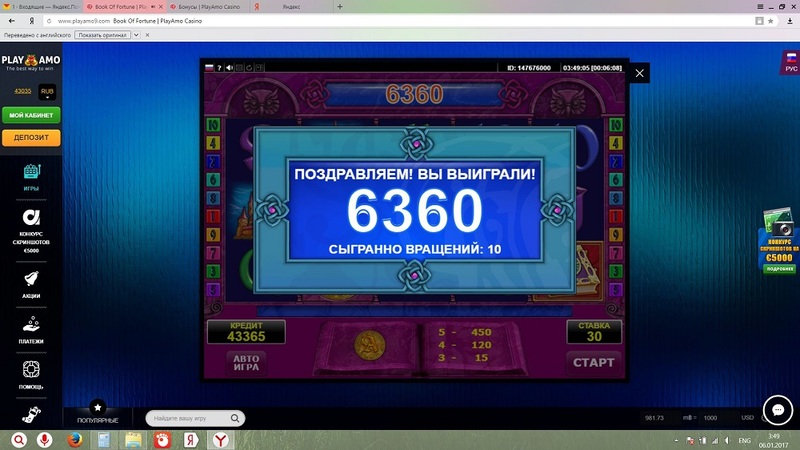 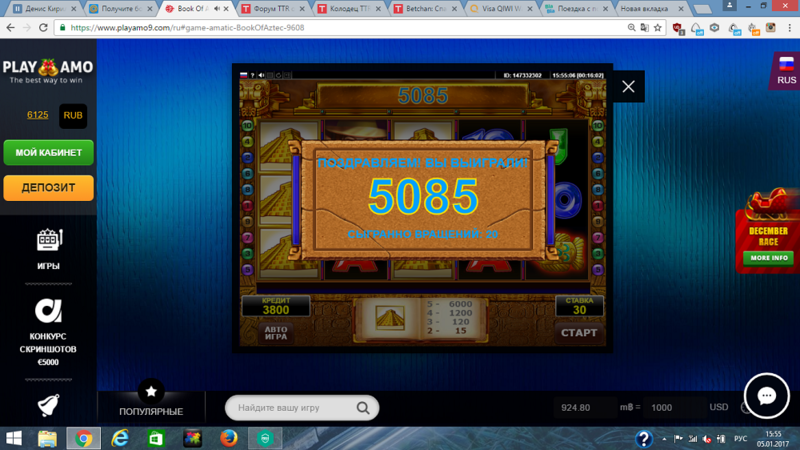 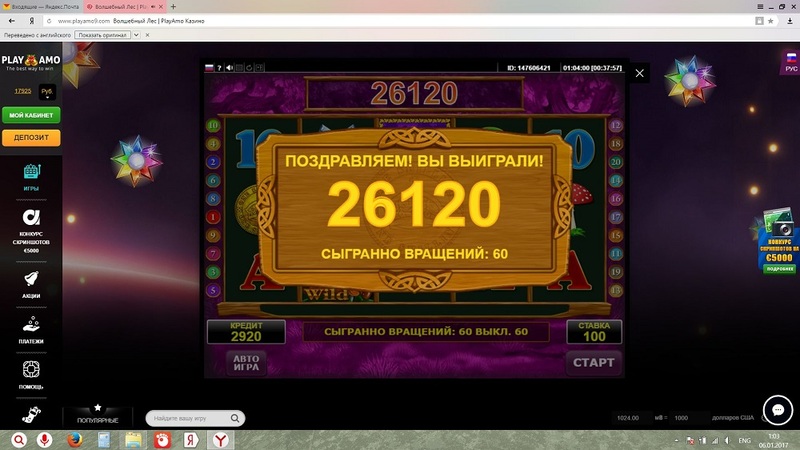 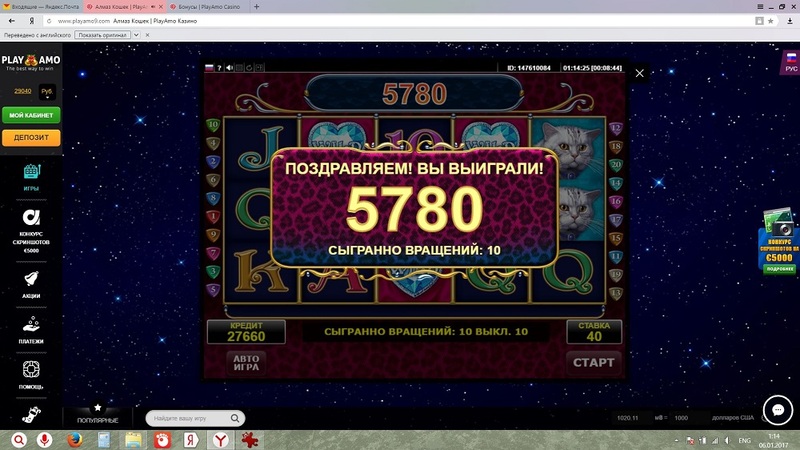 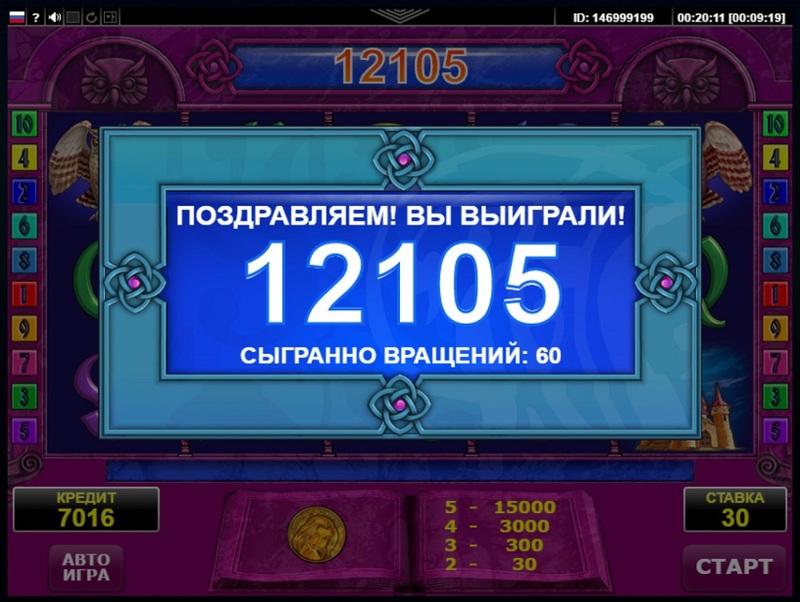 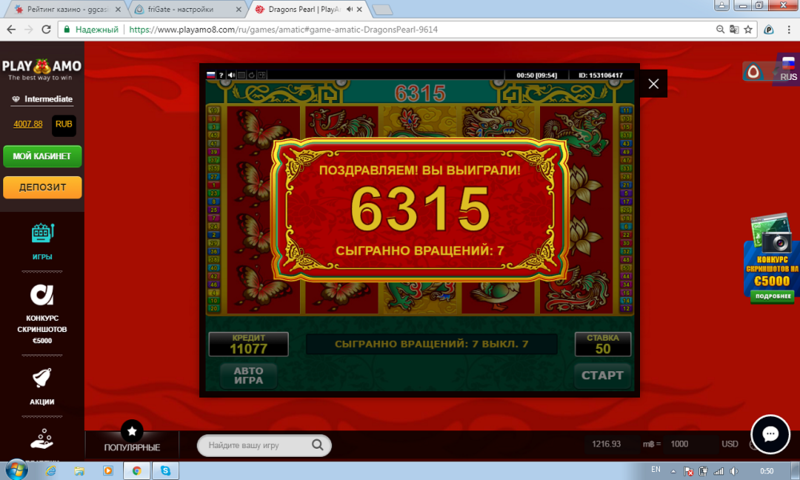 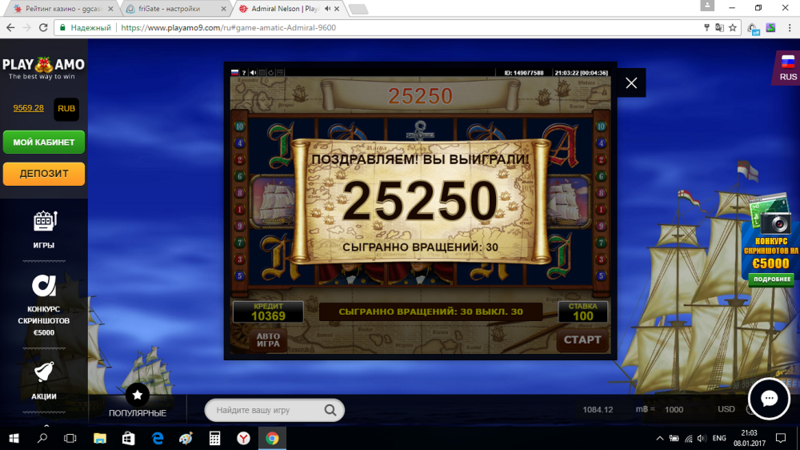 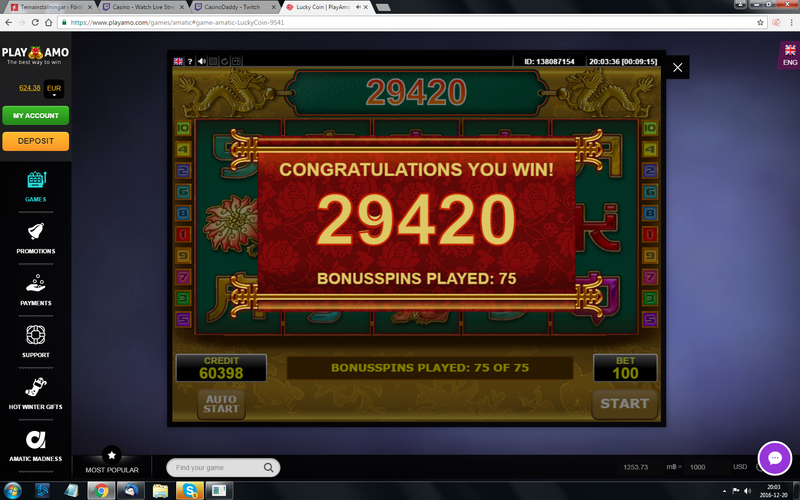 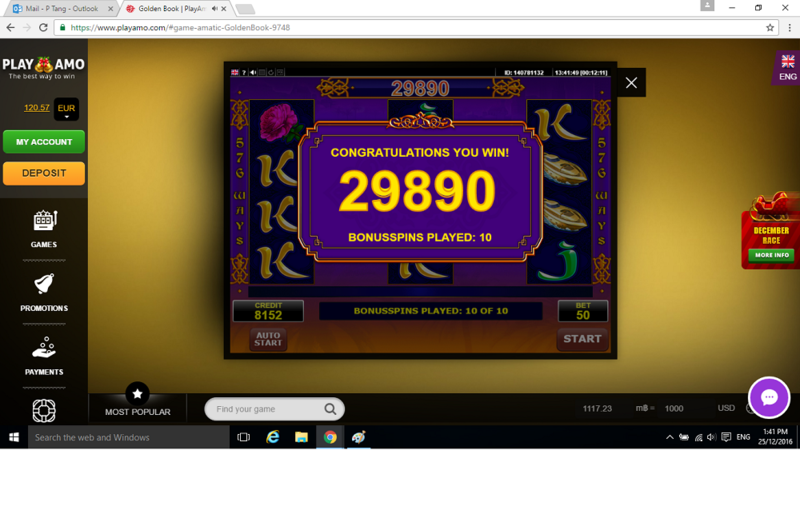 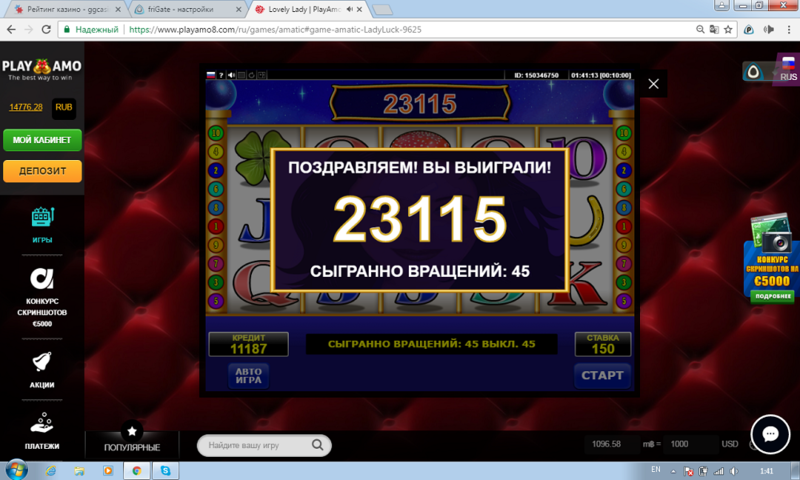 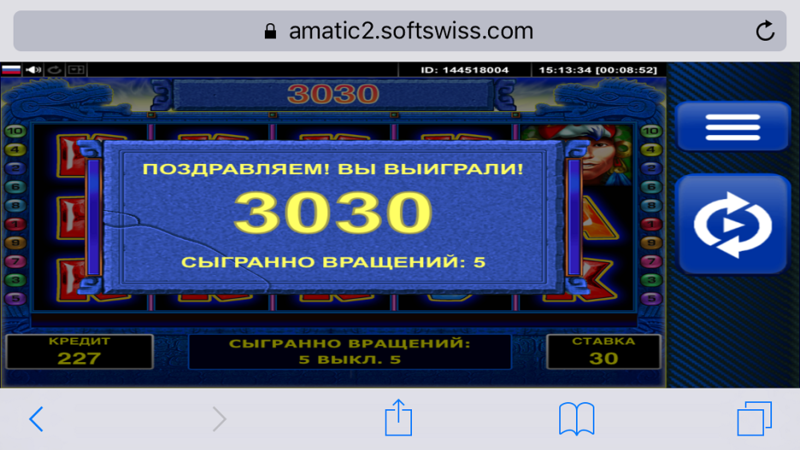 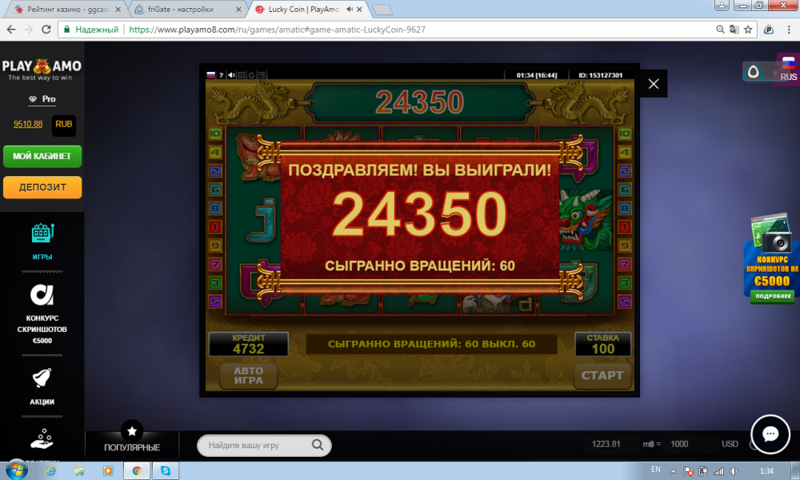 Therefore, his multiplier is x220, so the player earns 220 points. 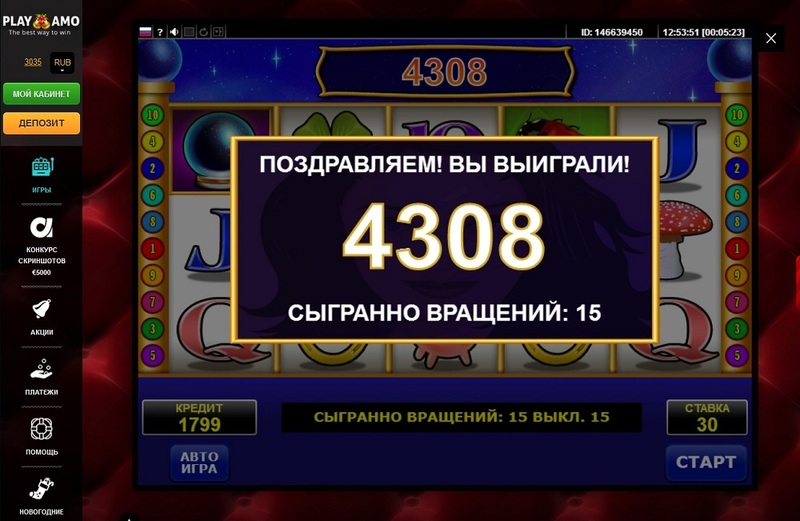 Just to remind you again, the points are added up. 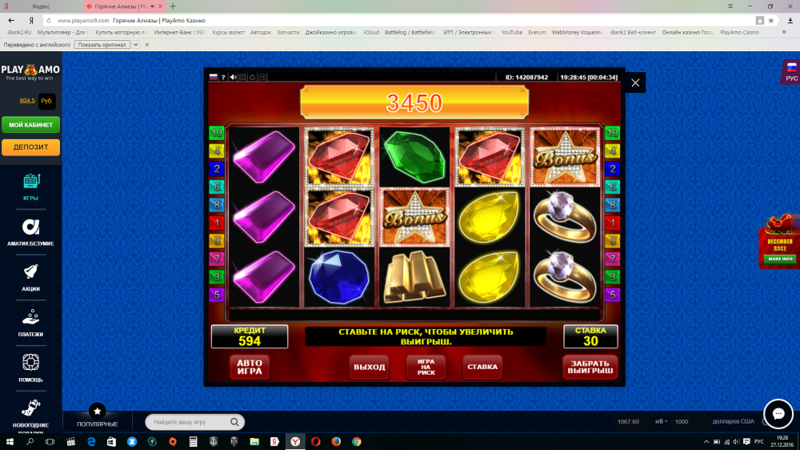 You can send as many screenshots from your prize/bonus rounds as you please, as long as the betting minimum and the multiplier requirements are met! 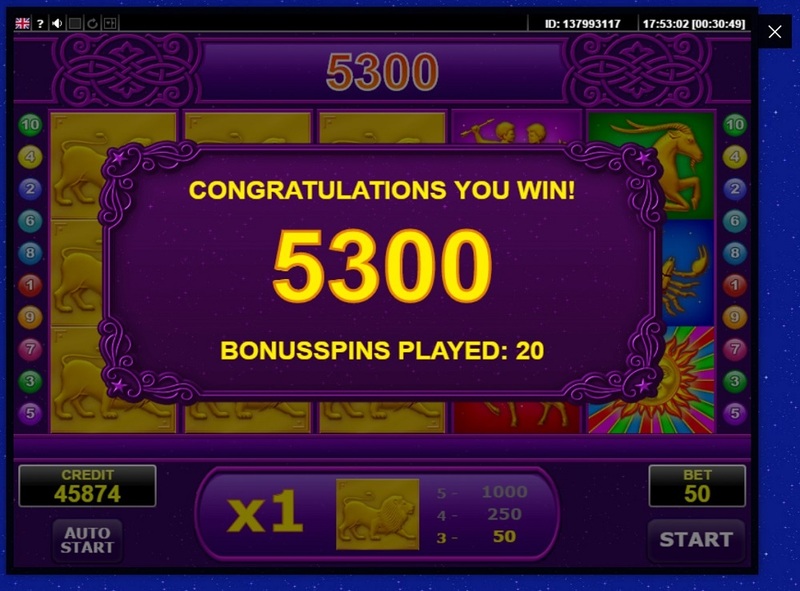 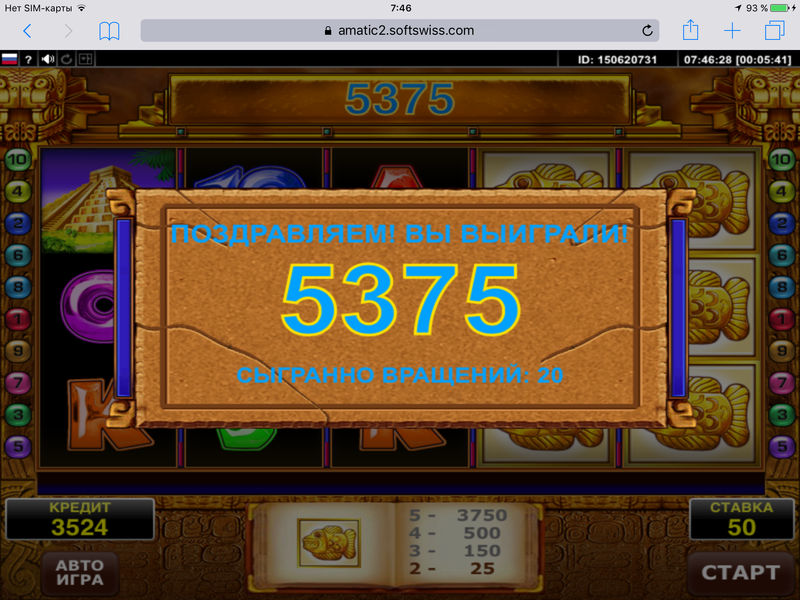 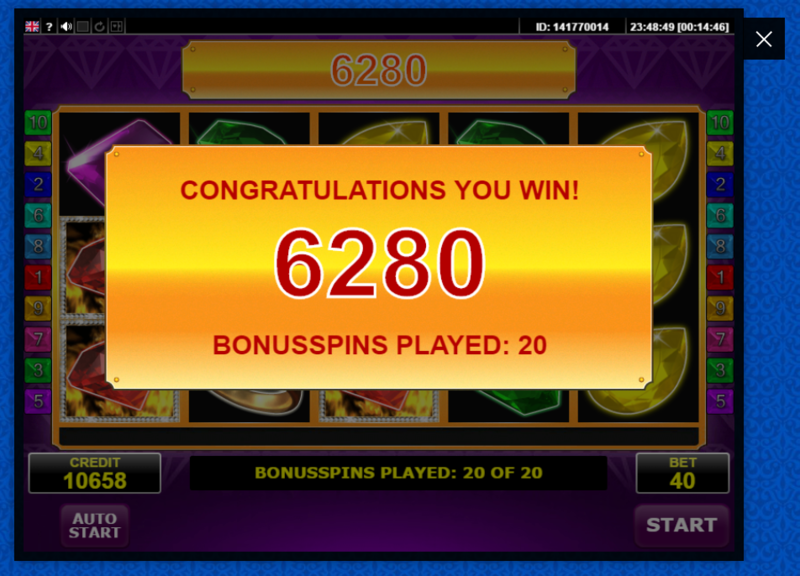 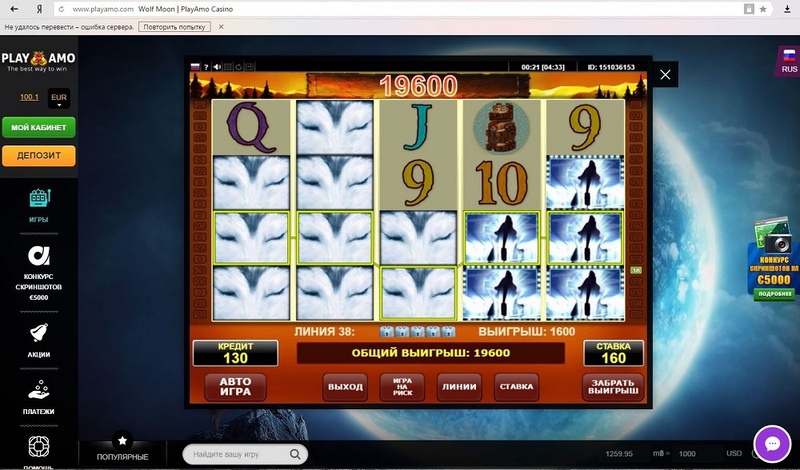 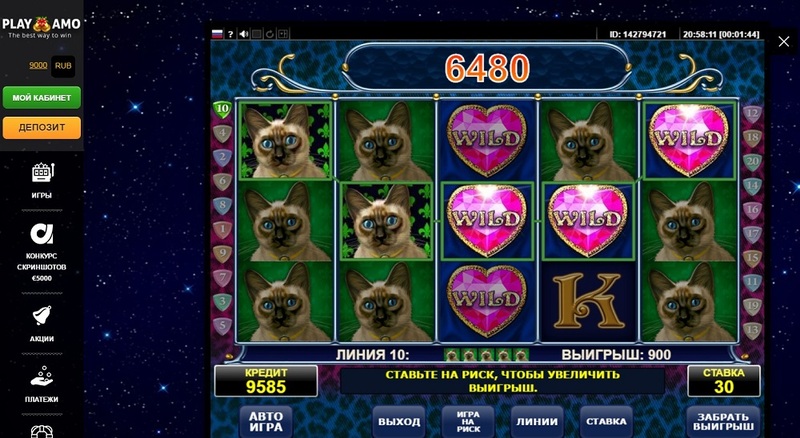 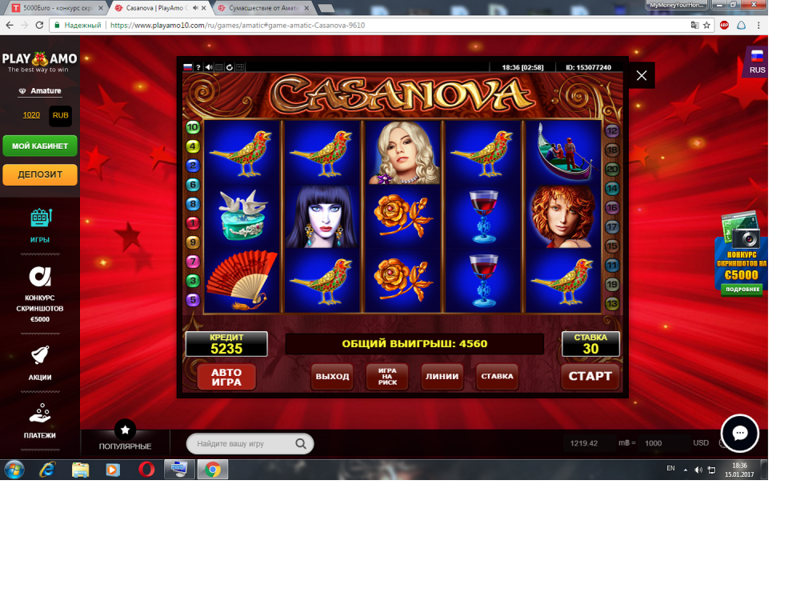 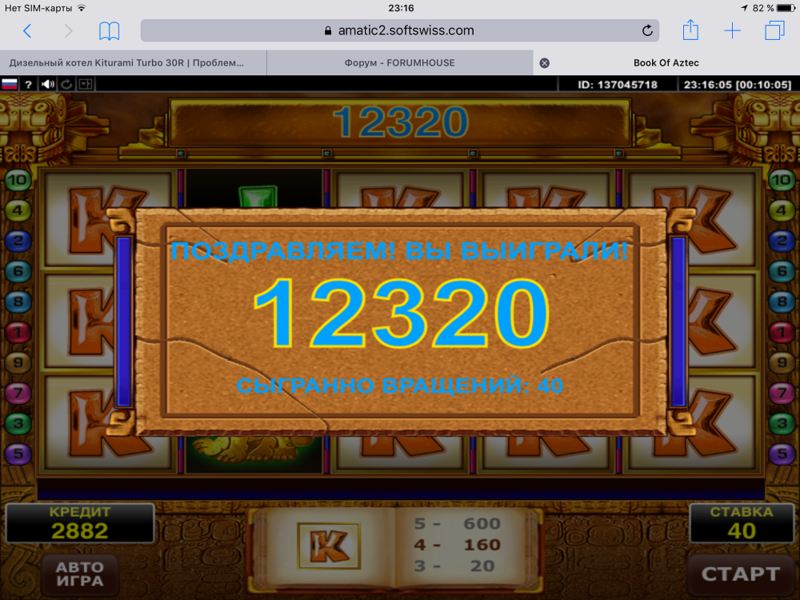 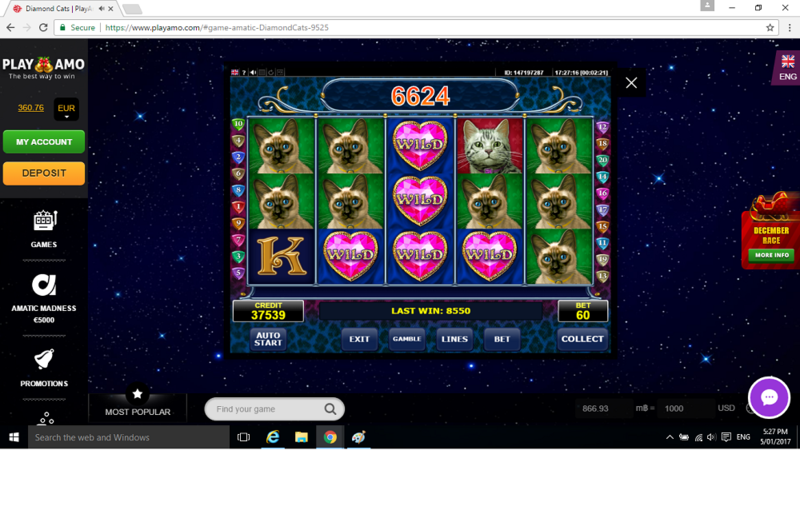 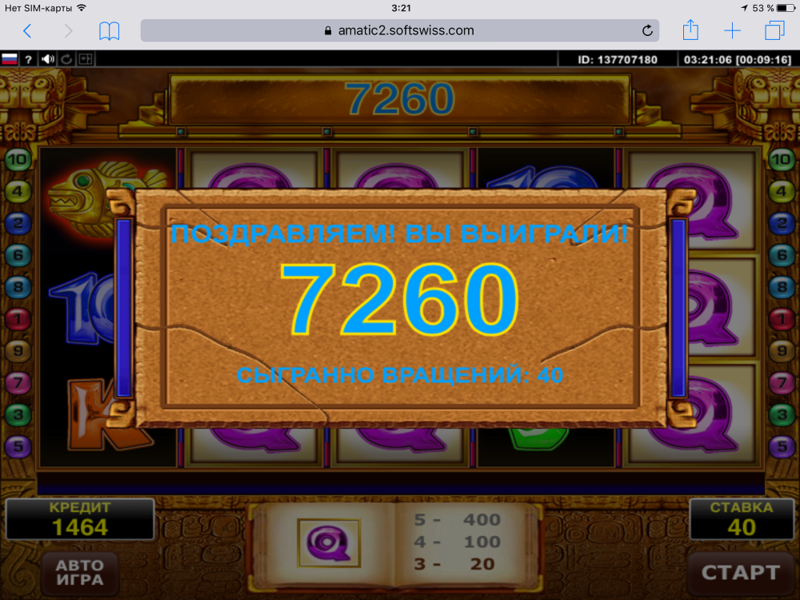 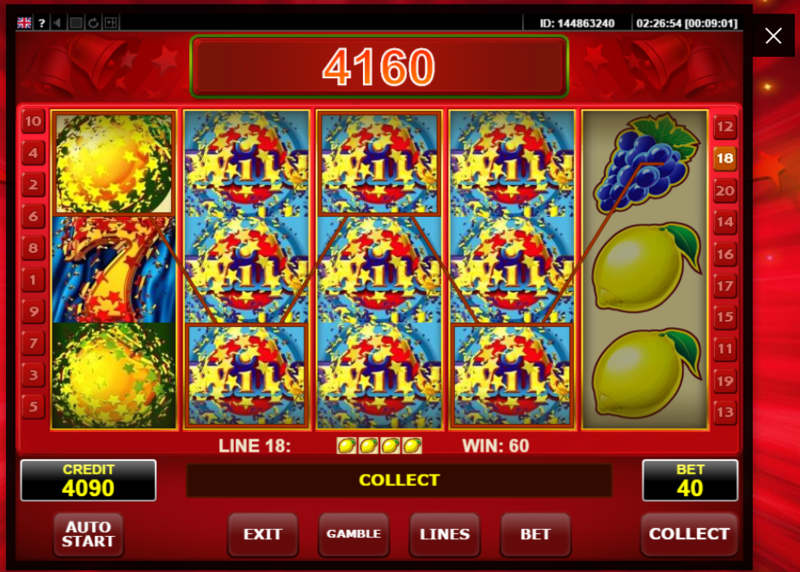 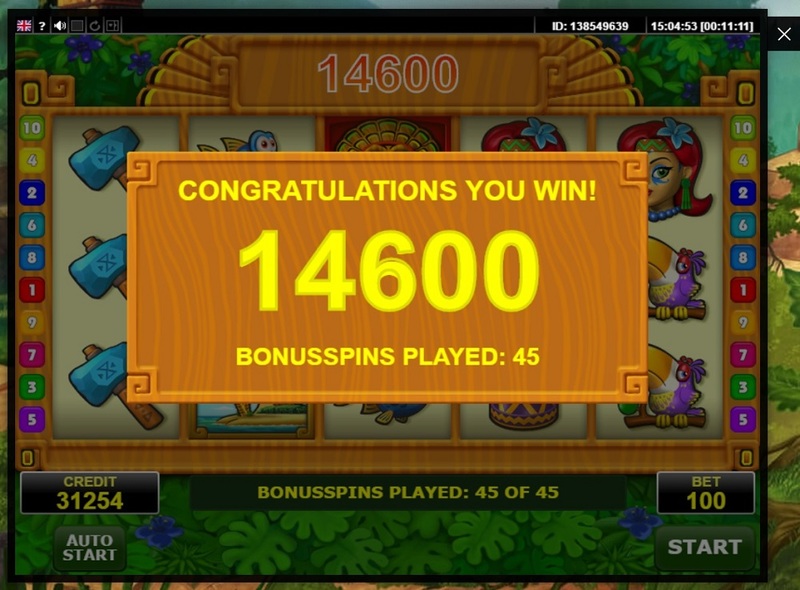 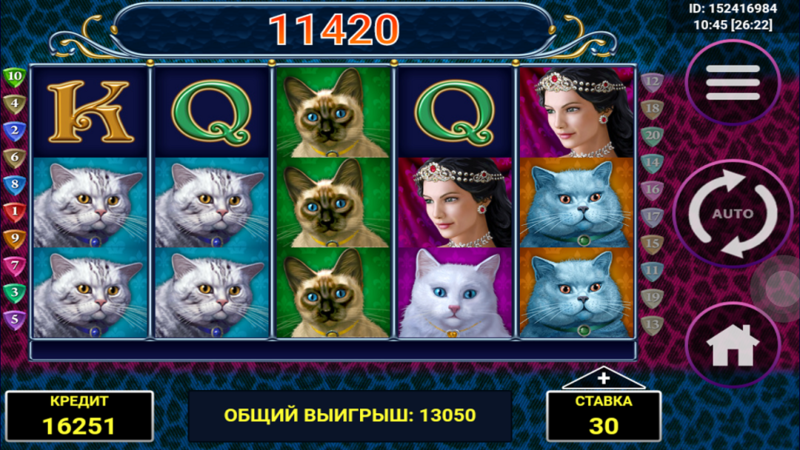 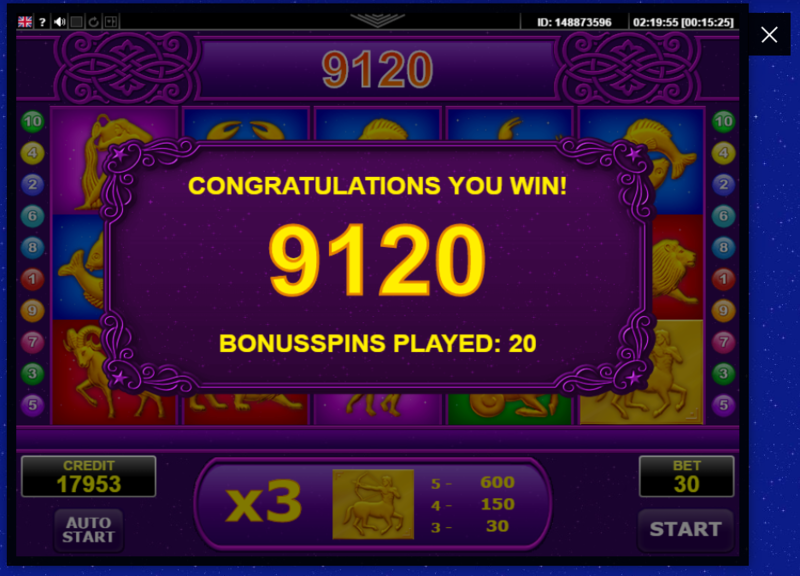 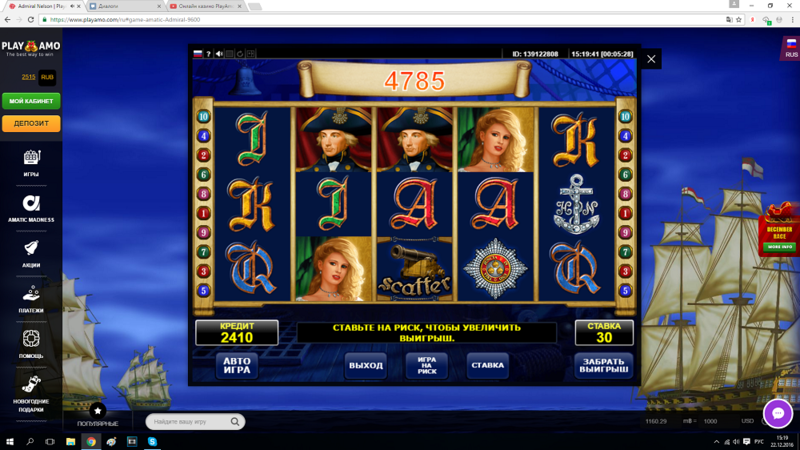 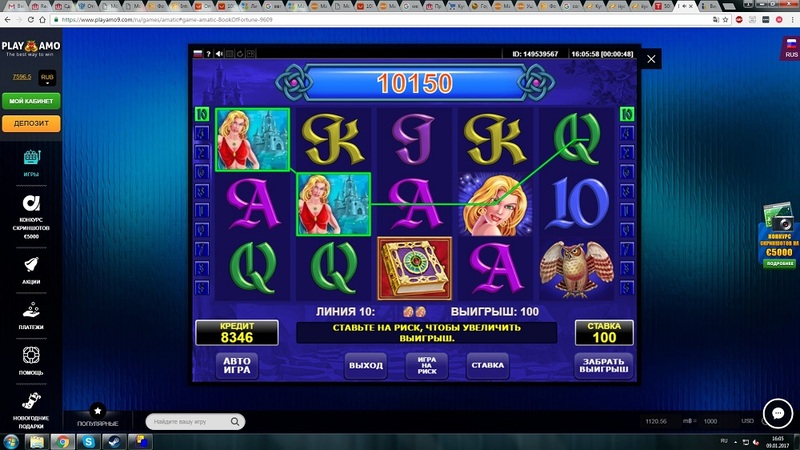 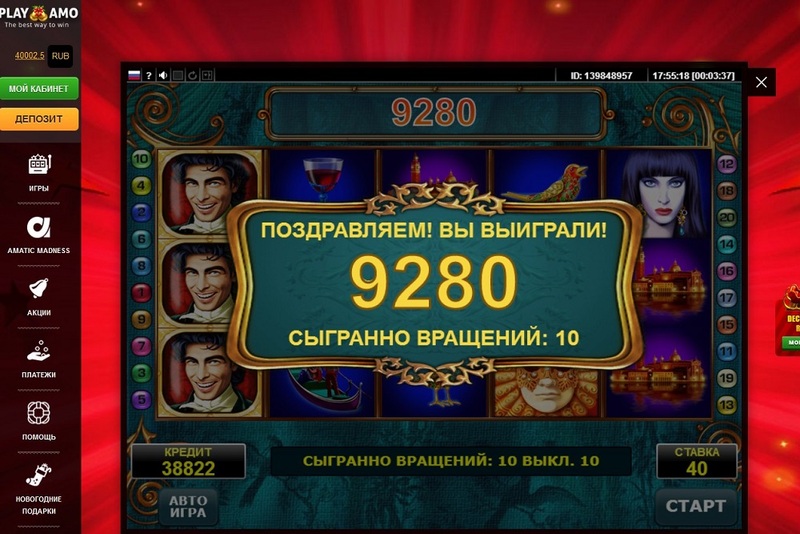 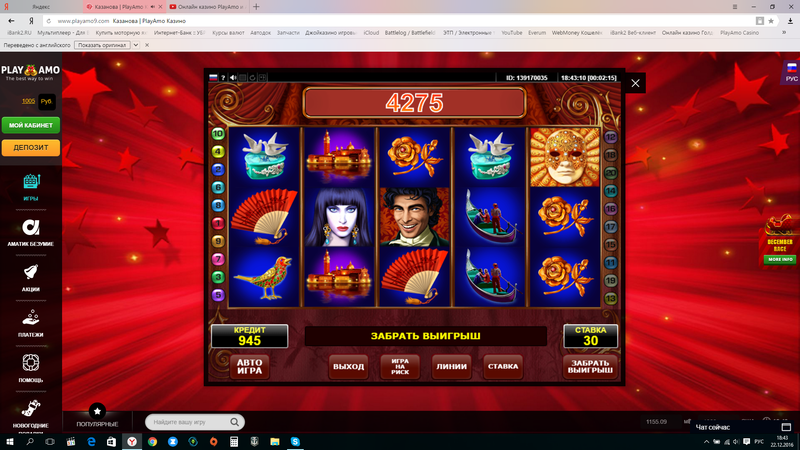 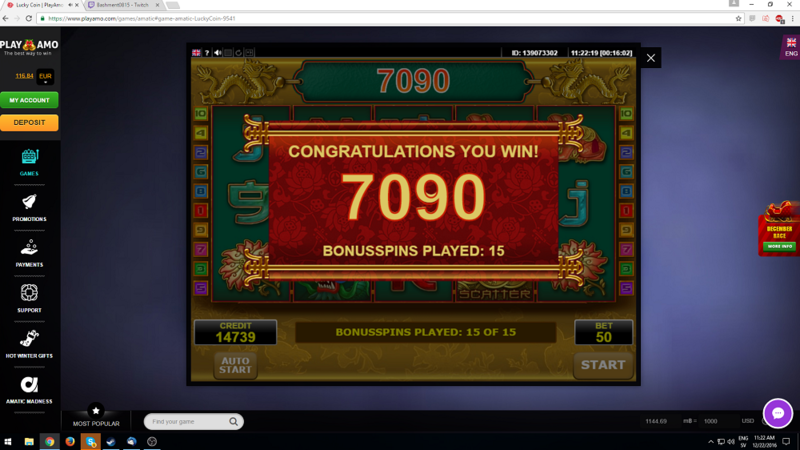 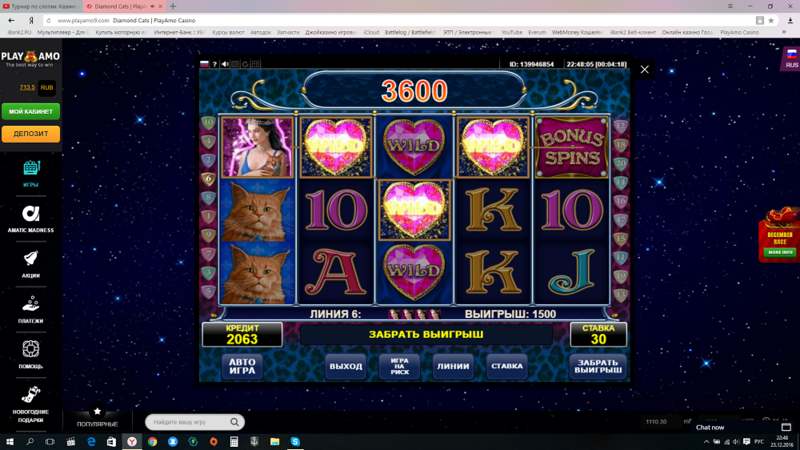 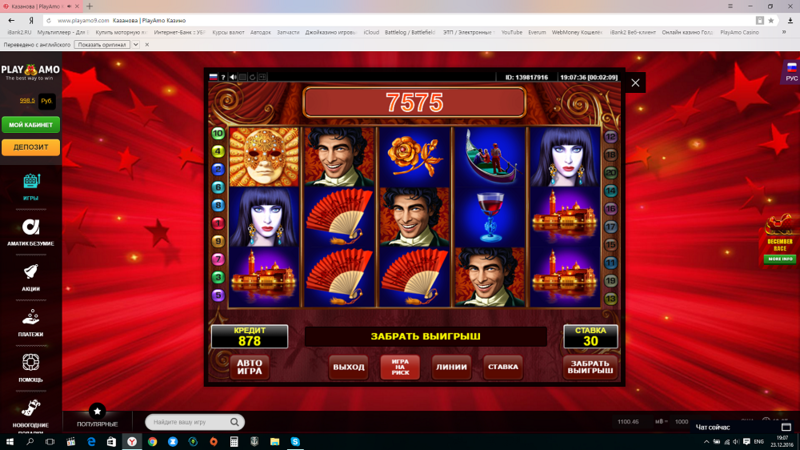 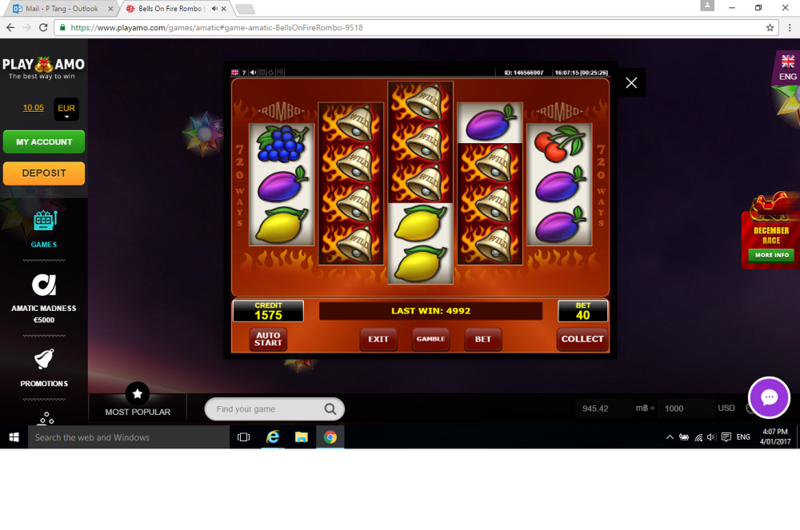 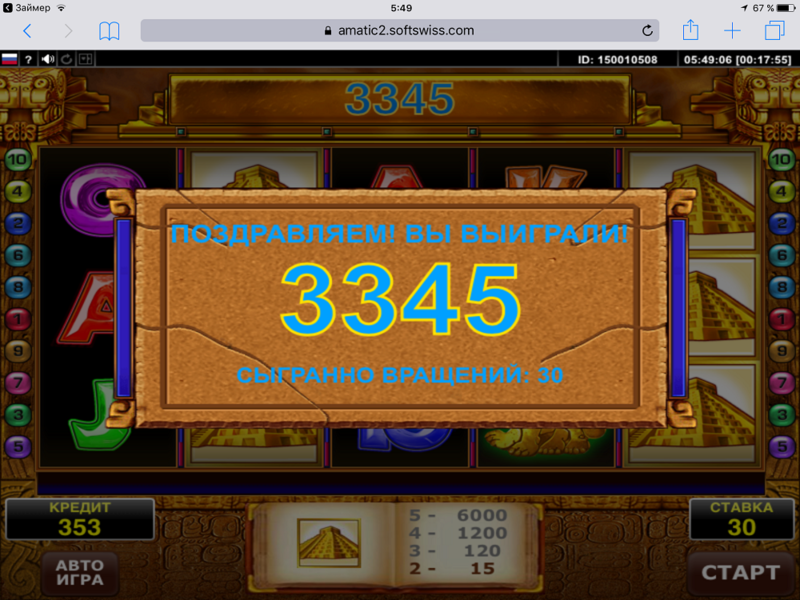 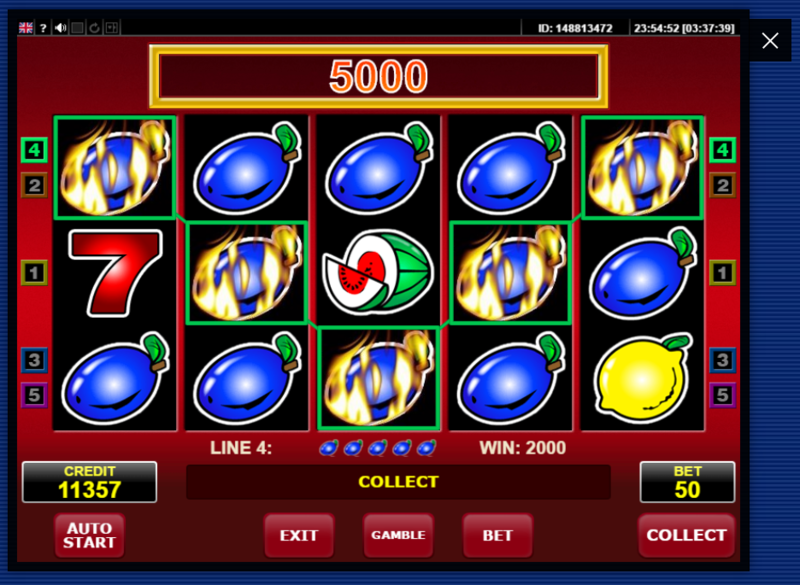 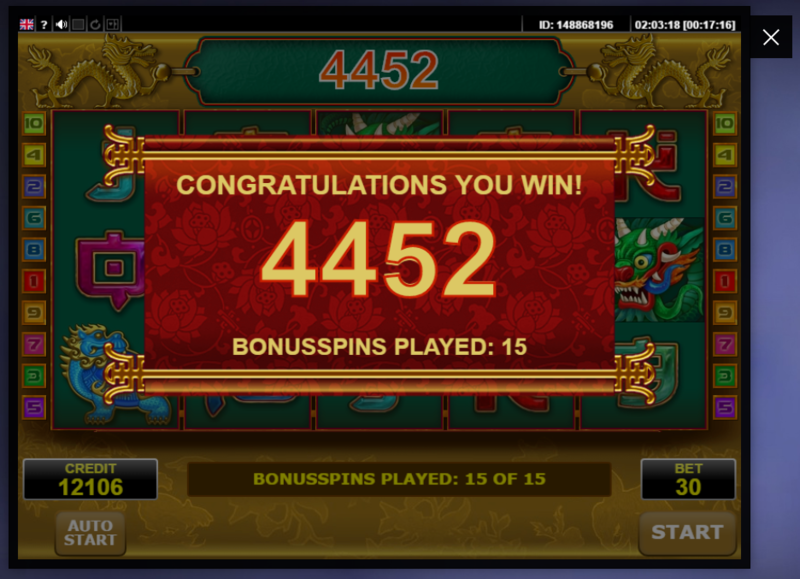 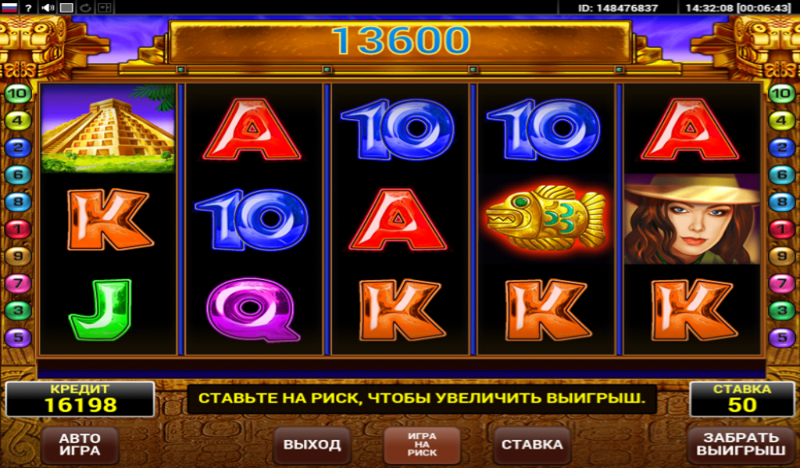 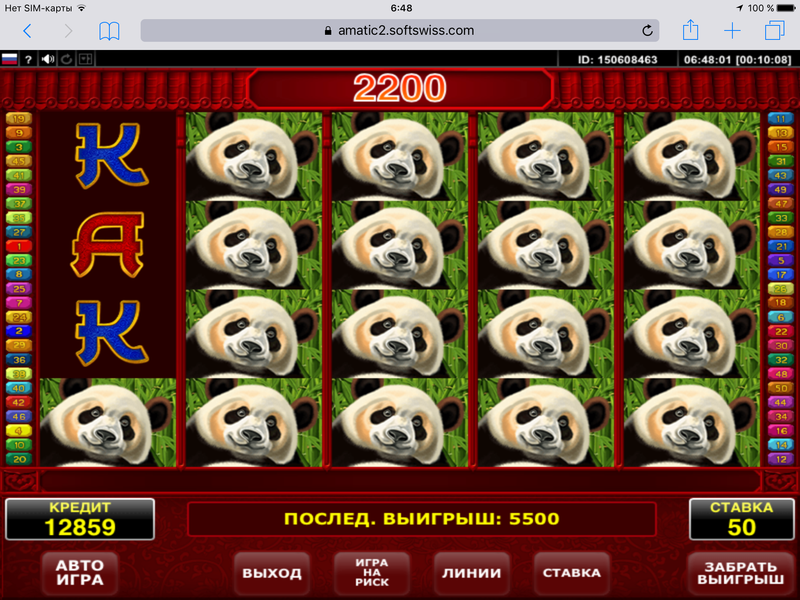 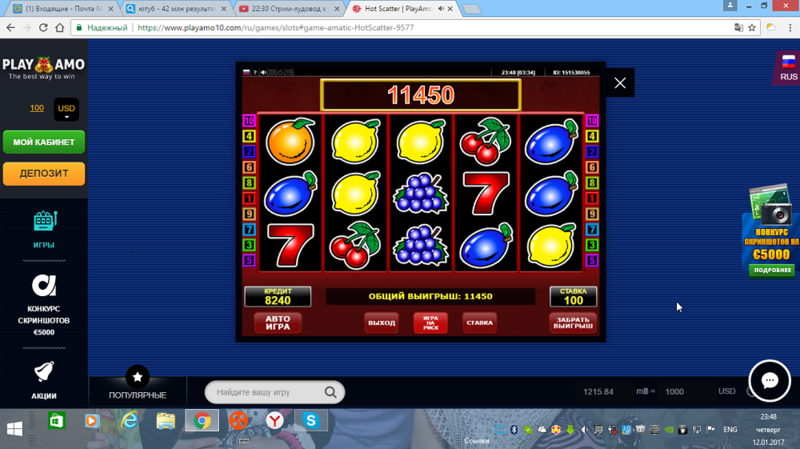 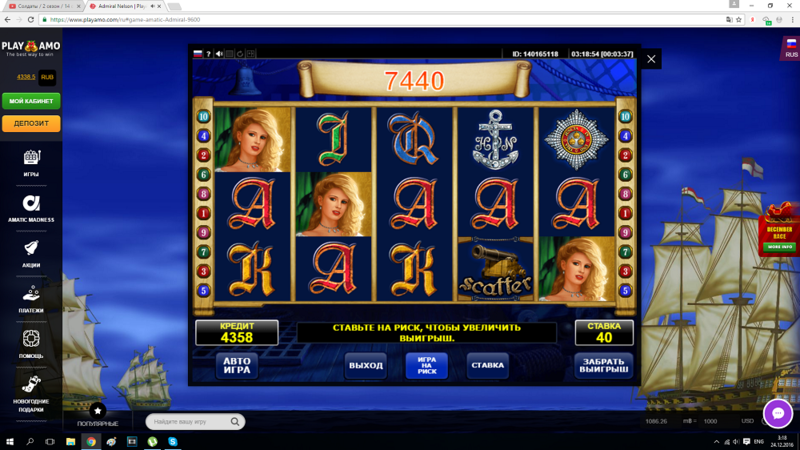 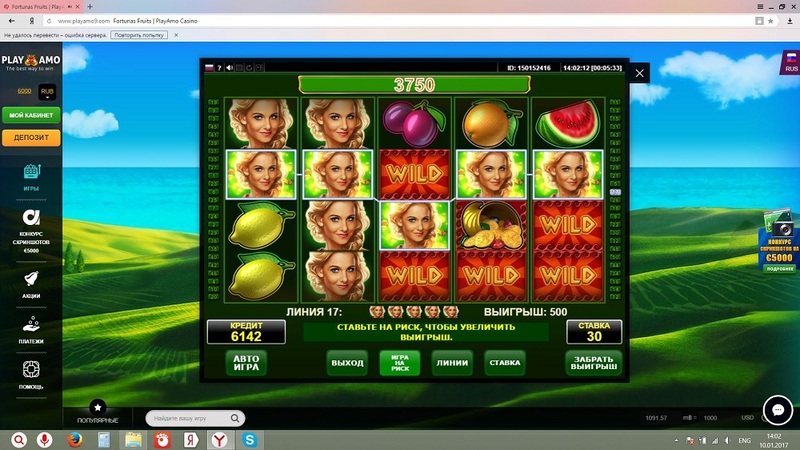 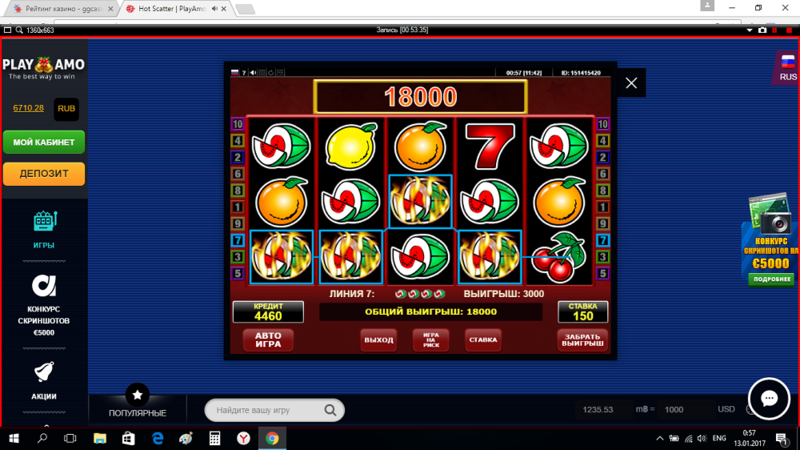 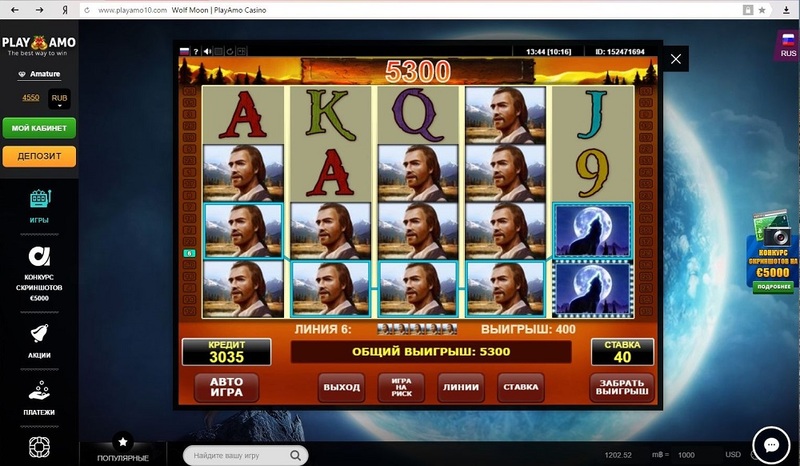 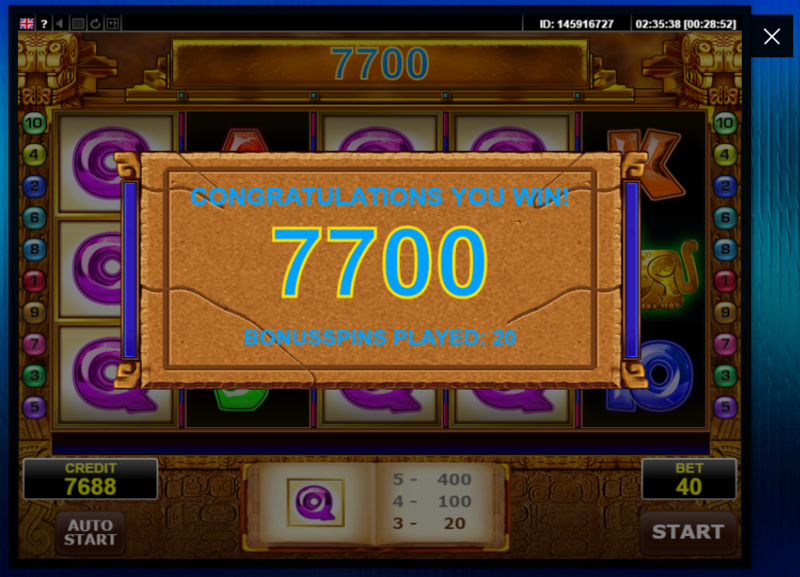 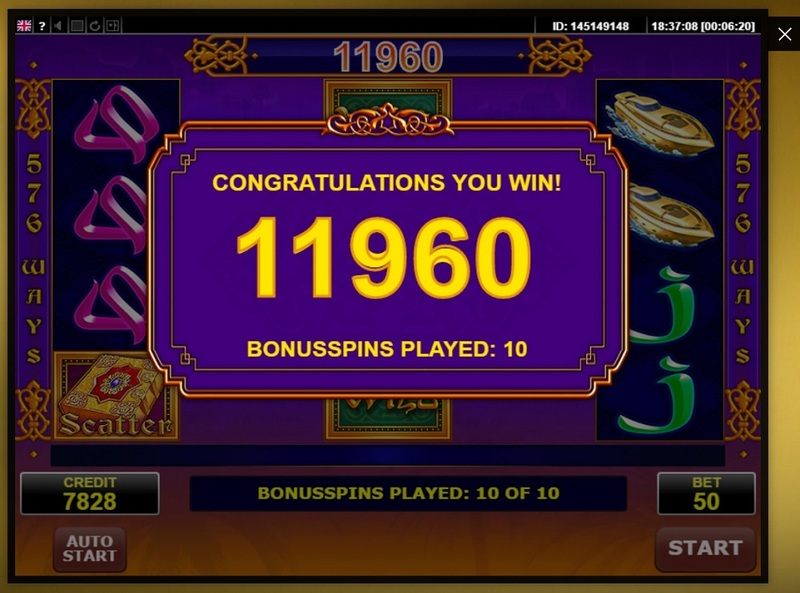 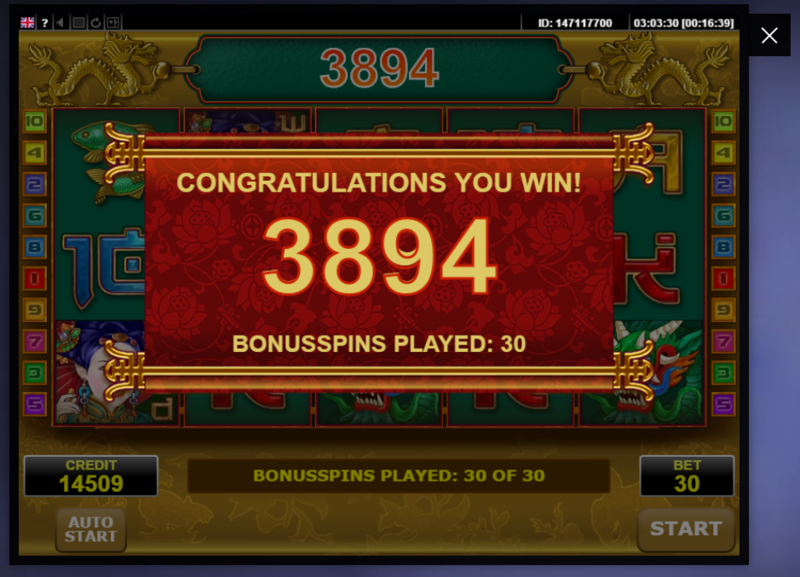 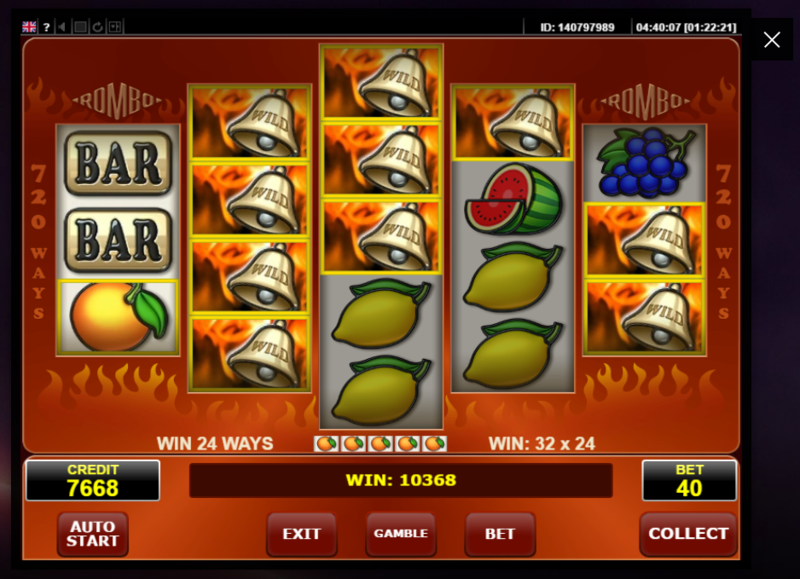 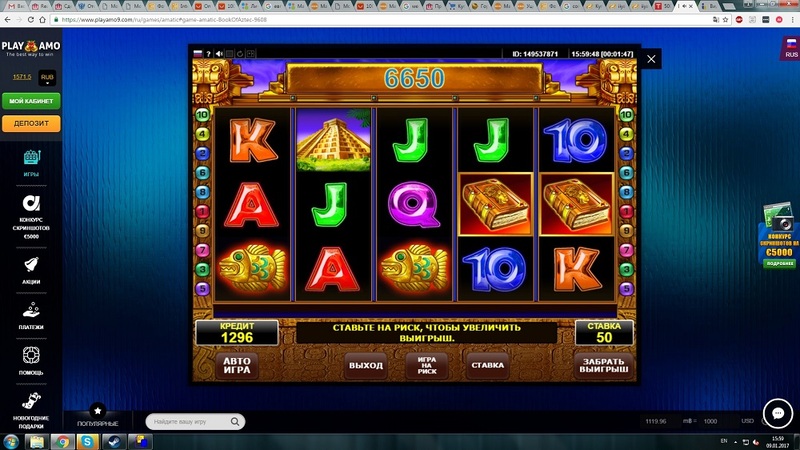 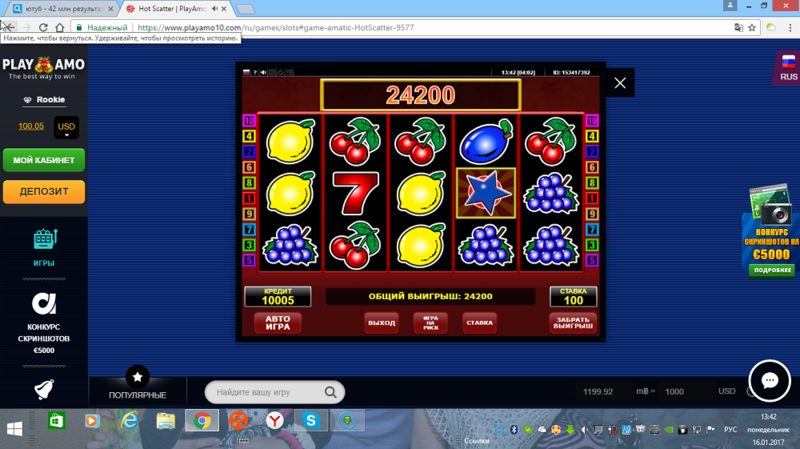 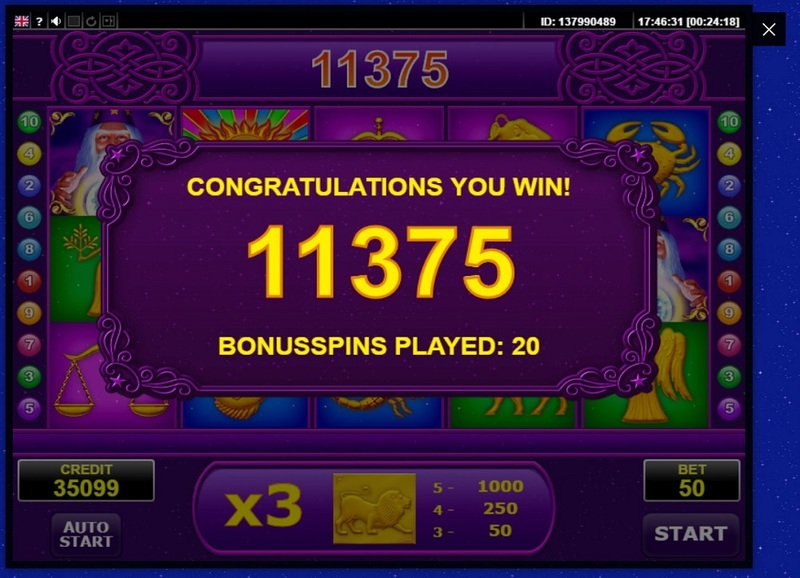 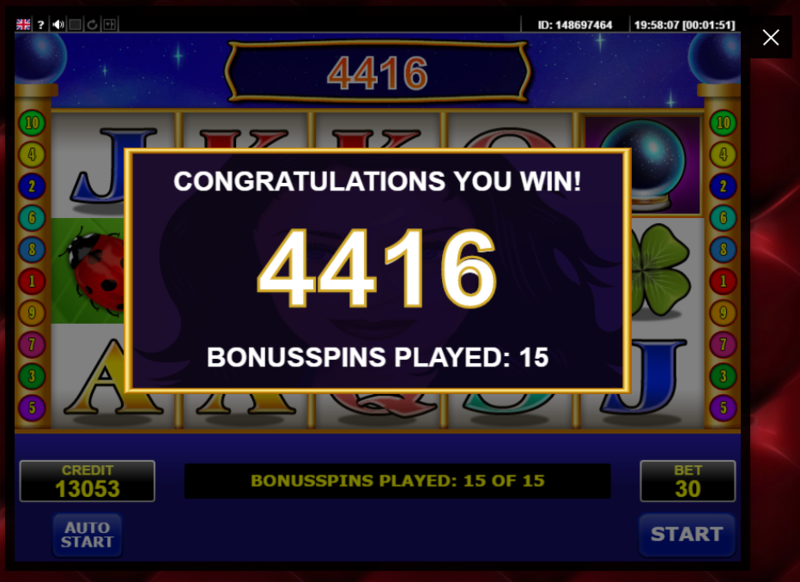 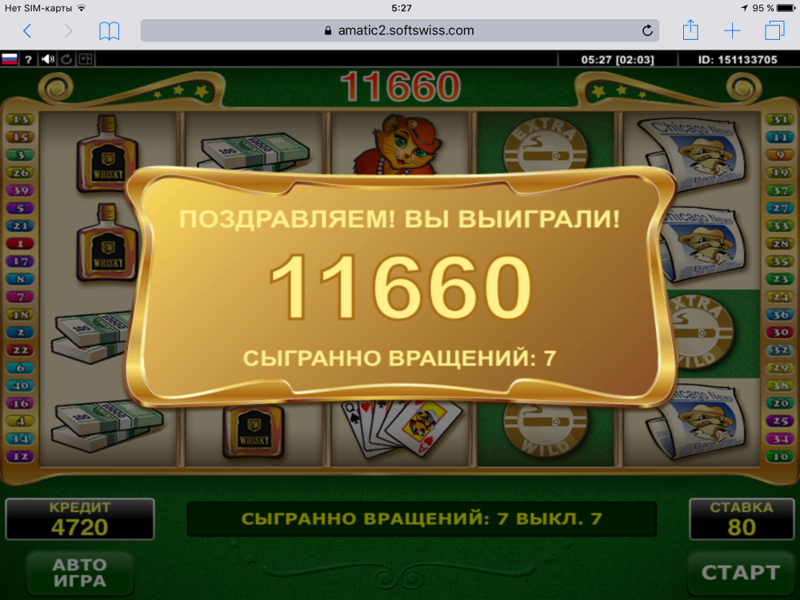 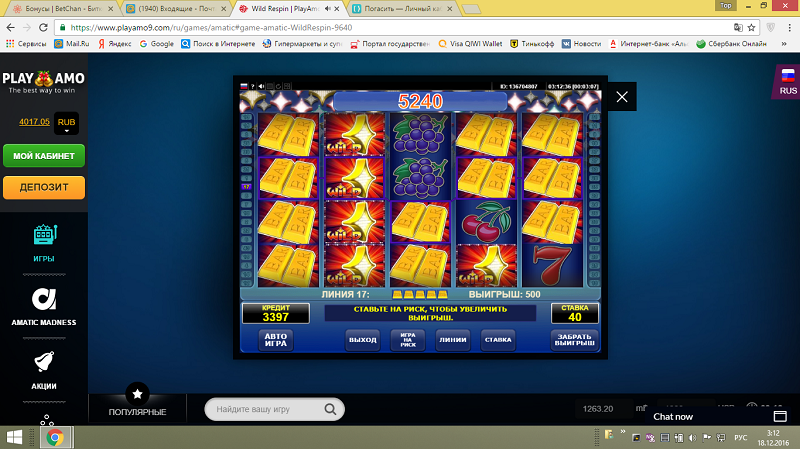 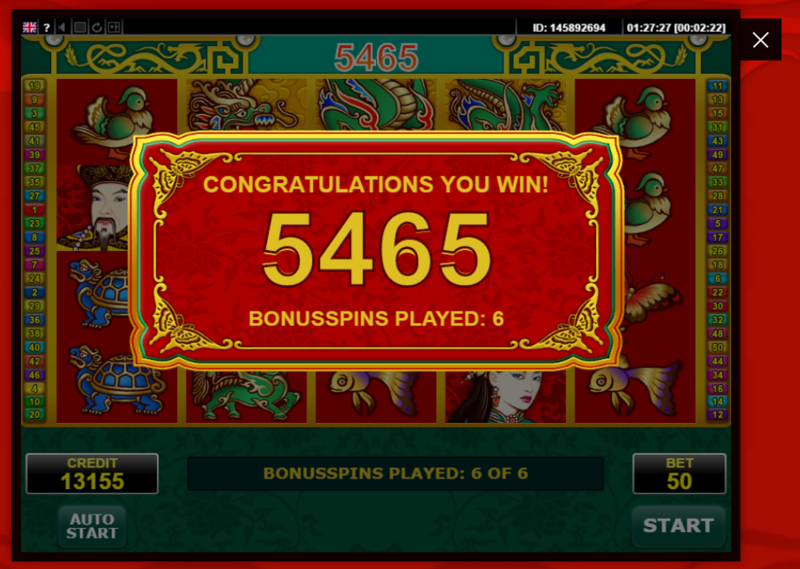 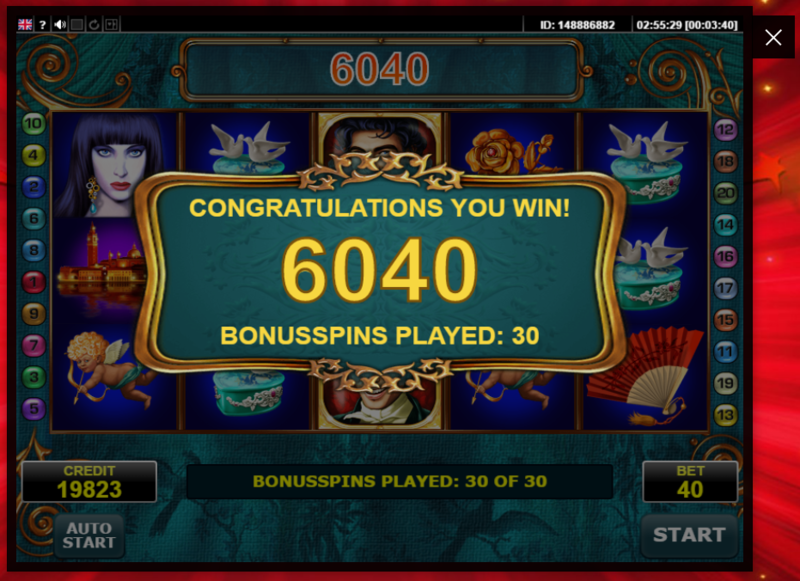 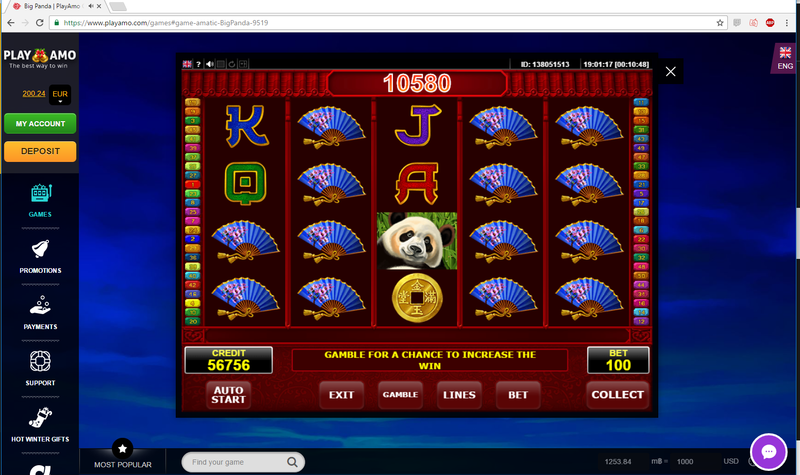 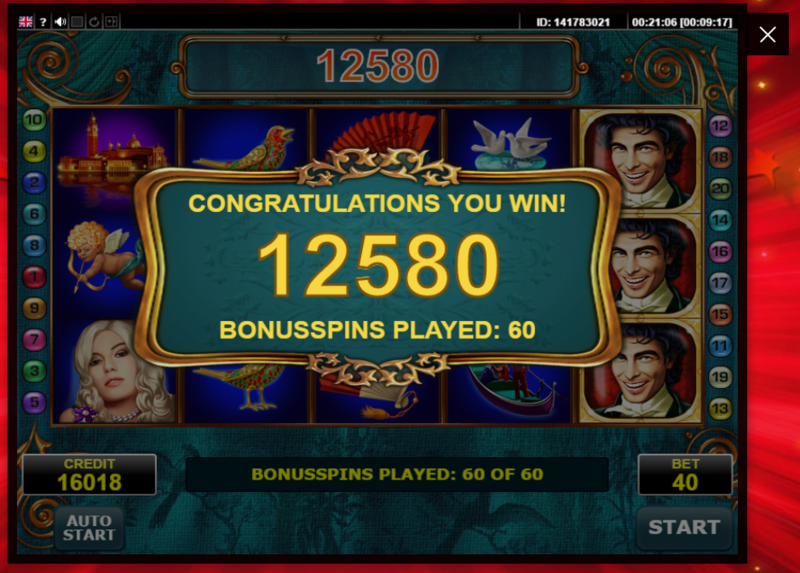 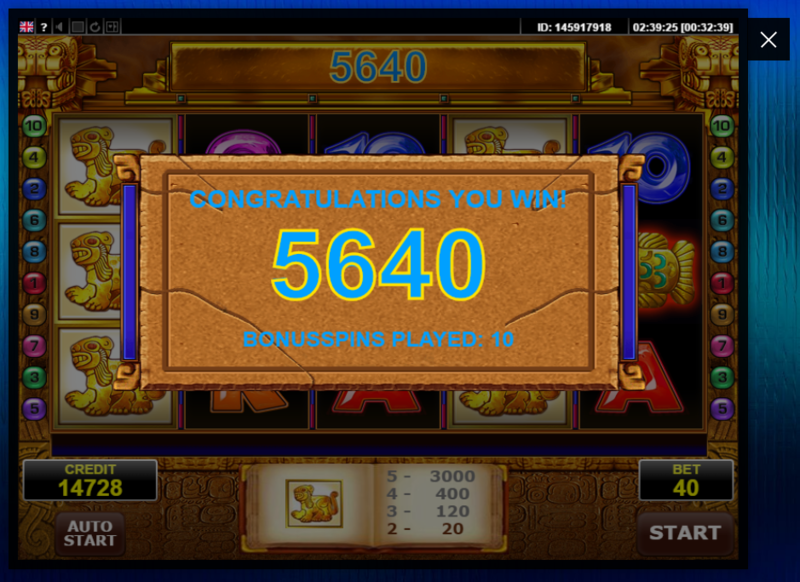 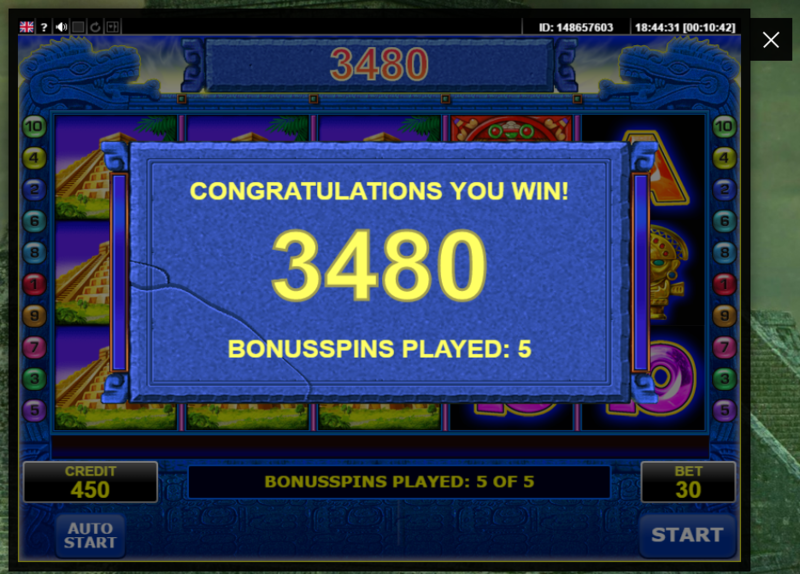 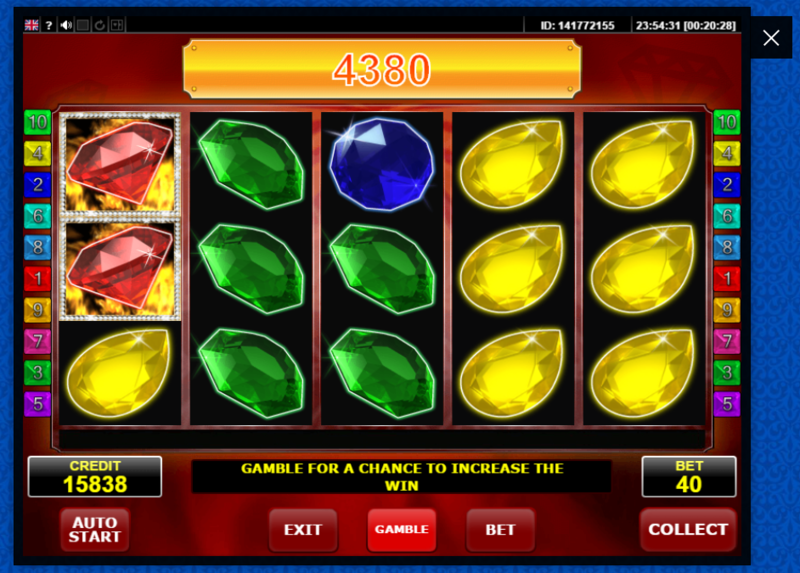 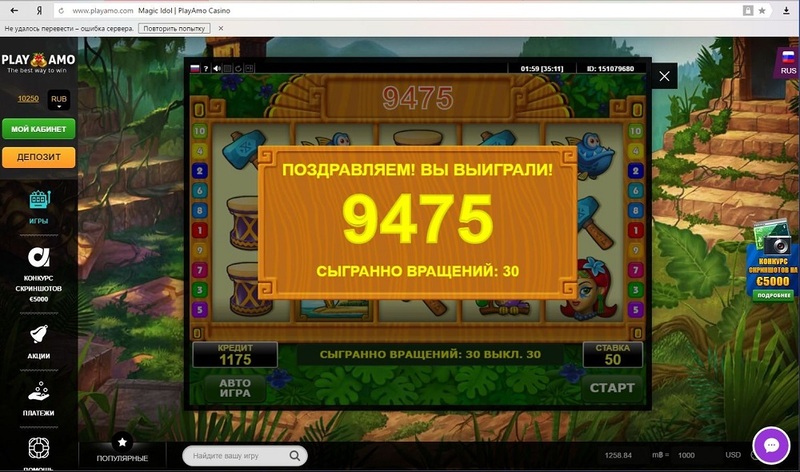 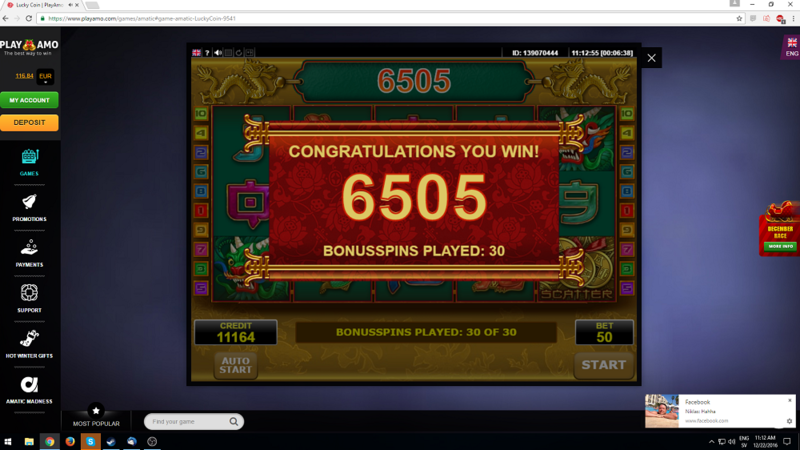 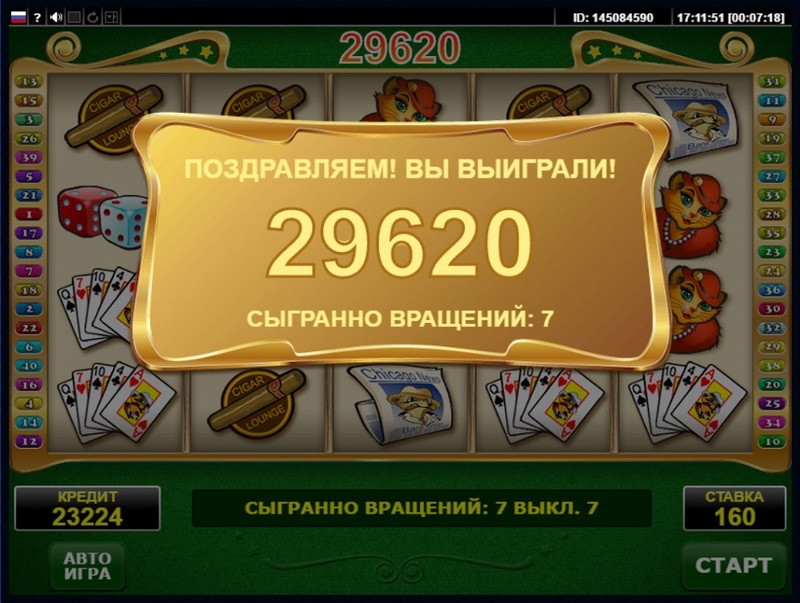 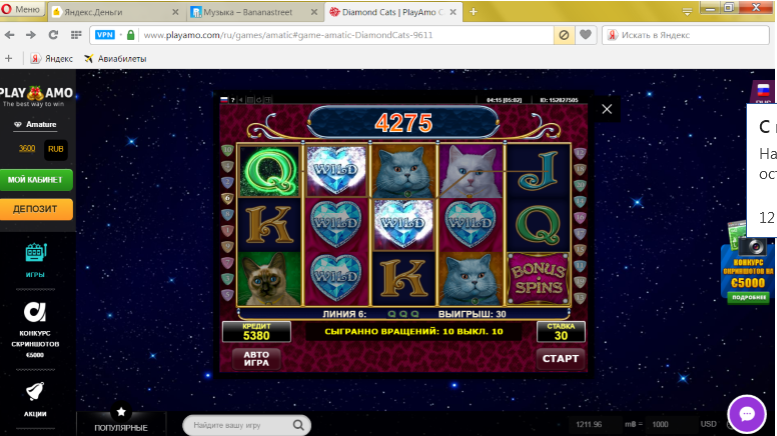 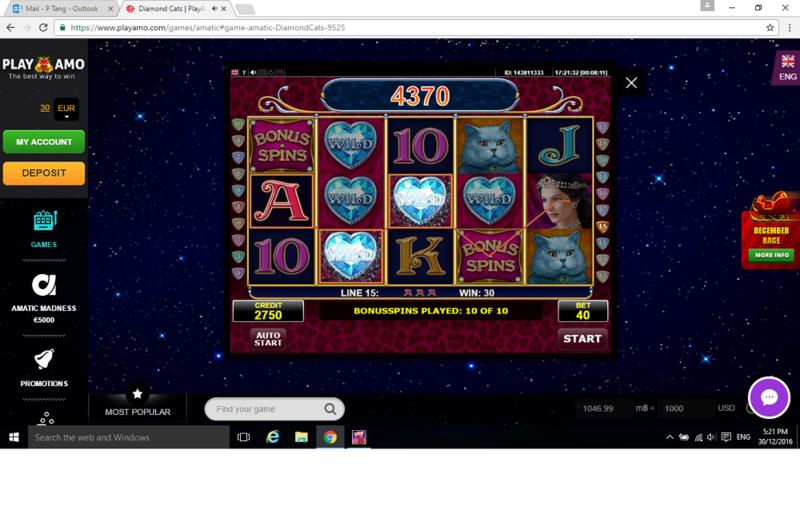 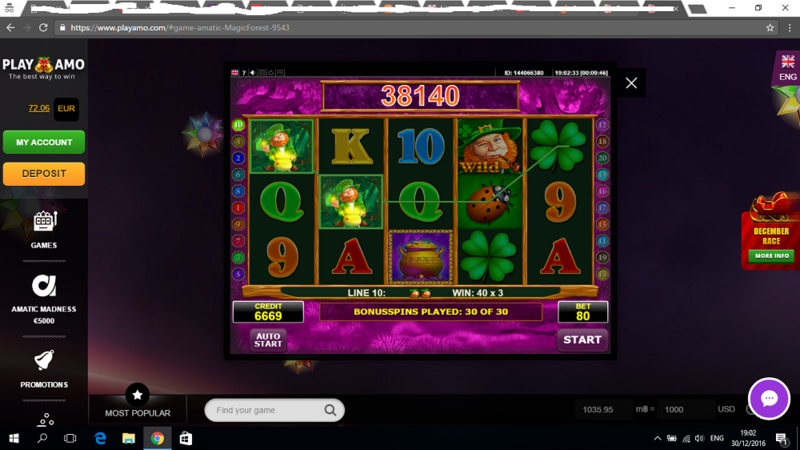 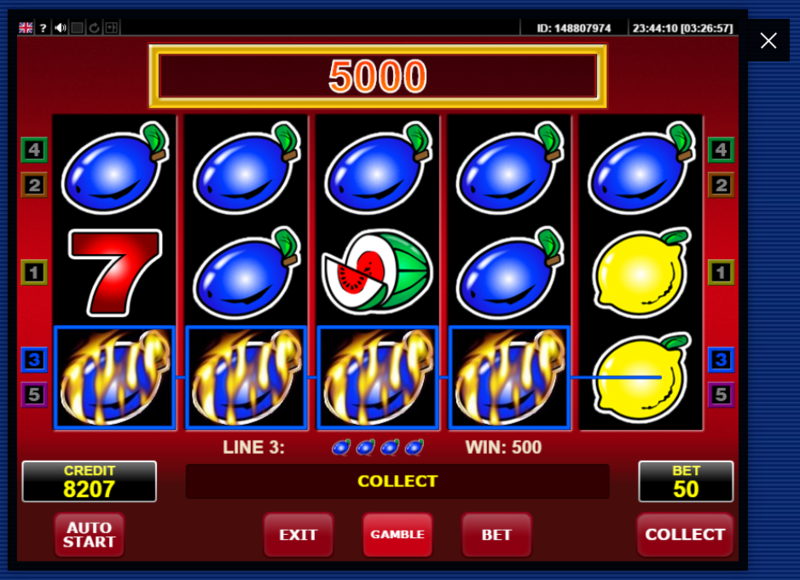 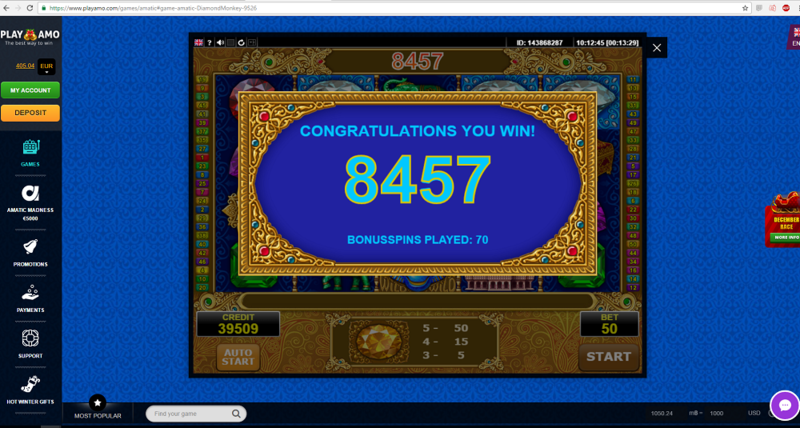 Just to remind you, screenshots with your multipliers can be sent to affiliate@playamo.com. 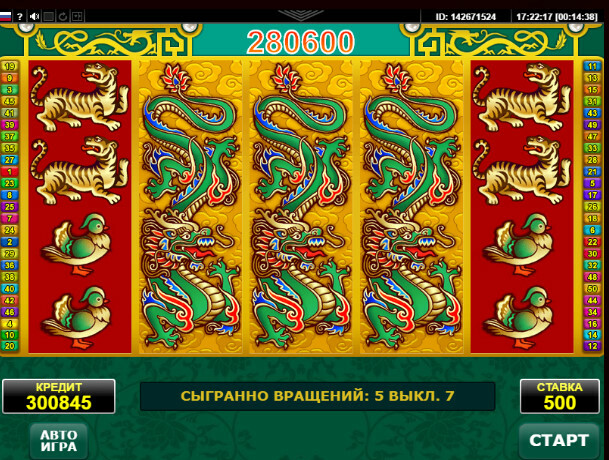 The number of screenshots you can send is not limited, so this is going to be quite the hot battle! 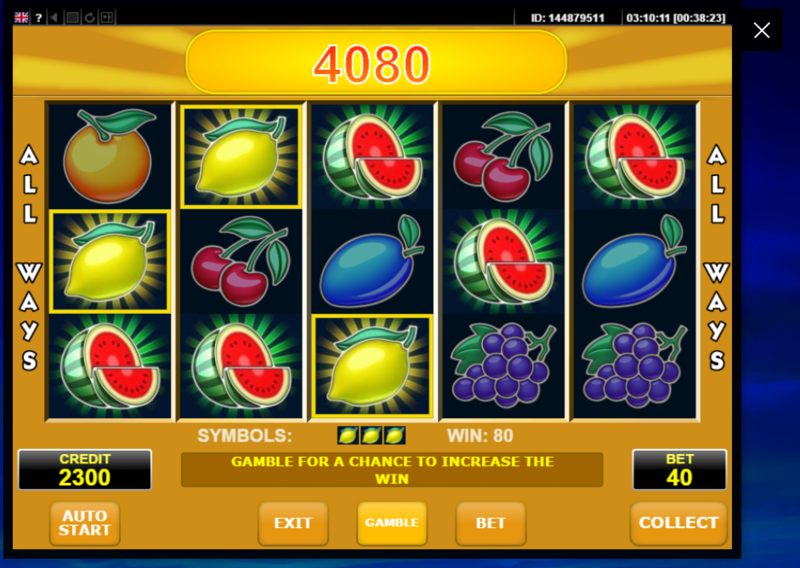 Who will end up with a juicy piece of the prize cake? 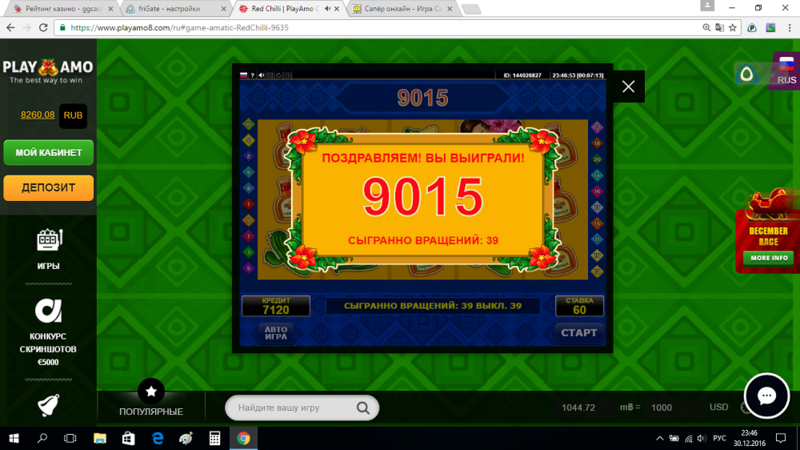 We will find out in the middle of January! 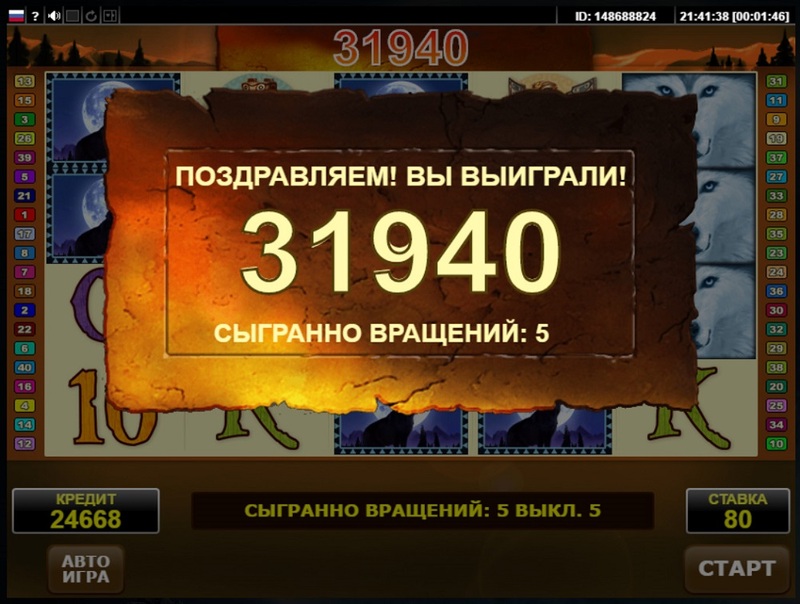 Maximum Madness has already begun! 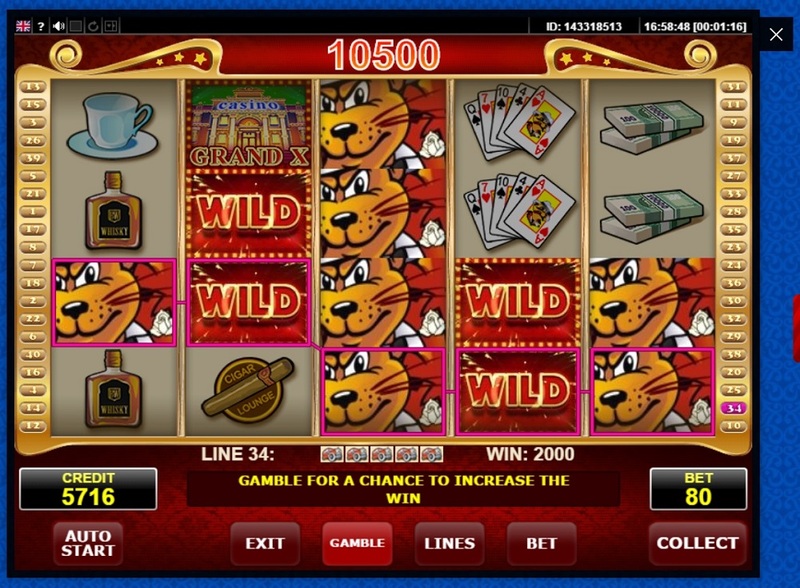 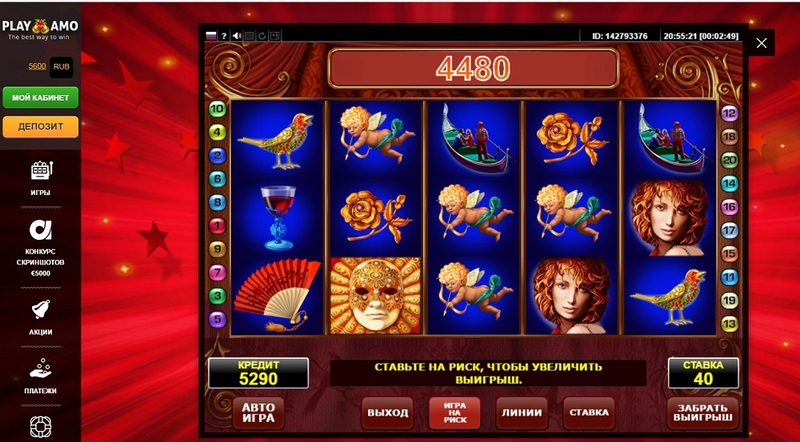 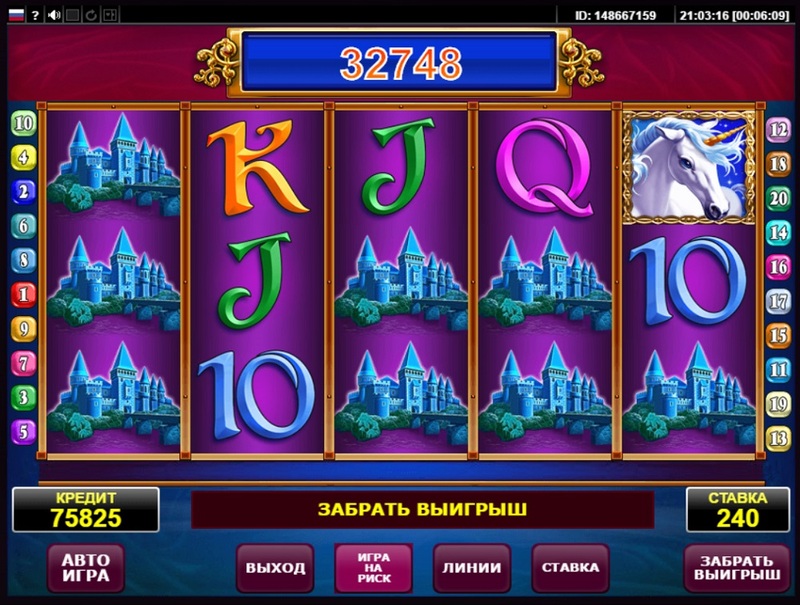 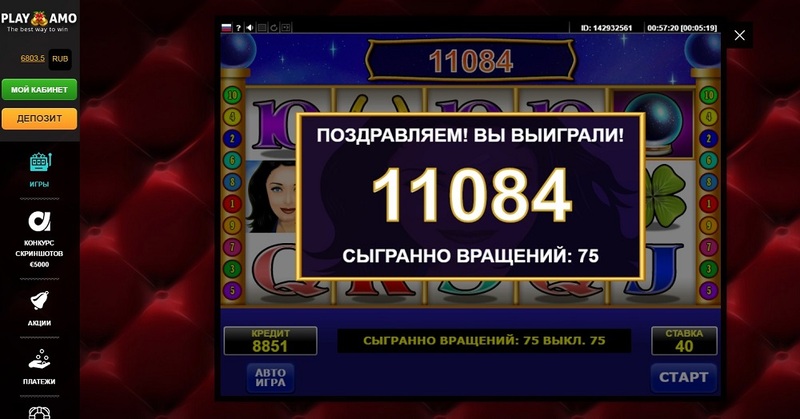 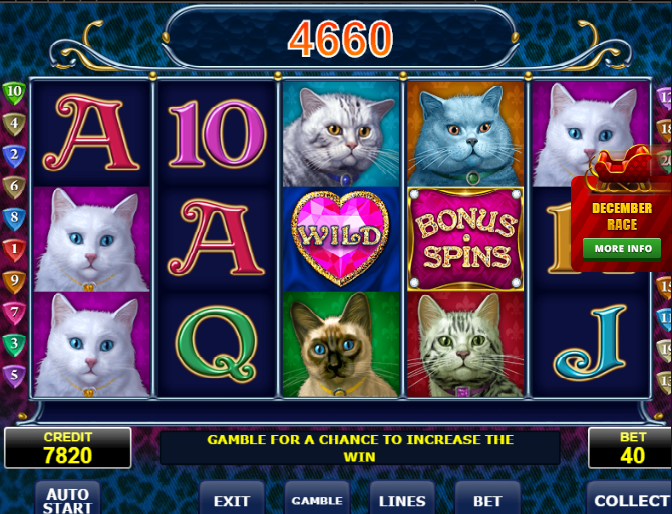 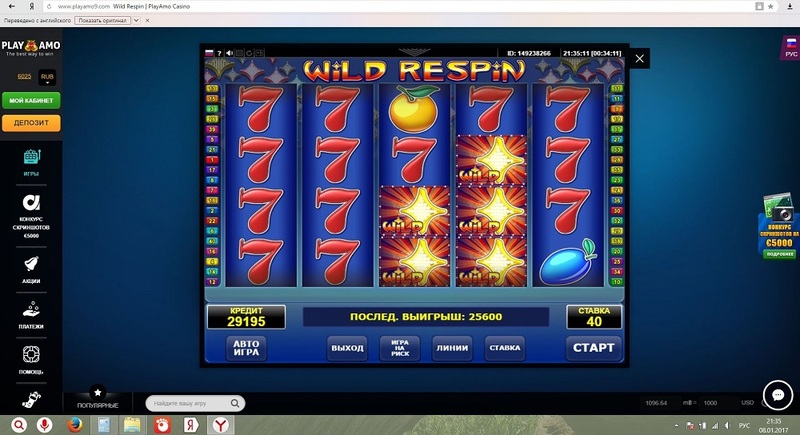 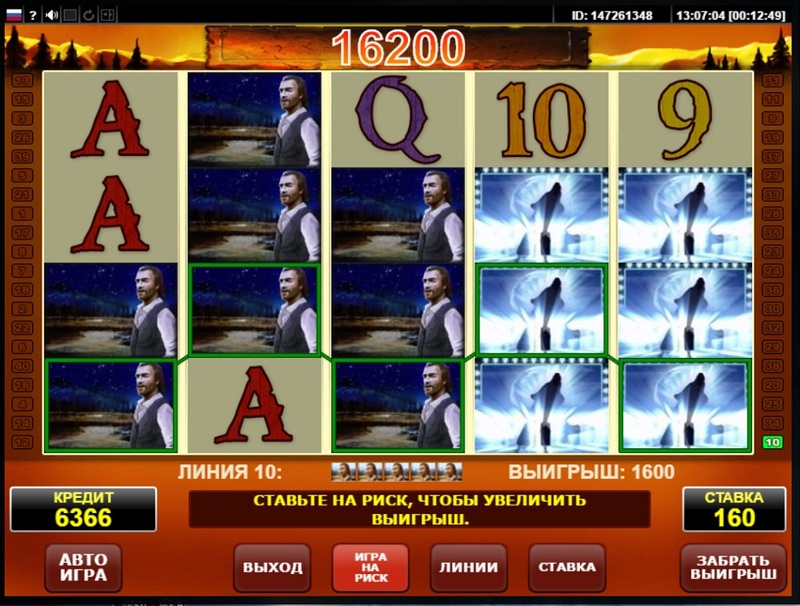 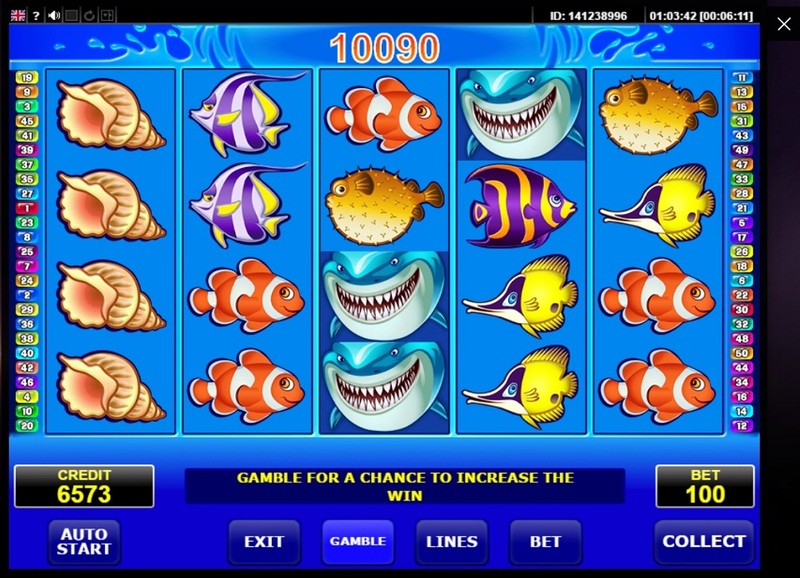 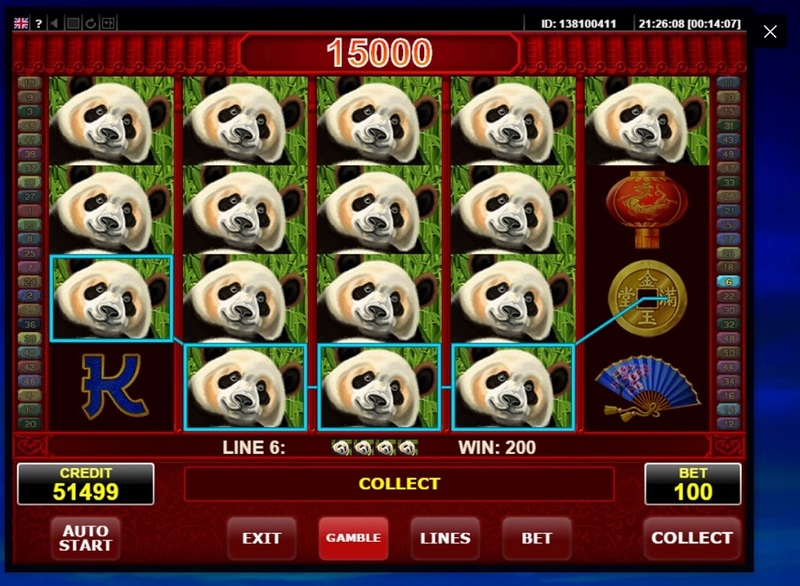 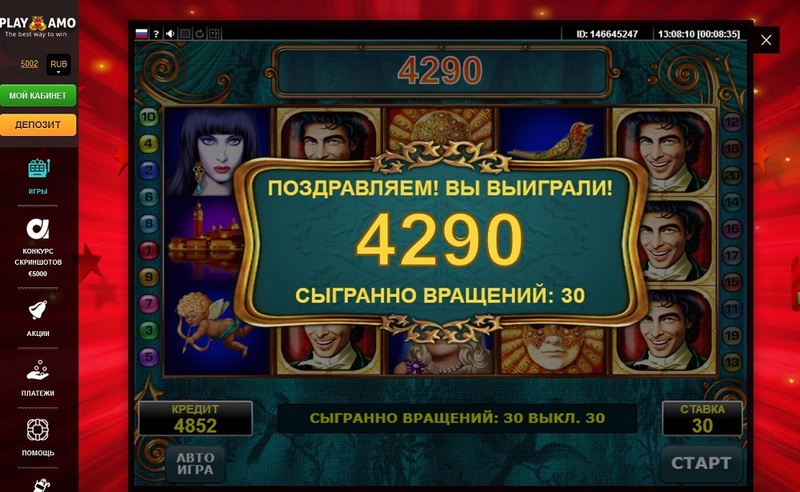 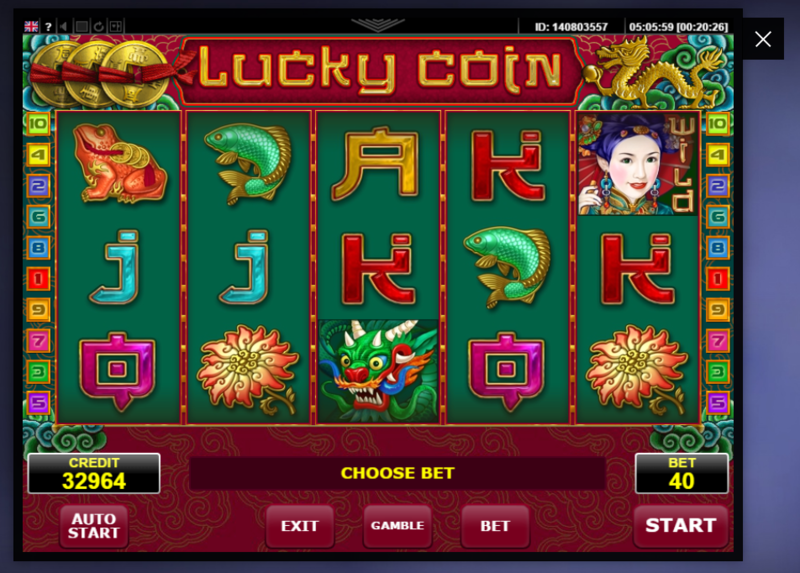 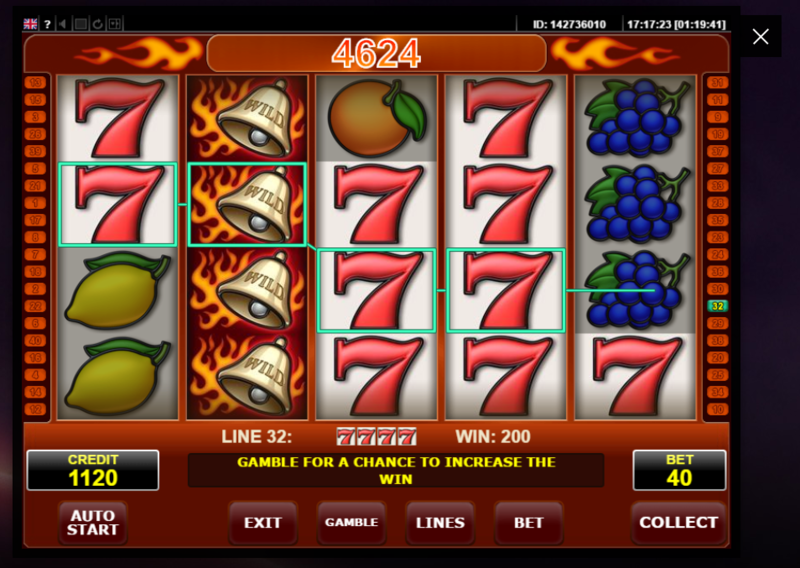 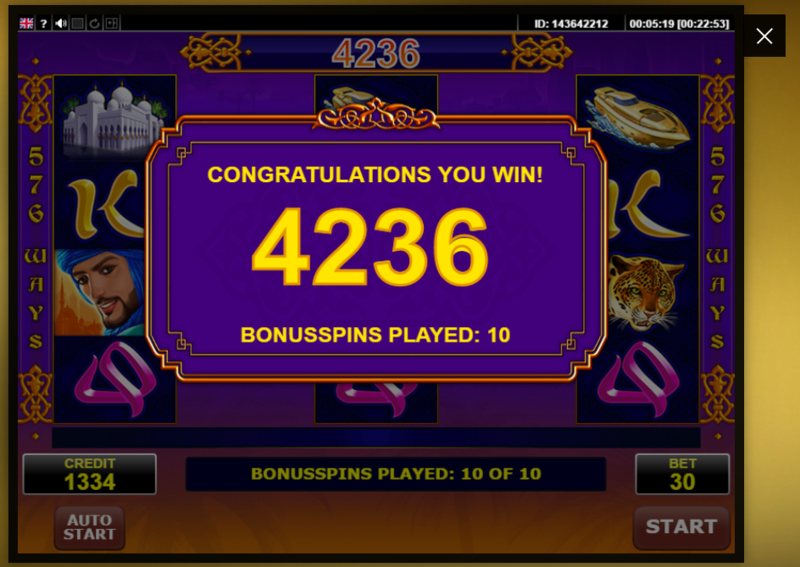 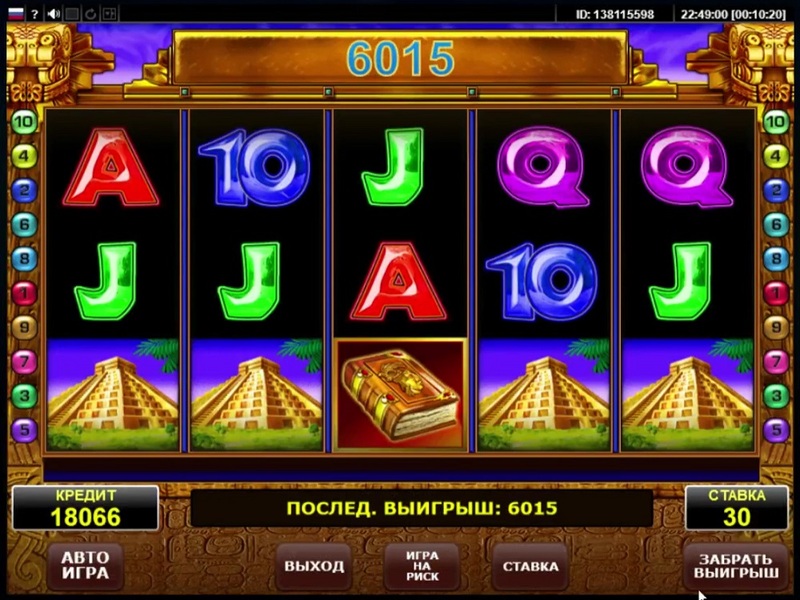 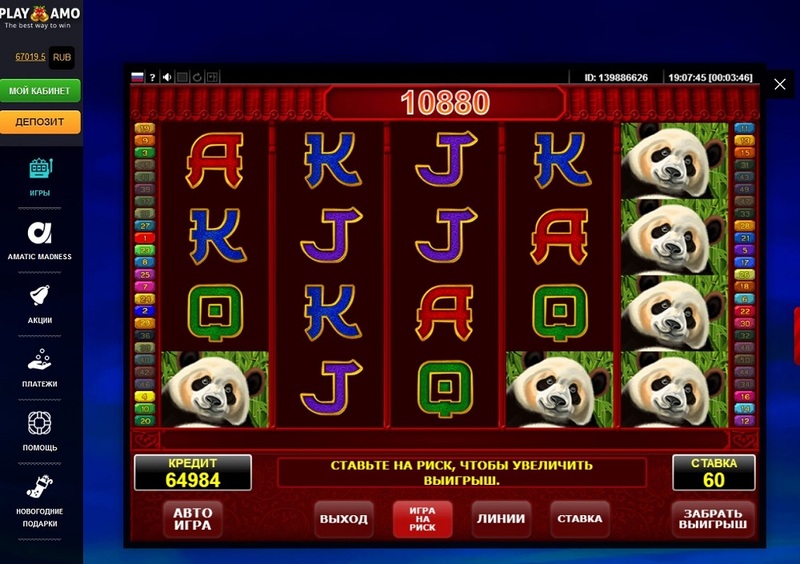 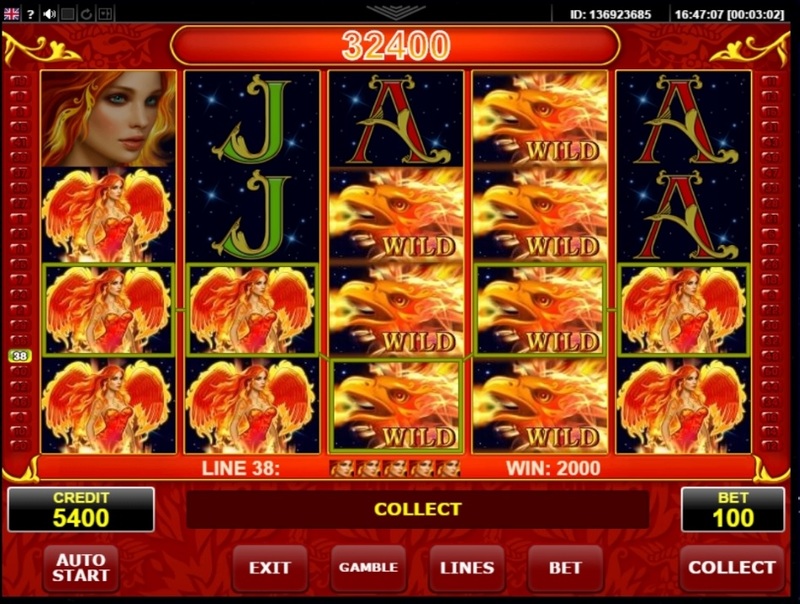 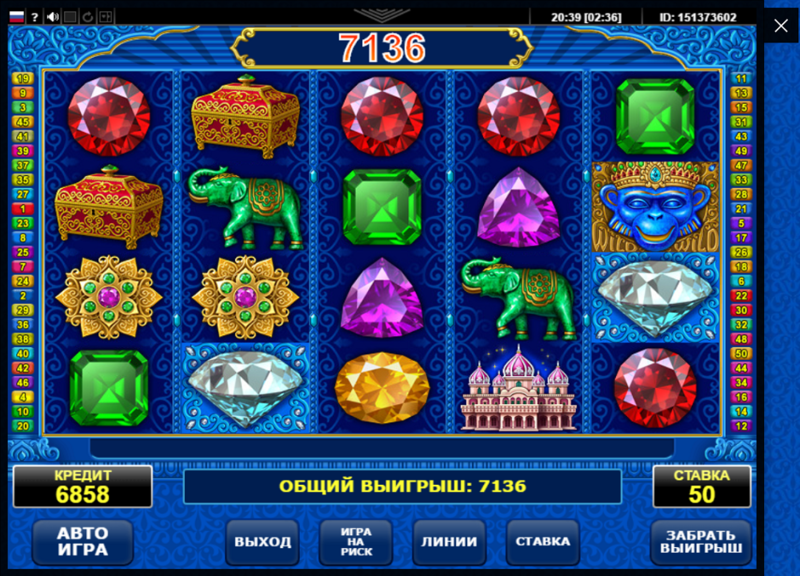 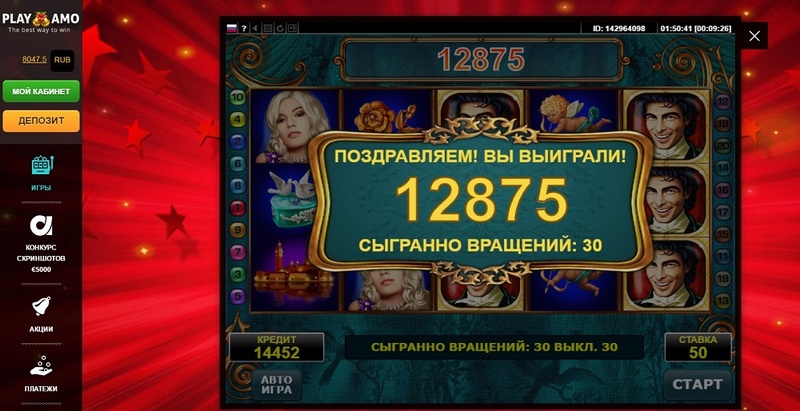 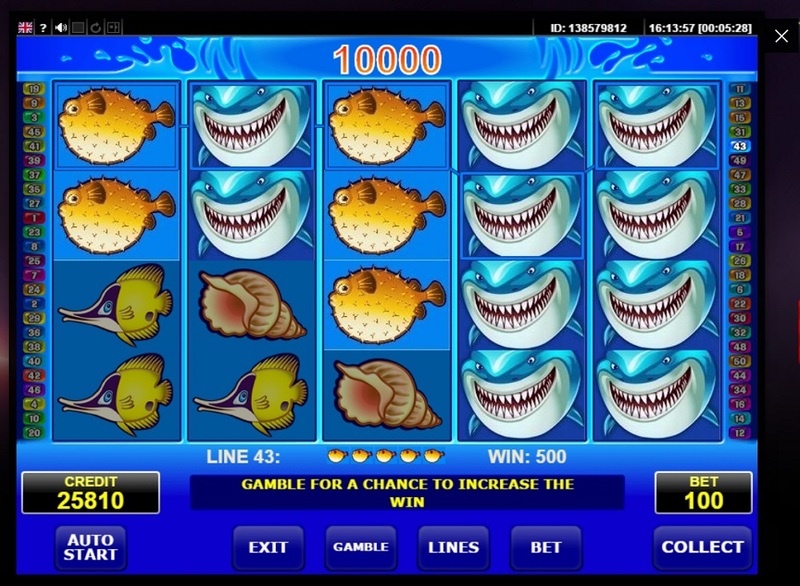 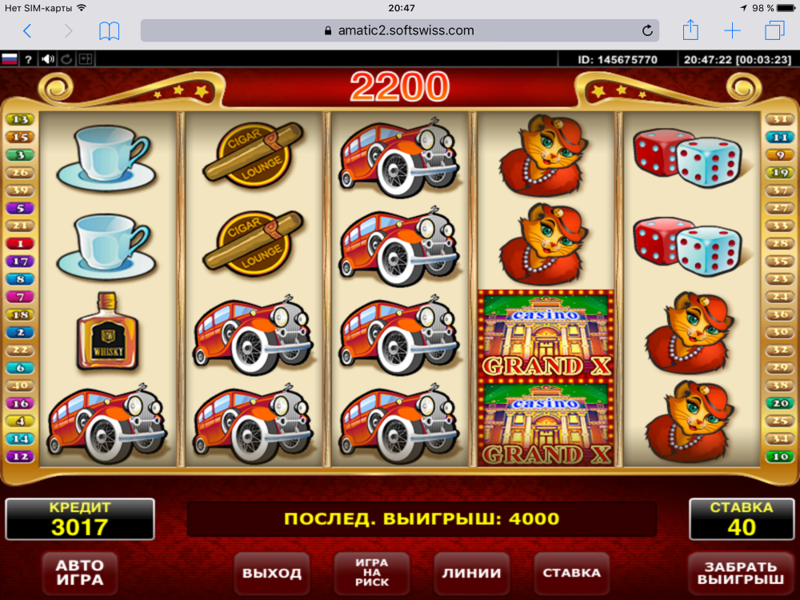 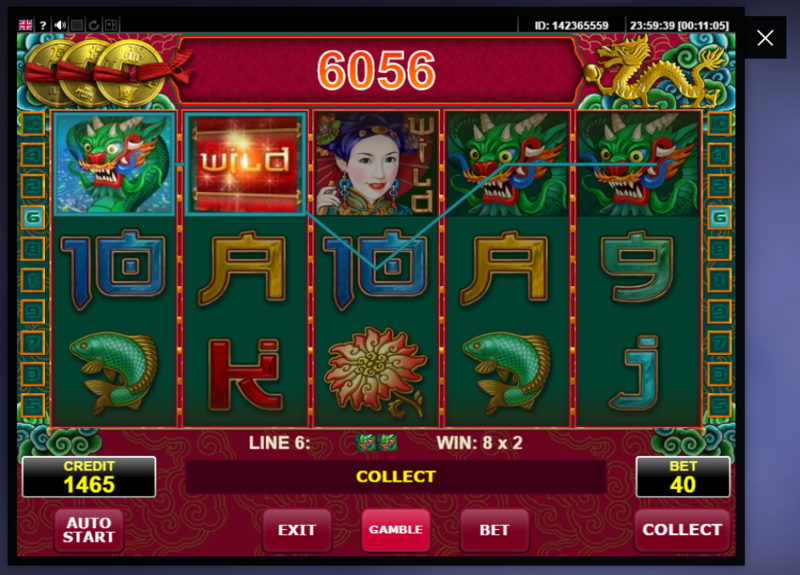 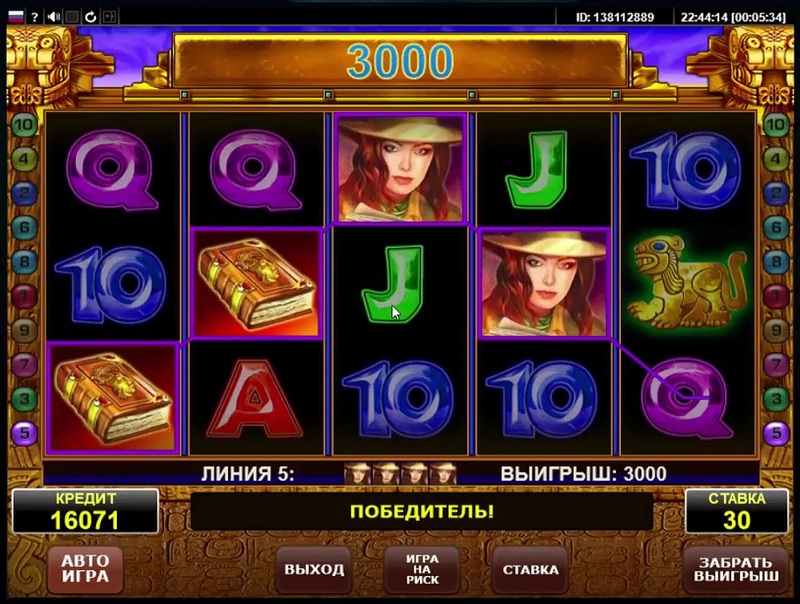 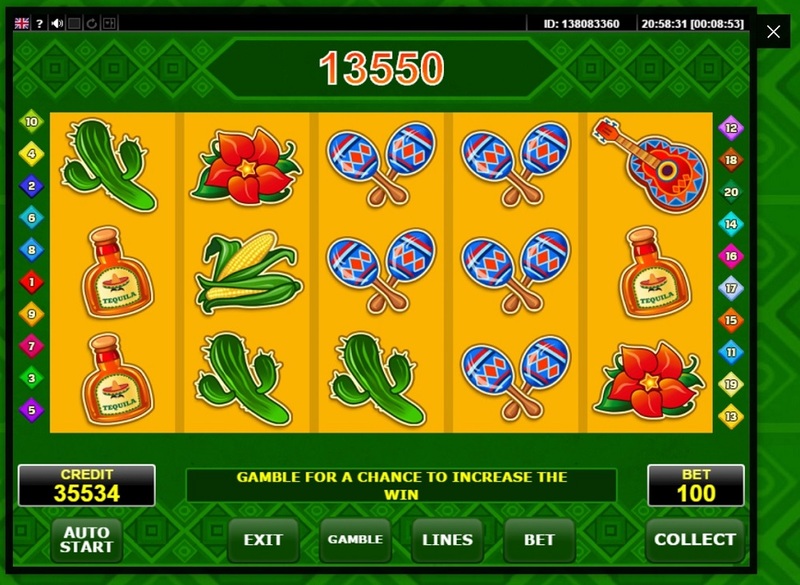 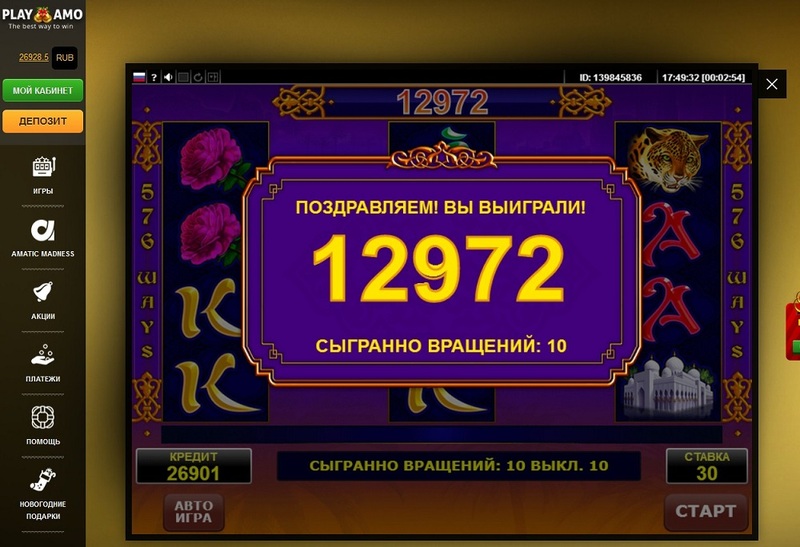 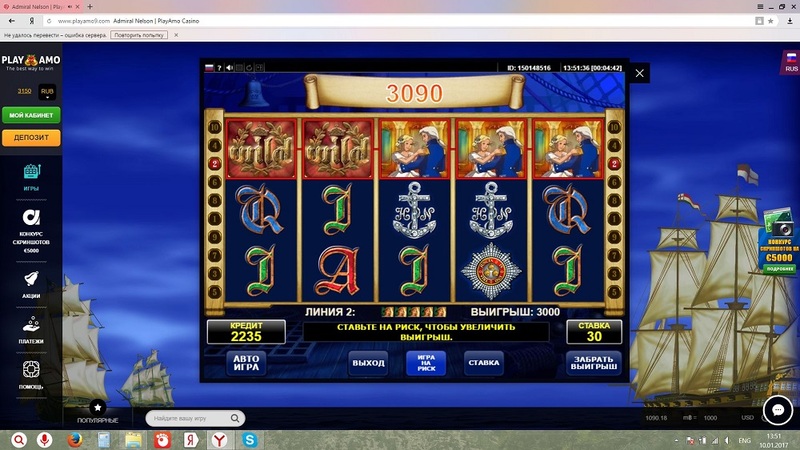 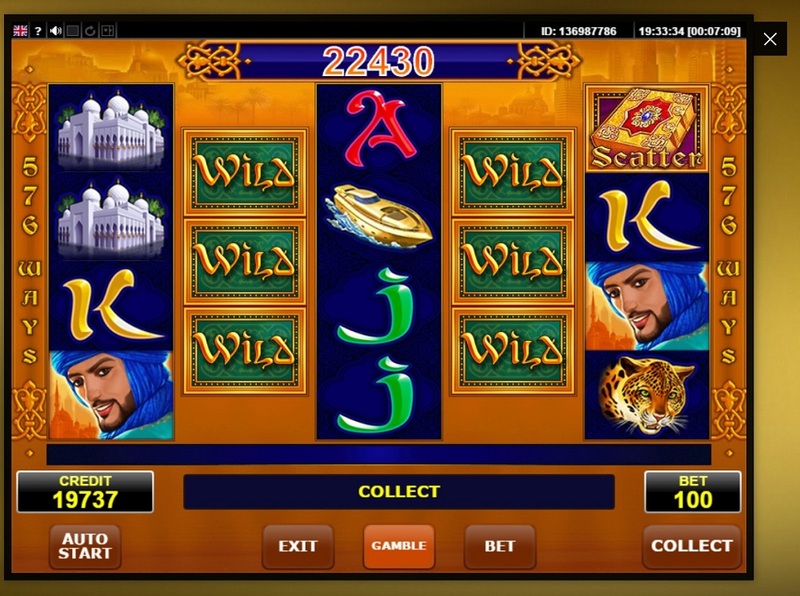 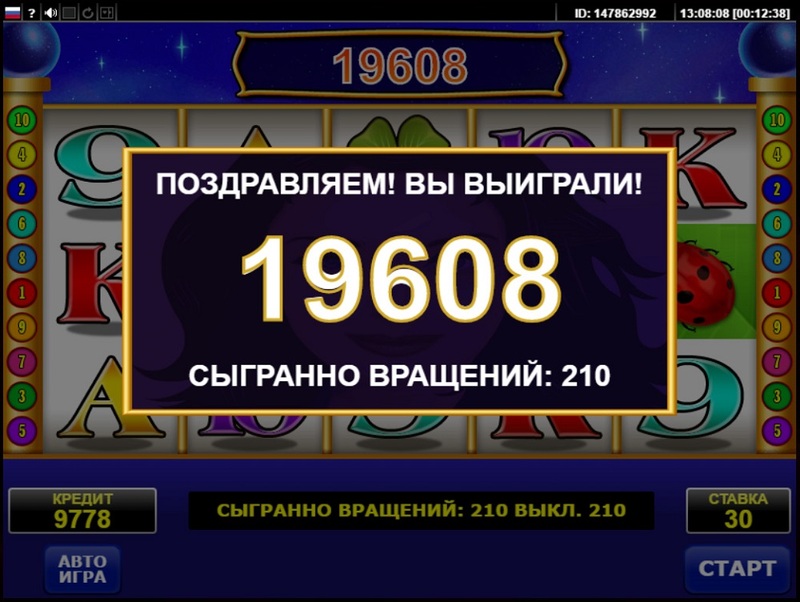 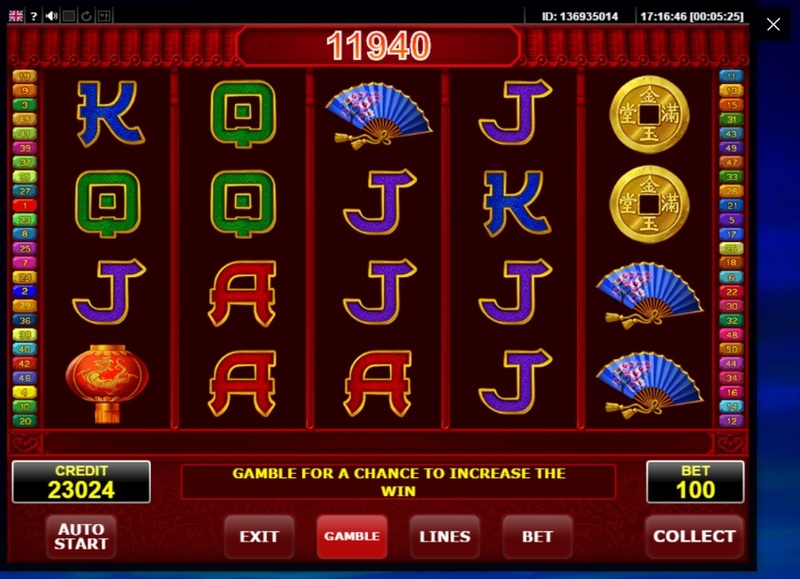 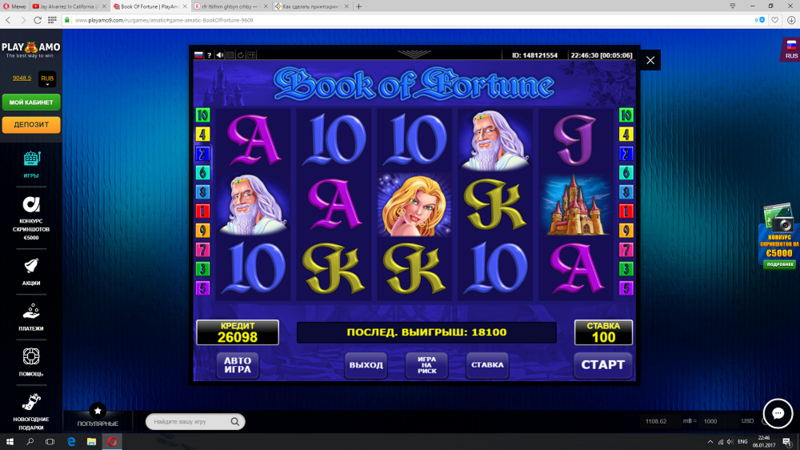 Wishing you luck and expecting to see you play slots from Amatic. 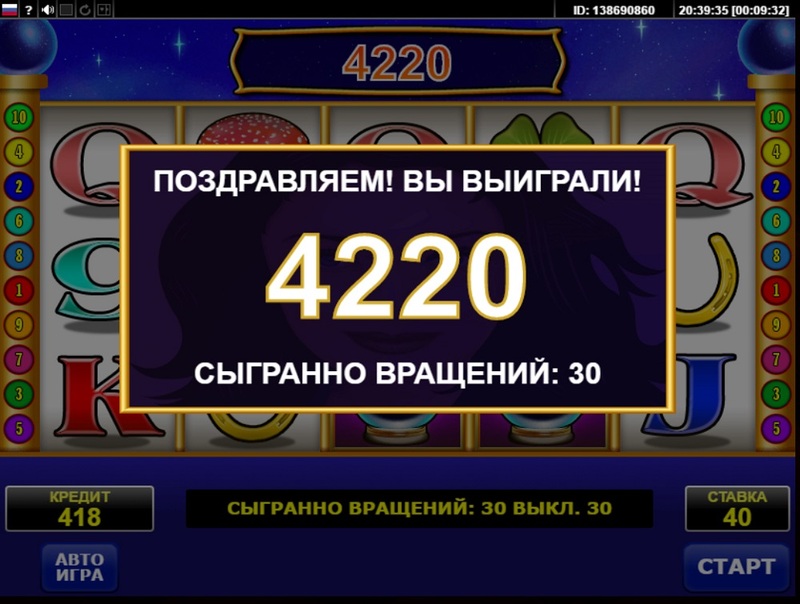 Catch your luck!